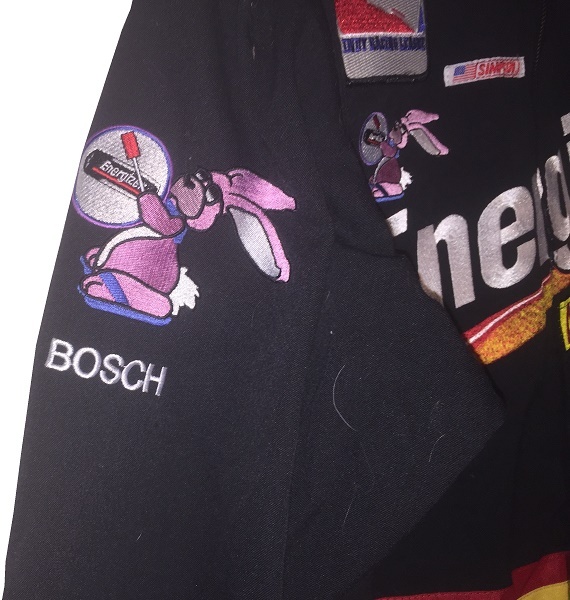 There was a time when Red Bull Racing was relevant in auto racing. 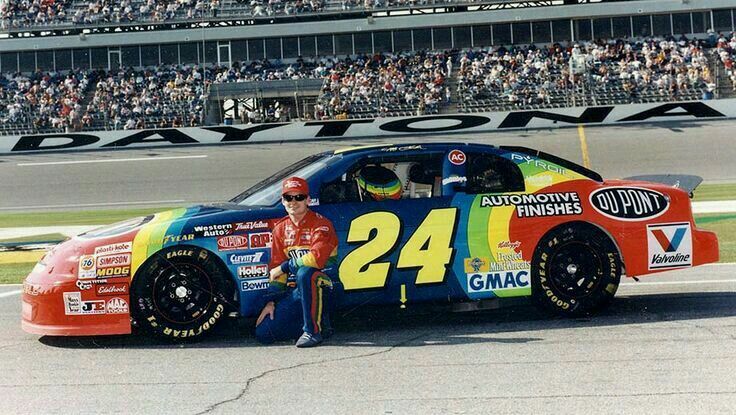 It seems so long ago. 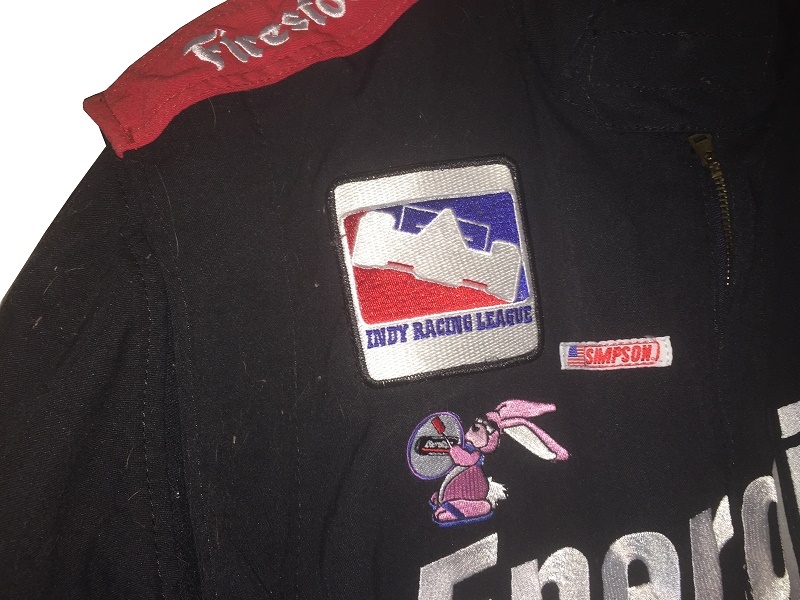 Red Bull Racing had just been founded. 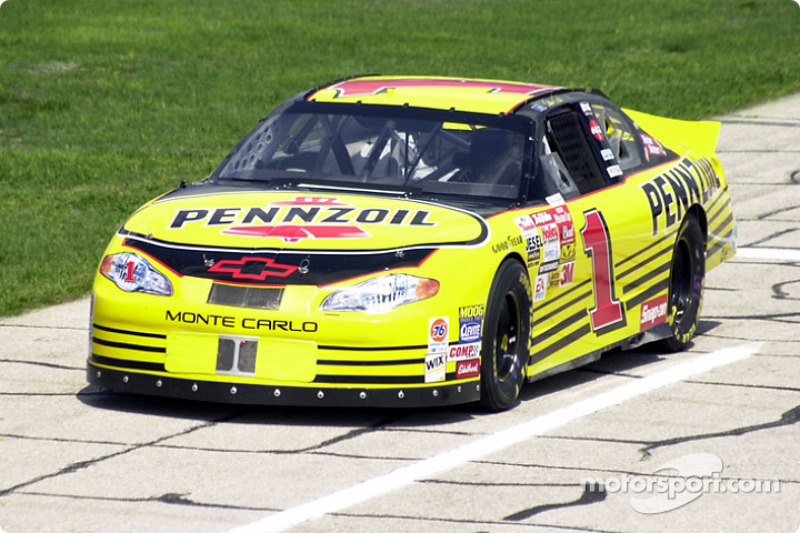 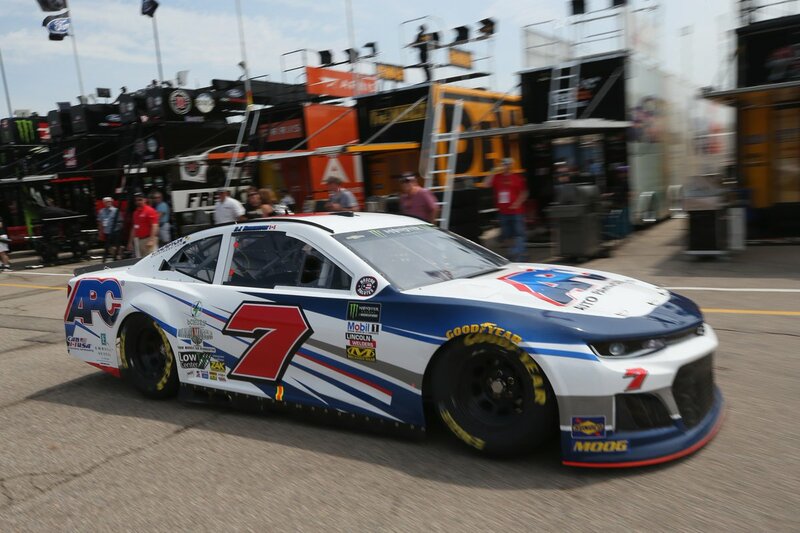 It was going so well that Red Bull founders Dietrich Mateschitz and Chaleo Yoovidhya founded their own NASCAR team in 2006. 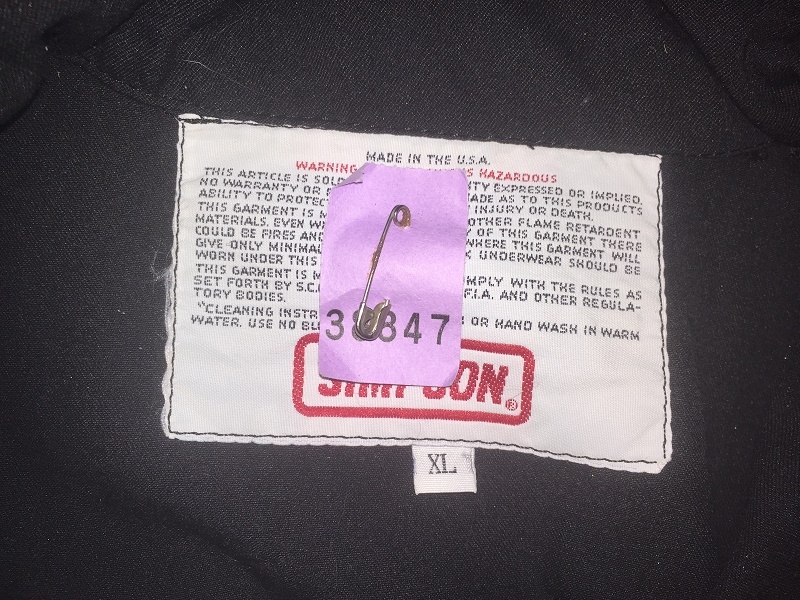 It was an investment that went nowhere. 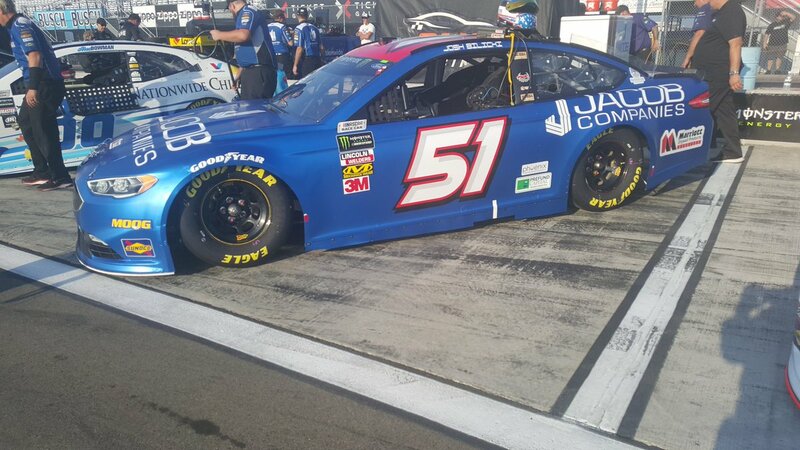 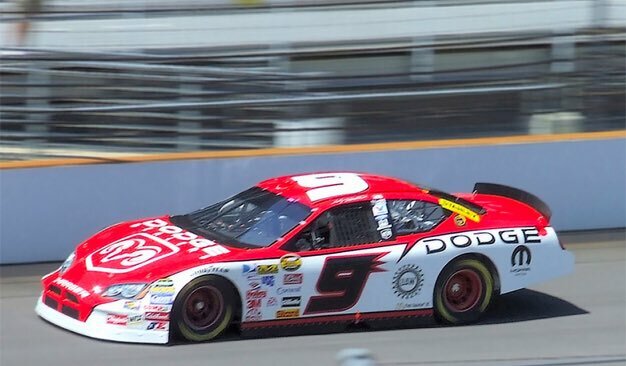 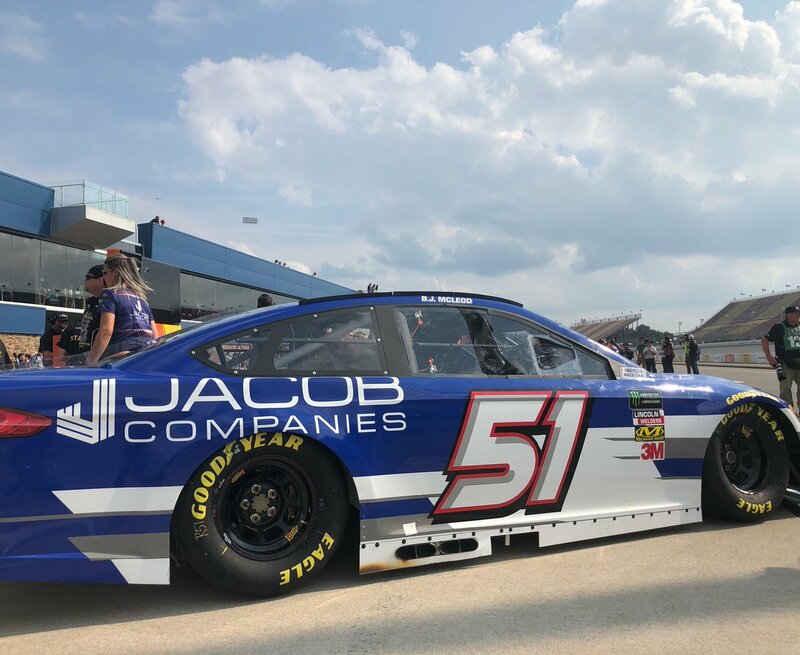 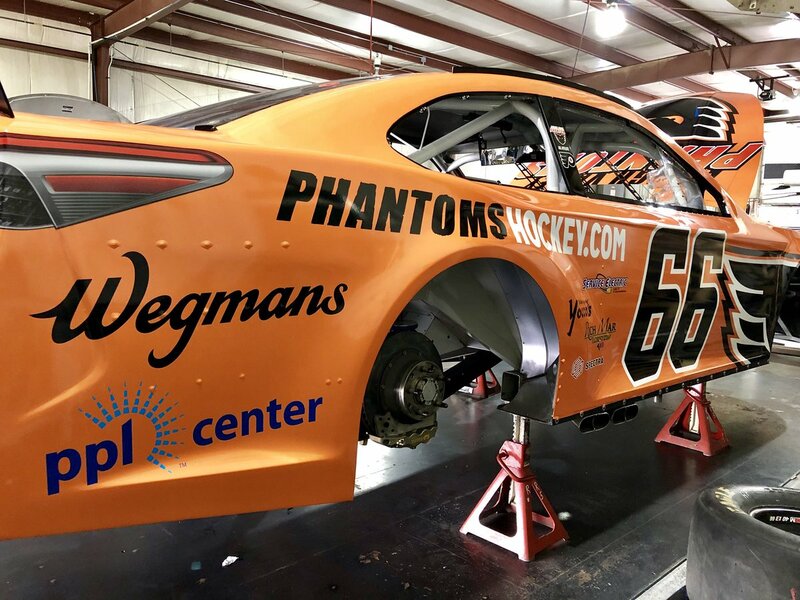 The team plugged along until 2011, winning 2 races, one with Brian Vickers at Michigan in 2009, and the other with Kasey Kahne in 2011 at Phoenix. 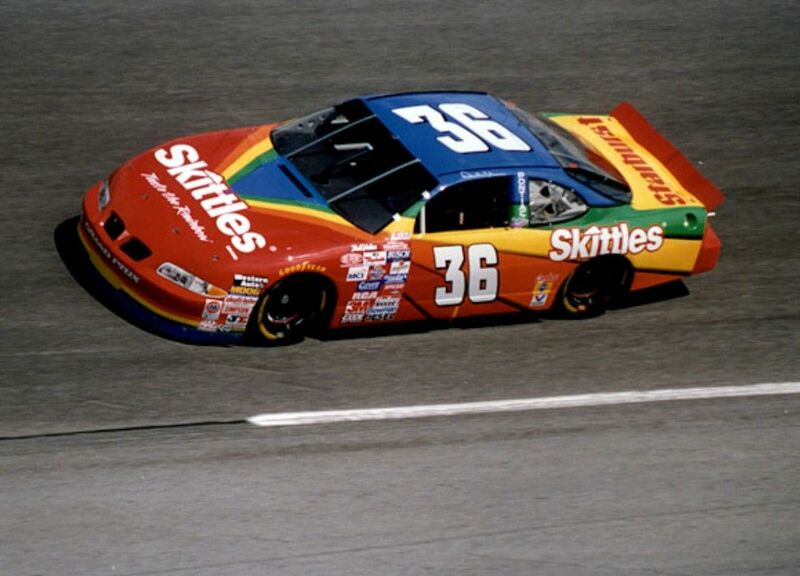 After that, the founders of Red Bull saw the light, and sold the team. 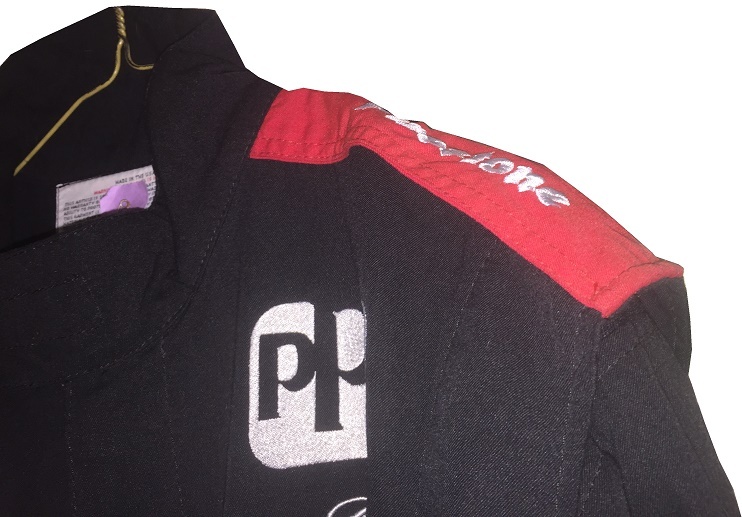 After the 2011 season, the remains of Red Bull Racing were sold to Ron Devine and Wayne Press. 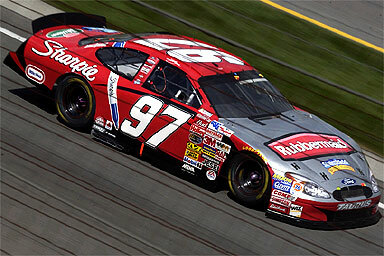 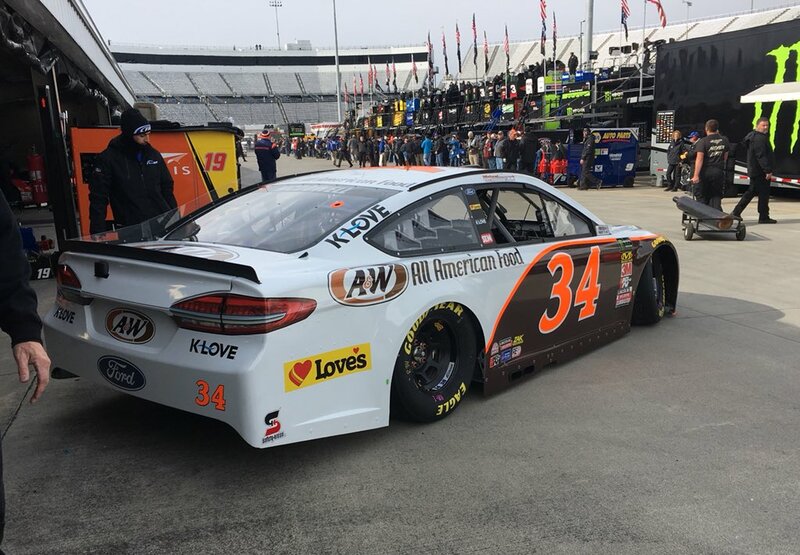 The new team, now known as BK Racing, started racing in 2011. 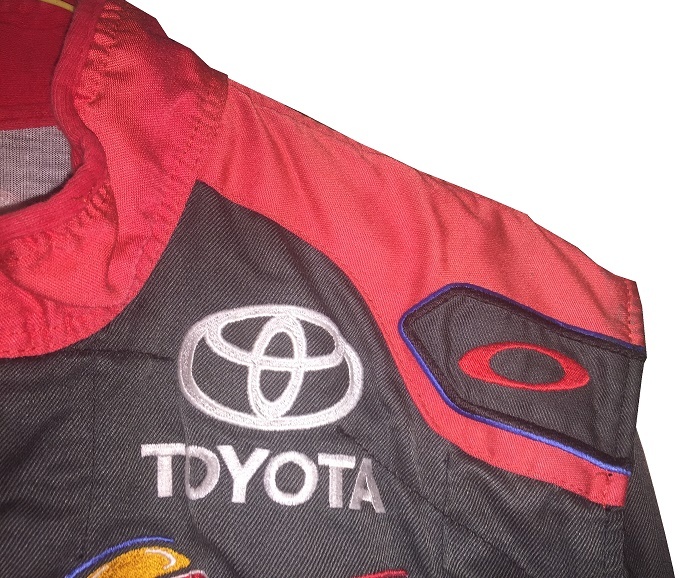 The team has gone through a number of drivers, and, as of this writing, is in bankruptcy court. 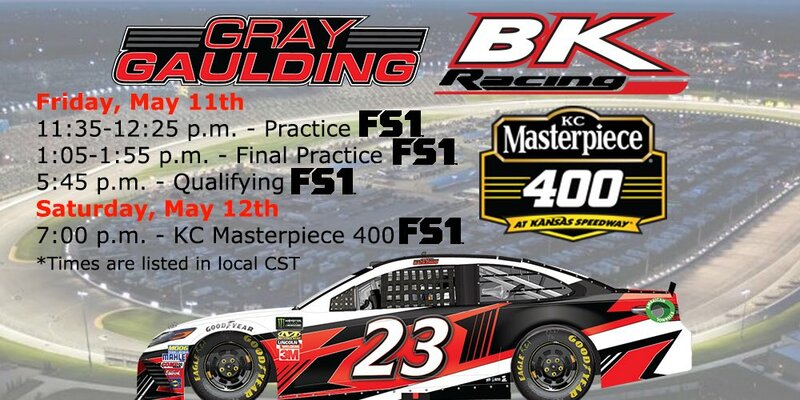 In 2014, BK Racing fielded 3 cars in the Cup Series. 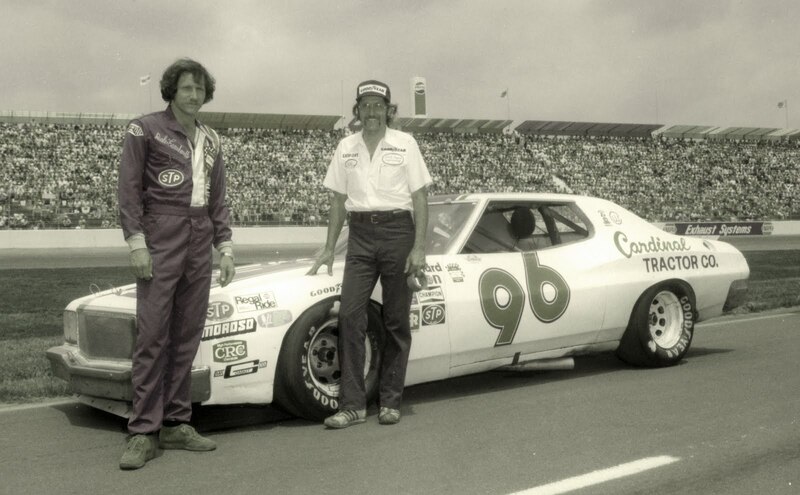 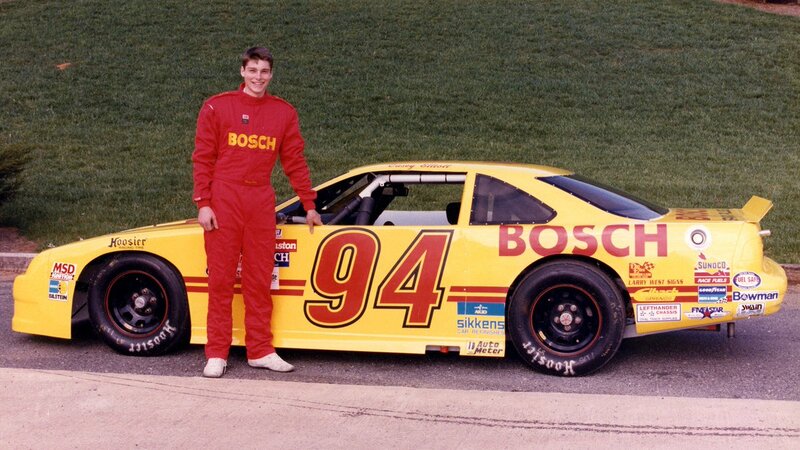 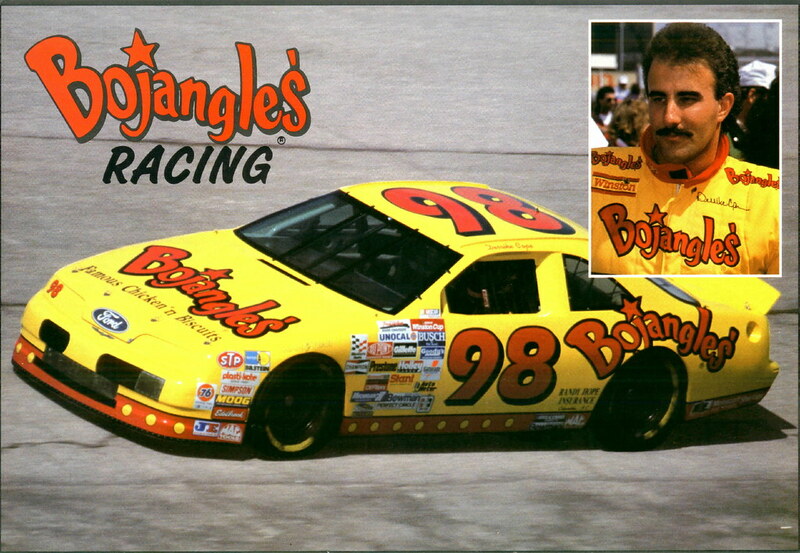 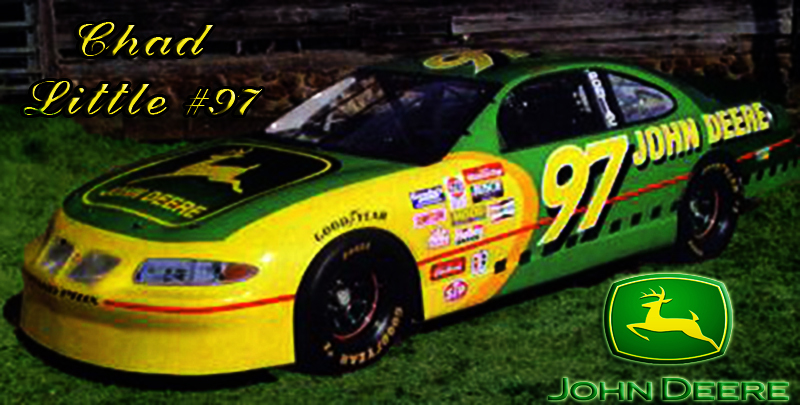 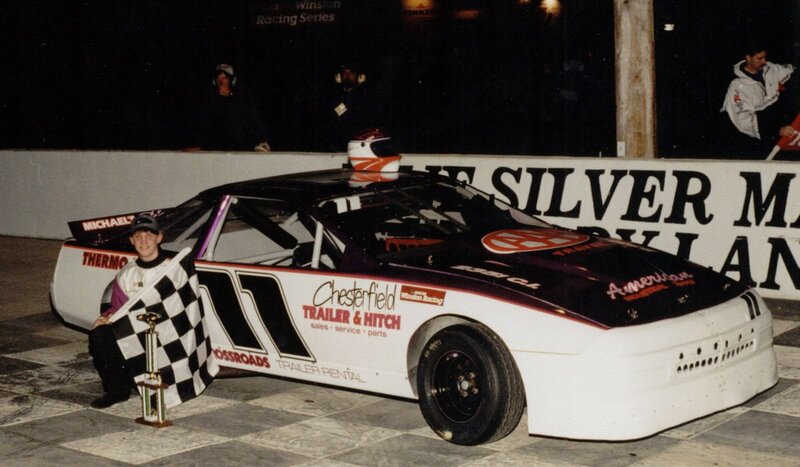 Tracy Duncan was the jackman for the #83. 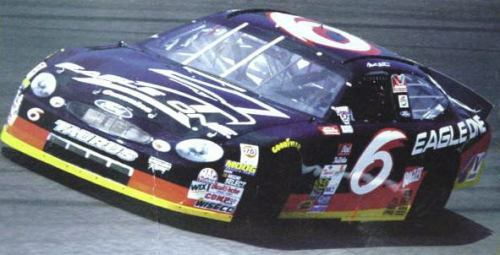 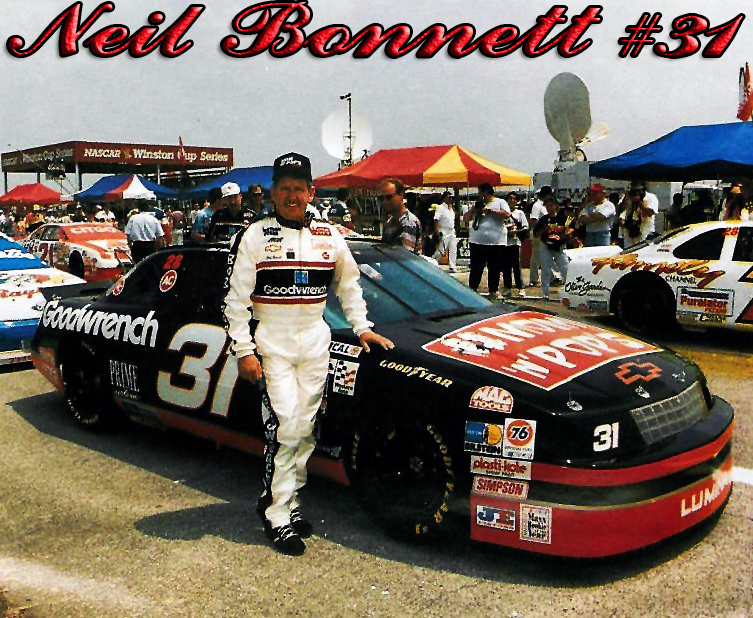 The #83 didn’t have any real success, failing to score even a top 10. 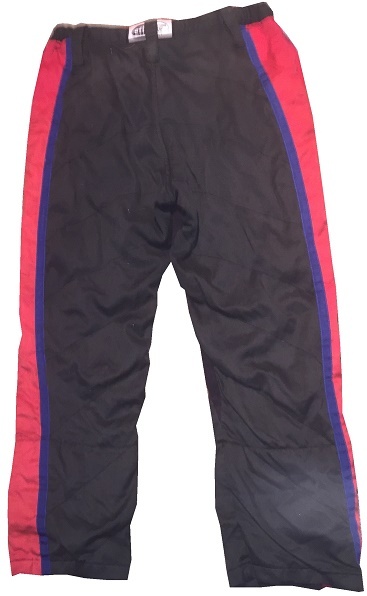 During that season, Duncan wore this Oakley/Simpson mismatched two-piece suit. 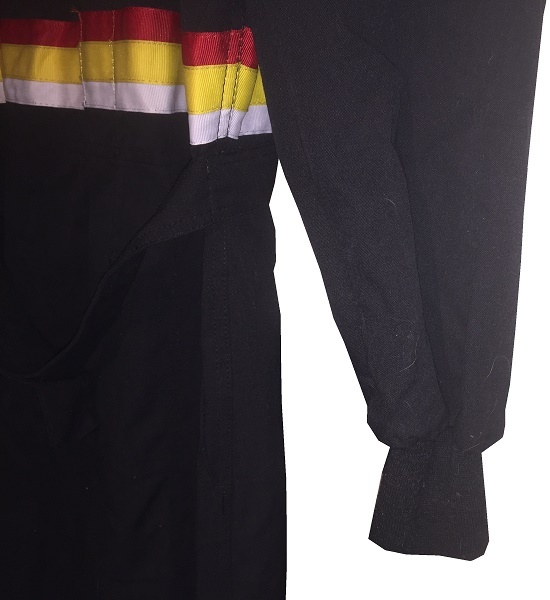 The suit shows decent use. 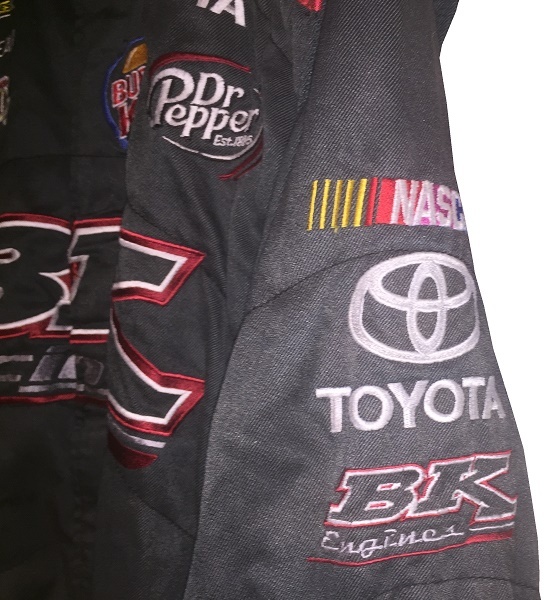 The jacket shows decent use. 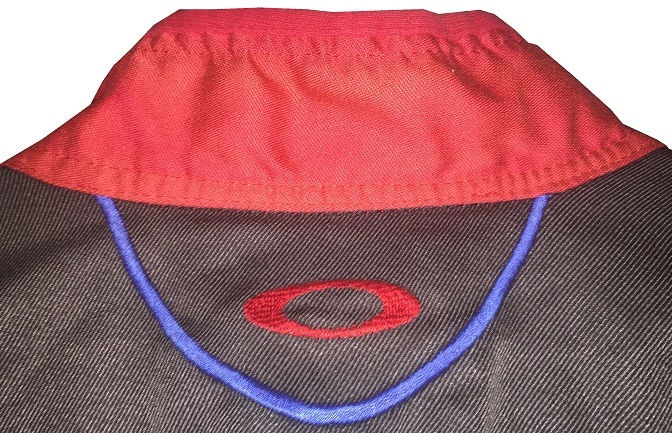 The standard red collar has a tear in it, and is otherwise unadorned. 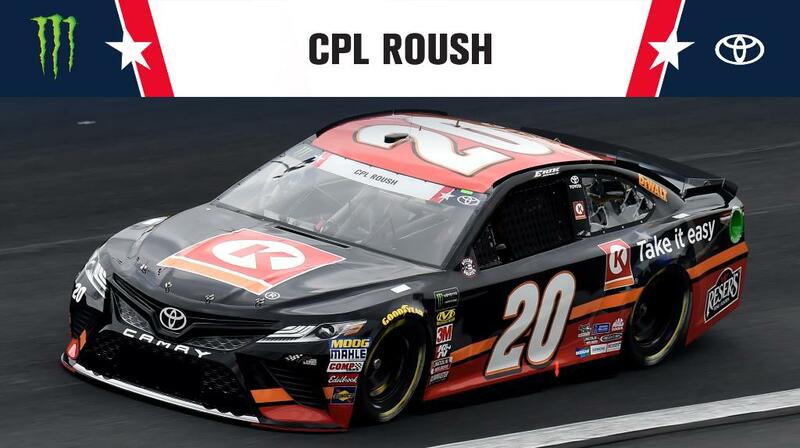 The cowl doesn’t have a tag of any kind. 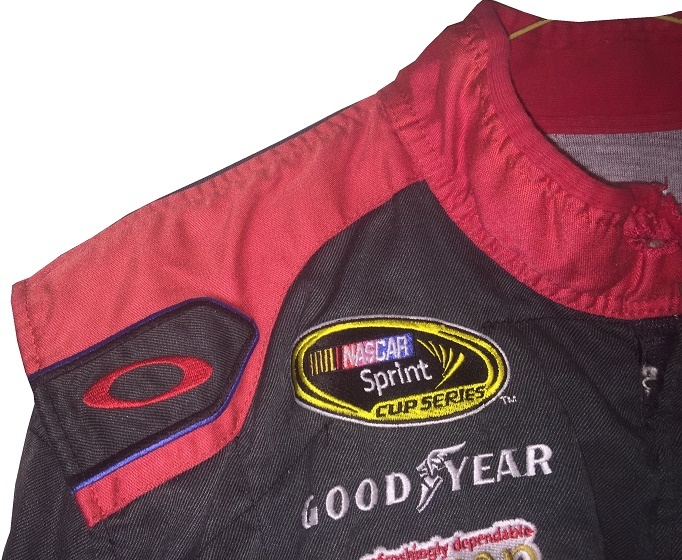 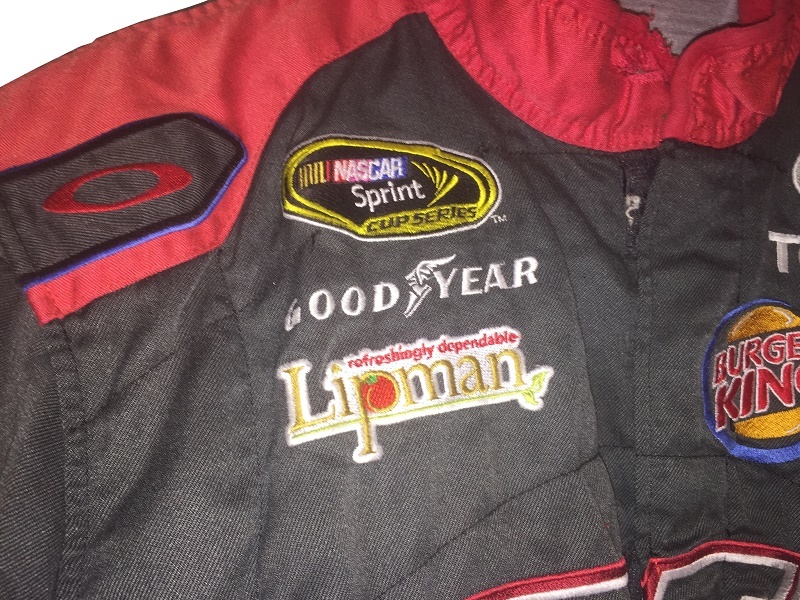 The right chest features NASCAR SPRINT CUP SERIES, GOODYEAR, and LIPMAN REFRESHINGLY DEPENDABLE logos embroidered. 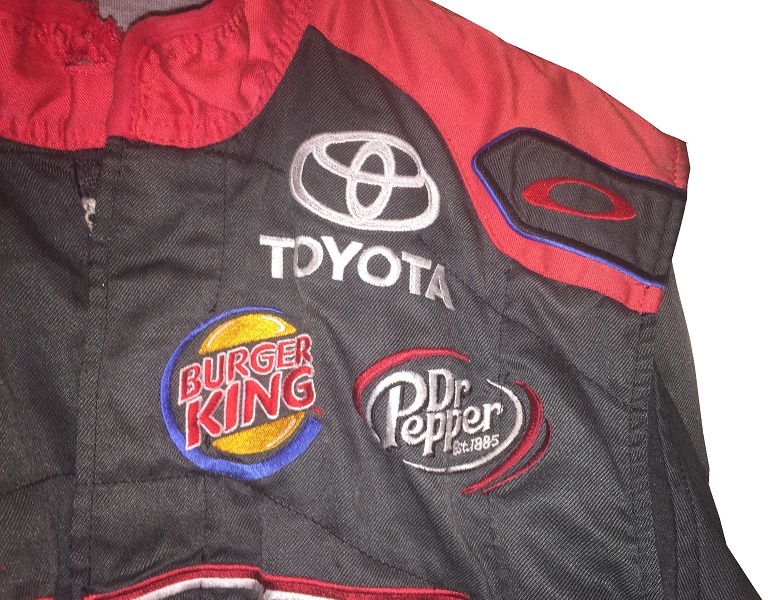 The left chest features TOYOTA, BURGER KING, and DR. PEPPER logos embroidered. 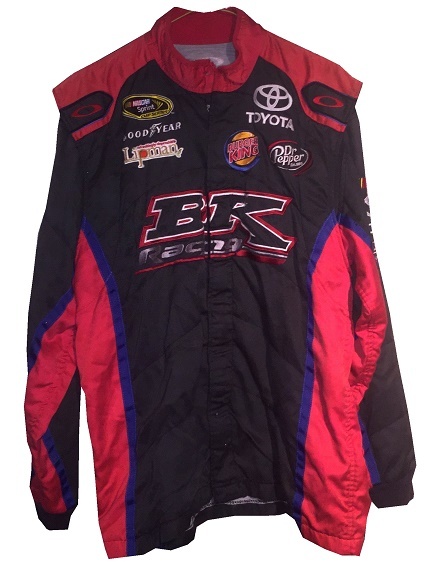 The front torso features a large BK RACING logo embroidered. 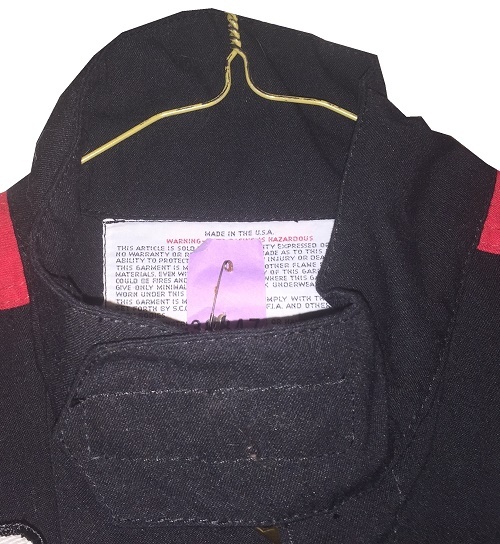 Inside the front zipper is the Oakley Warranty Label. 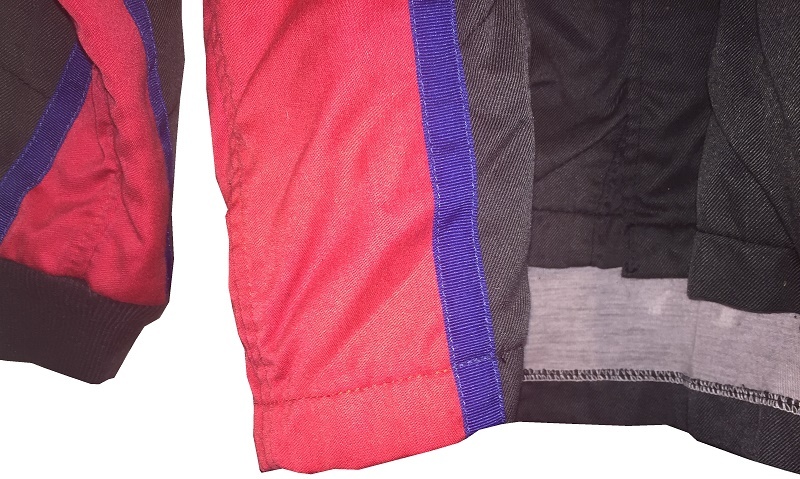 The hems don’t have comfort straps. 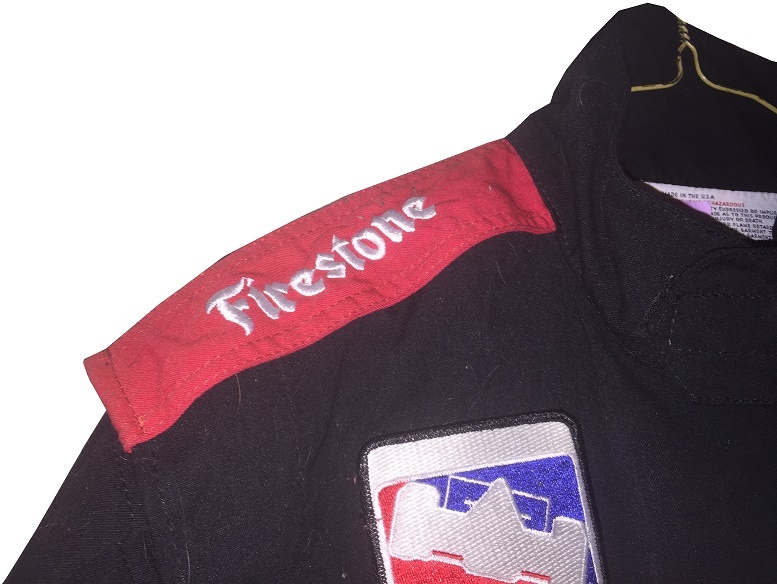 The shoulder epaulets have Oakley logos on the bottom, and are otherwise unadorned. 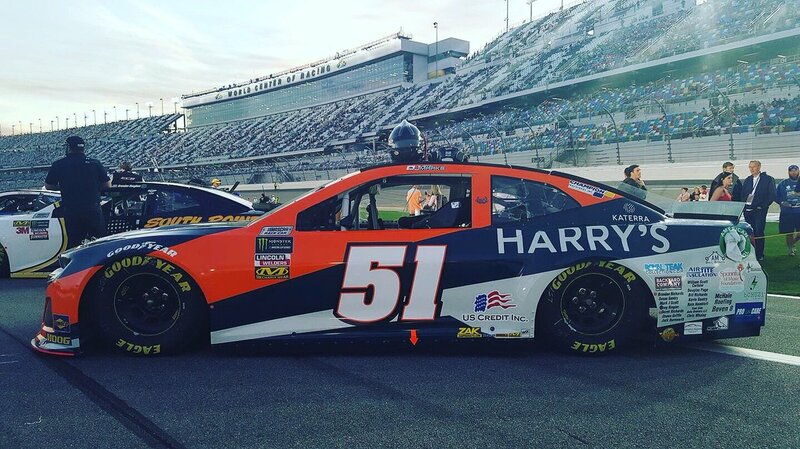 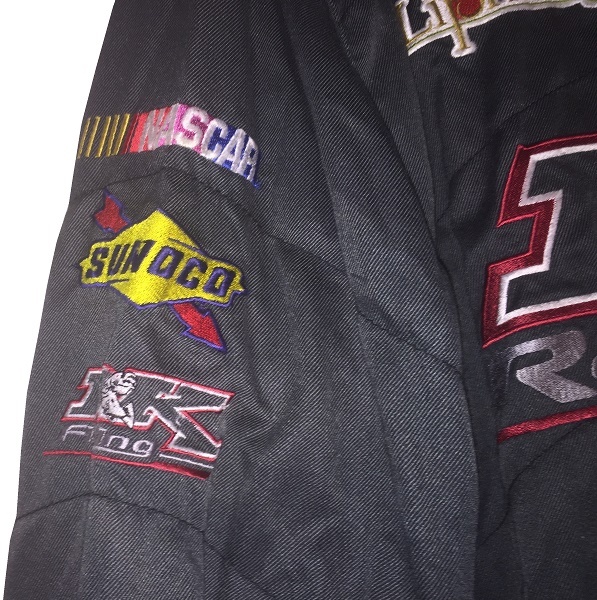 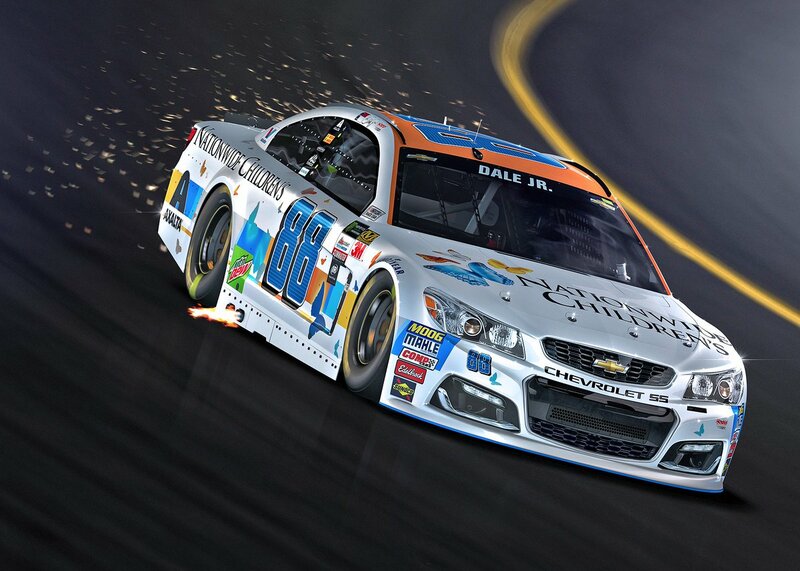 The right sleeve has a NASCAR logo, a SUNOCO logo, and a BK RACING logo, and nothing in television position. 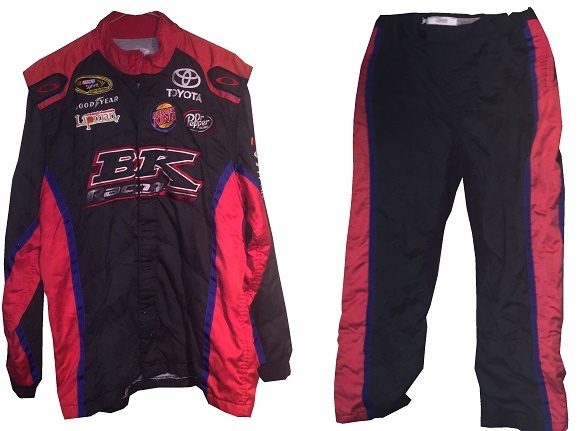 The left sleeve has a NASCAR logo, a TOYOTA logo, and a BK RACING logo, and nothing in television position. 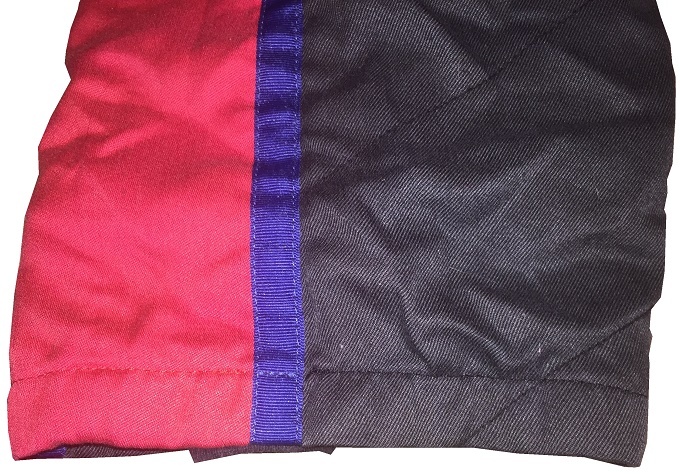 The back of the jacket shows some light use. 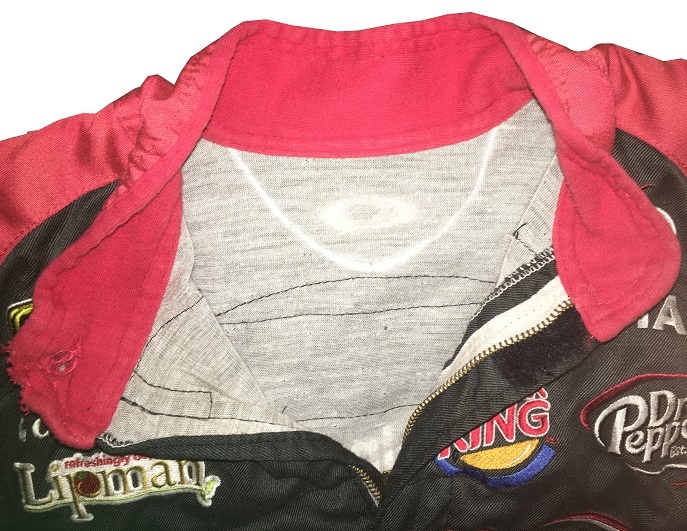 The back of the neck is unadorned, and there is an Oakley logo below the collar. 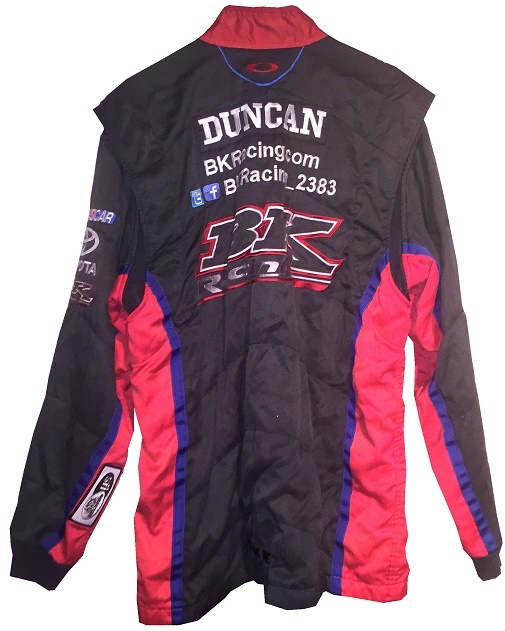 The back torso features DUNCAN,BKRACING.COM,@BKRACING_2383, and a BK RACING logo embroidered. 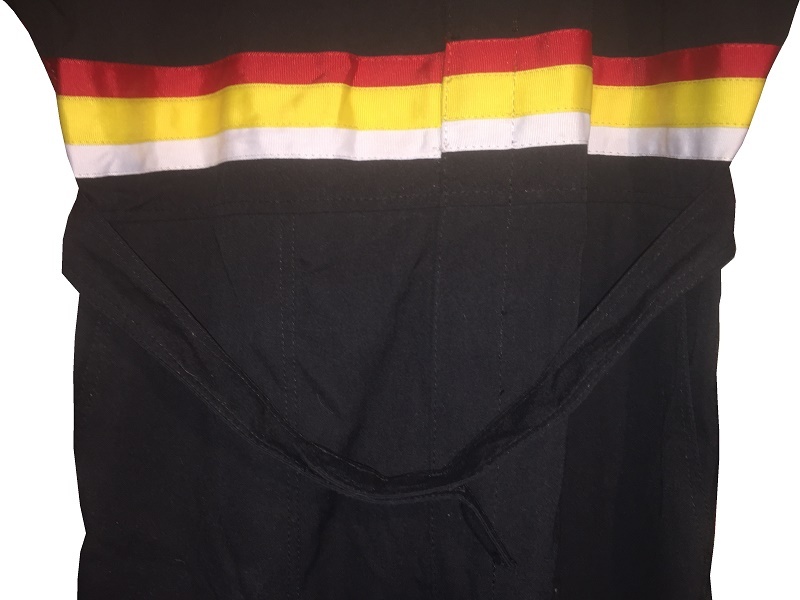 The pants show decent use, especially on the cuffs. 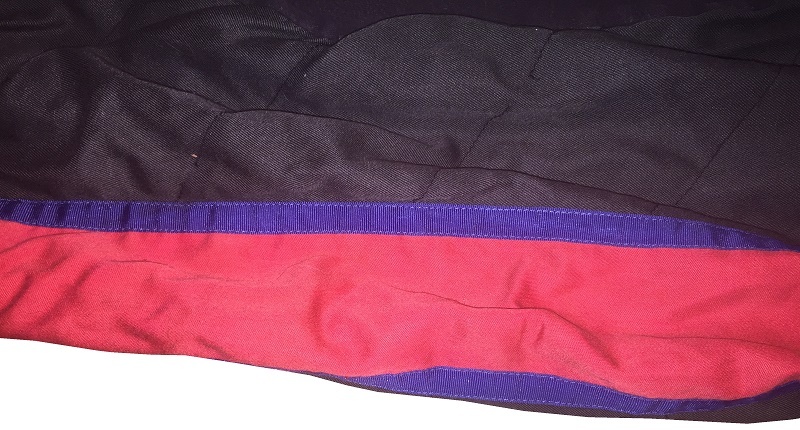 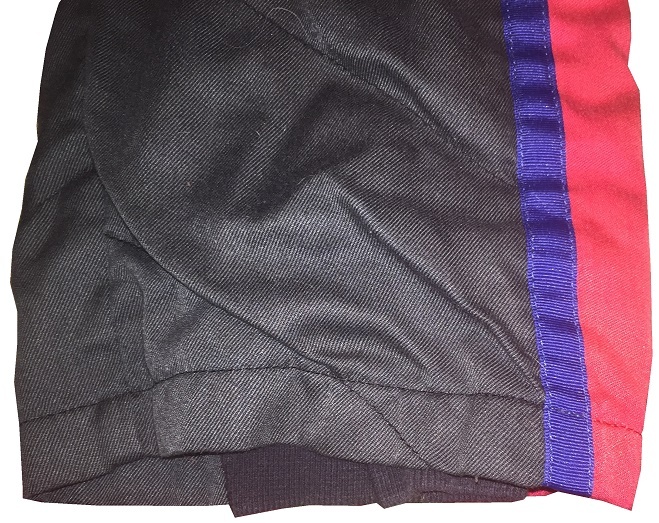 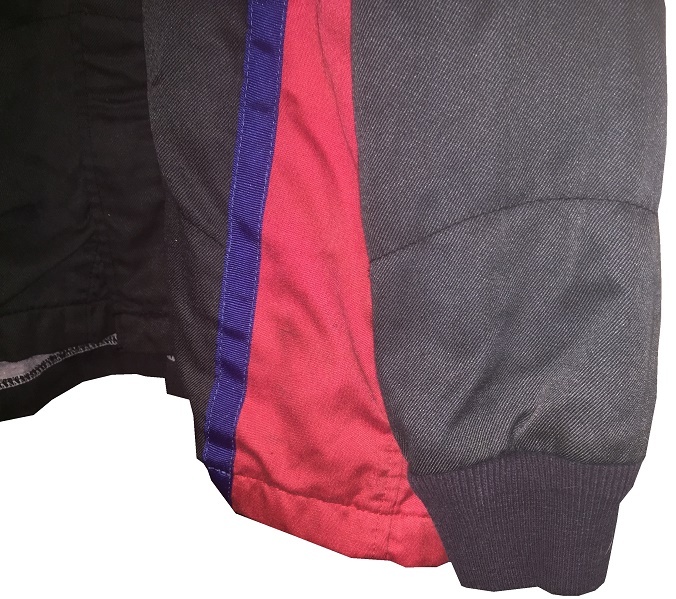 The right leg features some wear on the red and blue stripe, and some wear on the cuff. 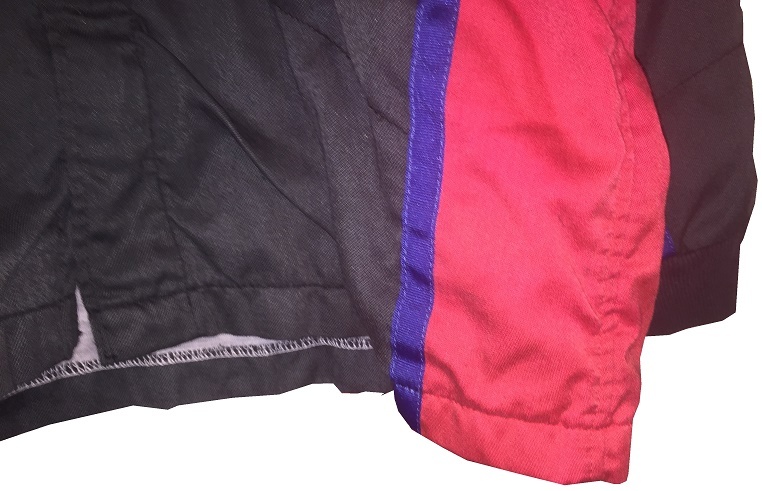 The left leg doesn’t have as much wear as the right leg does. 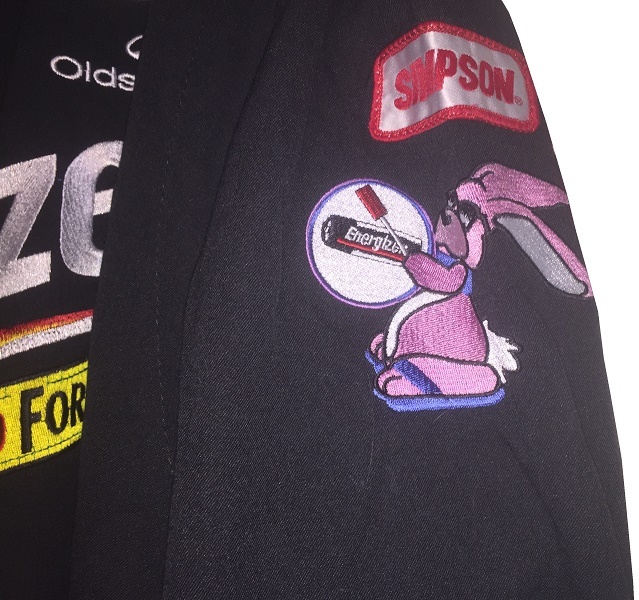 For some reason, even though this is an Oakley-made pair of pants, there is a team Simpson sticker on the Oakley warranty label in the back. 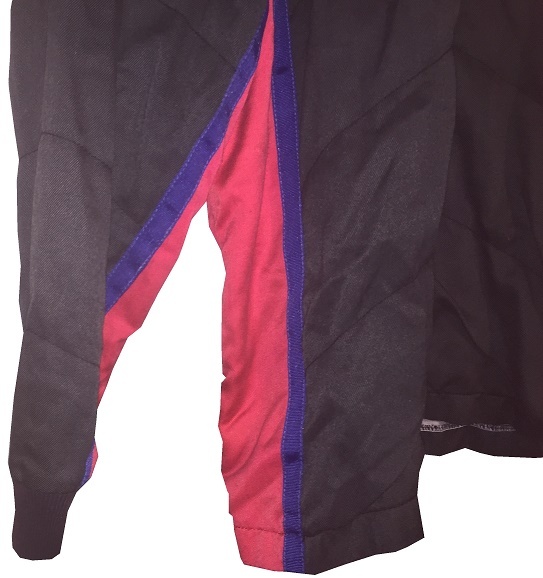 The back of the pants don’t show much wear. 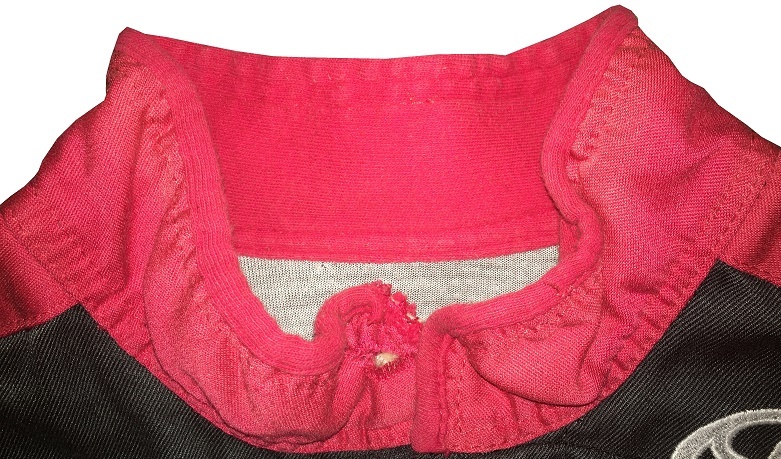 The back of the waist has the SFI certification. 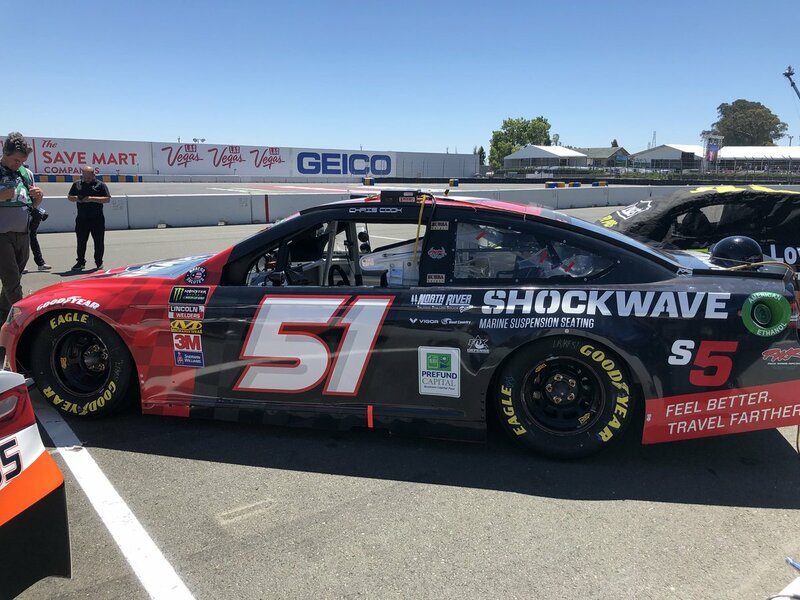 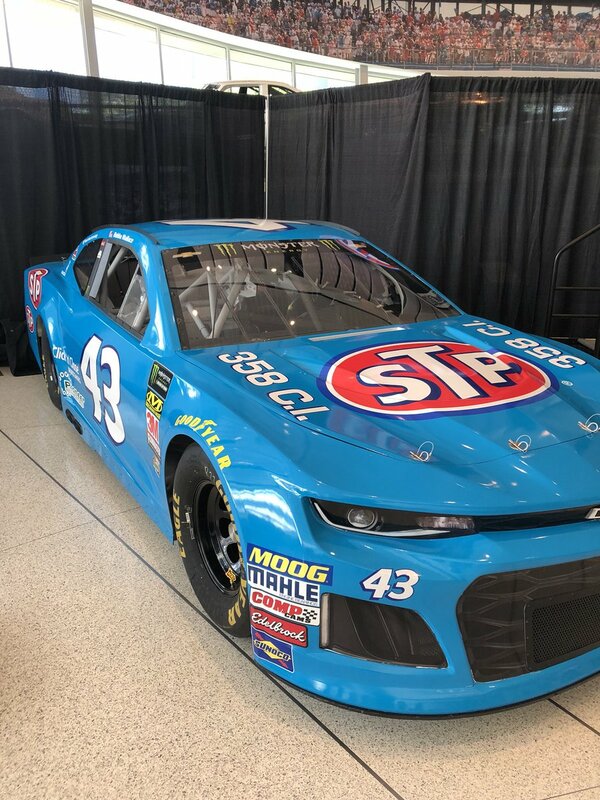 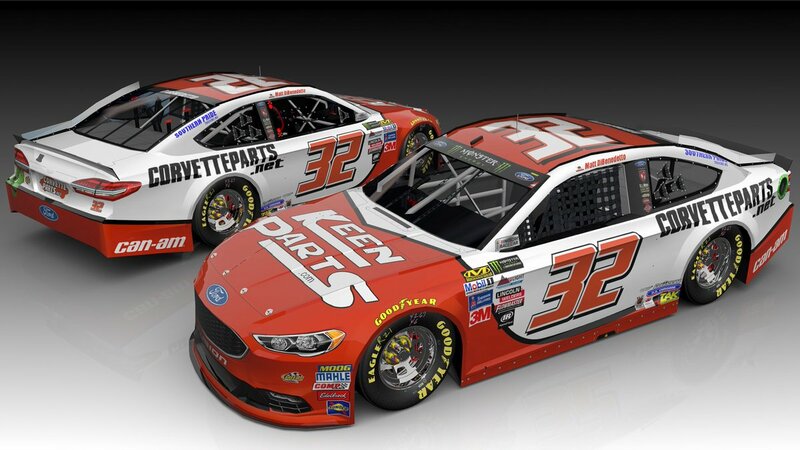 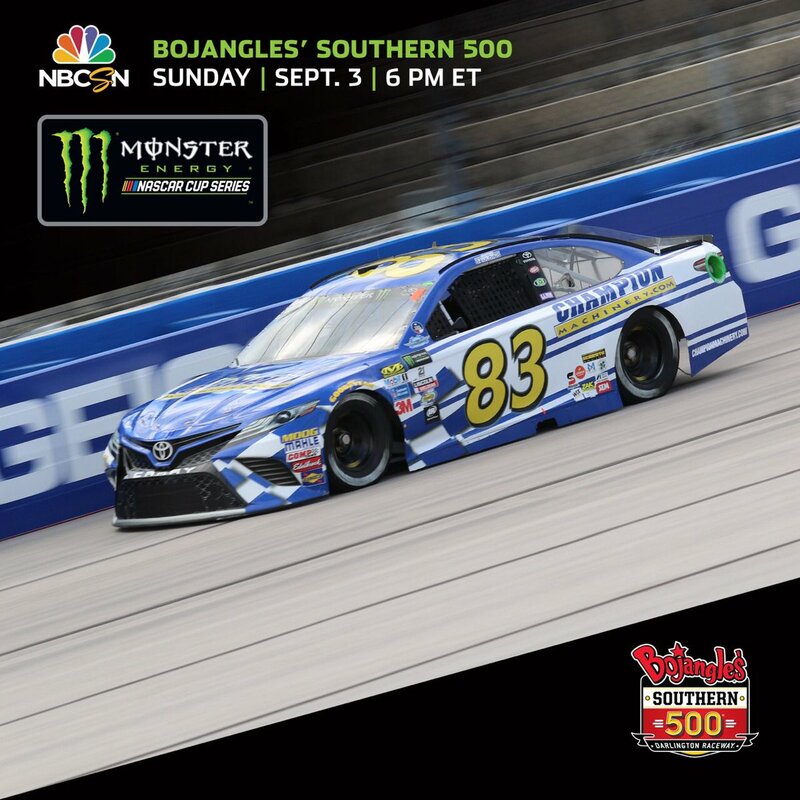 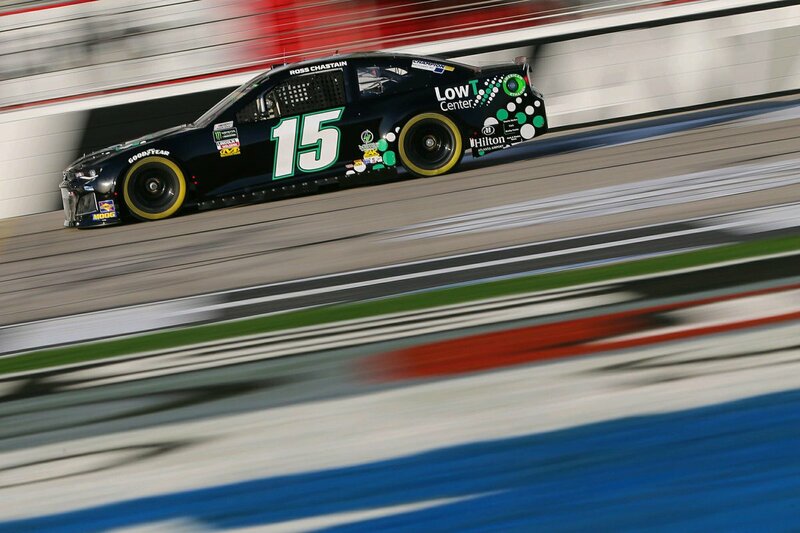 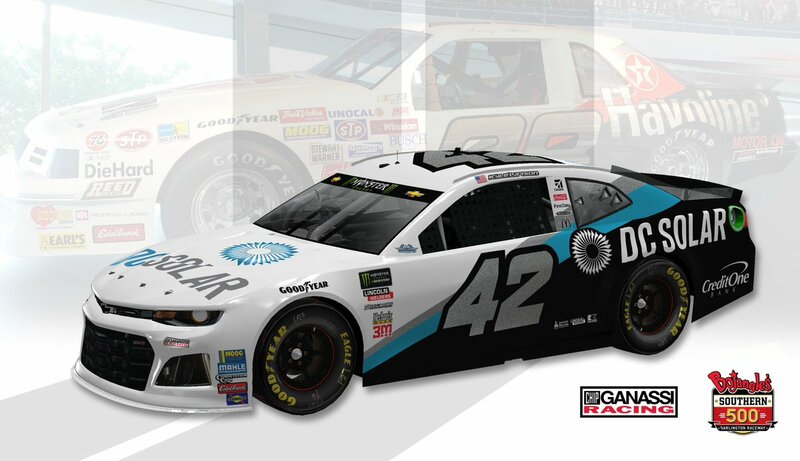 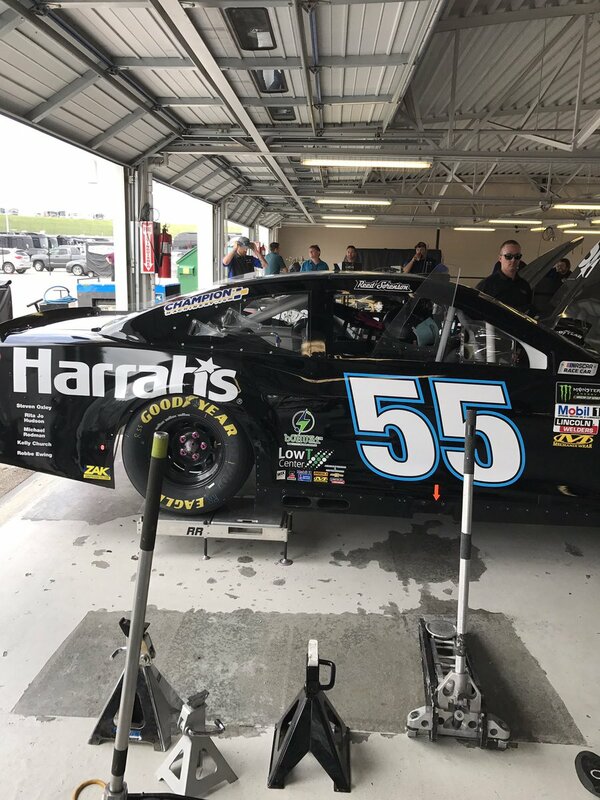 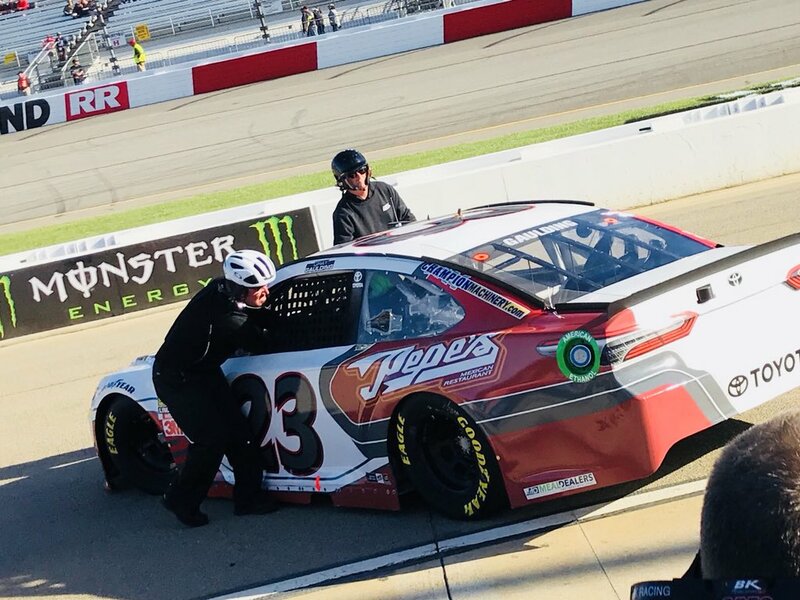 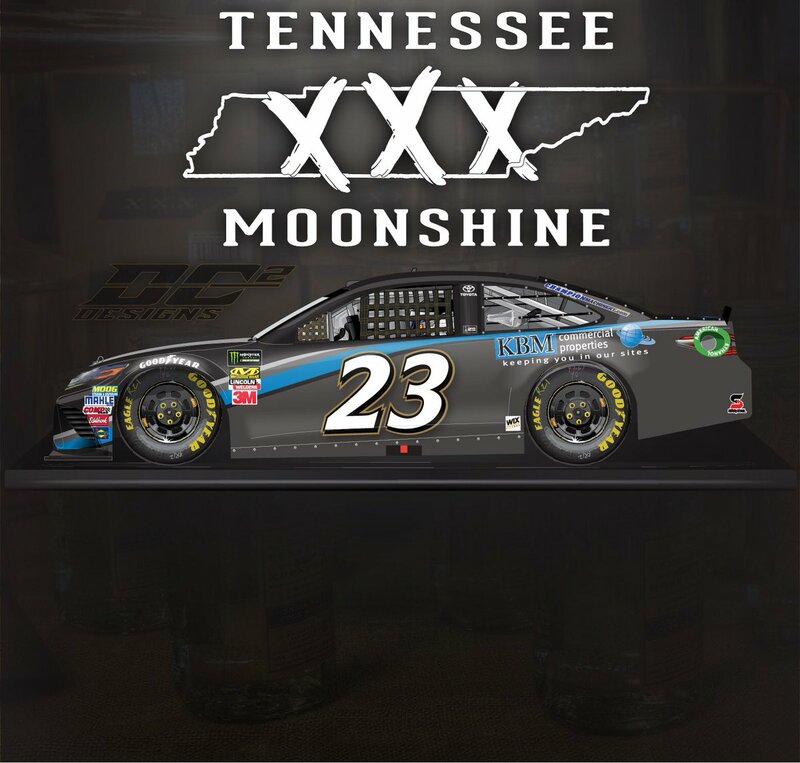 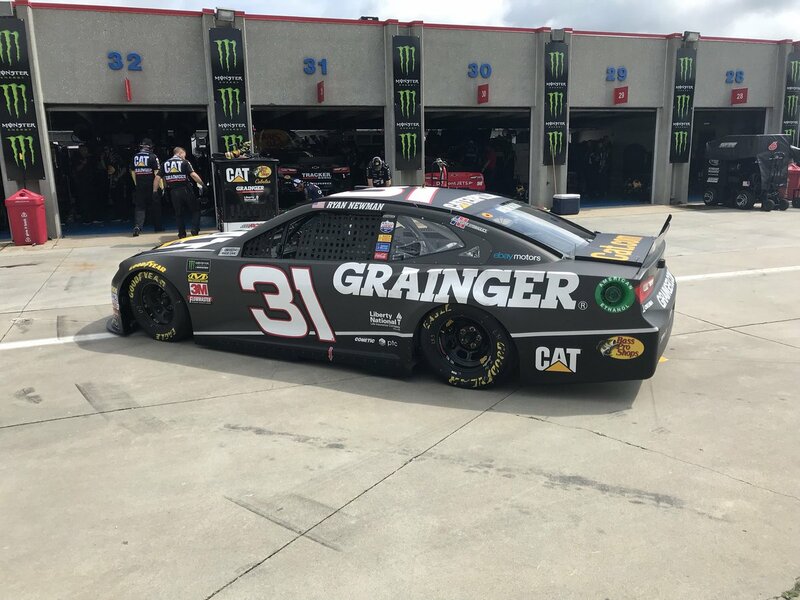 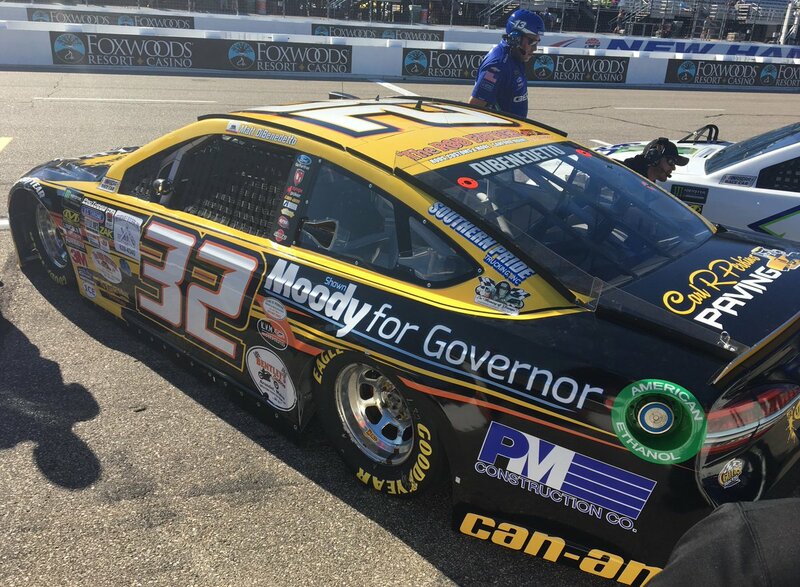 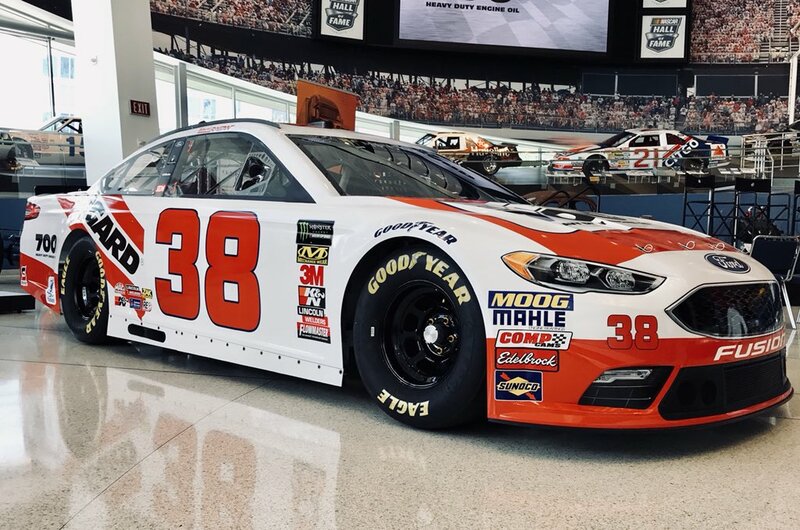 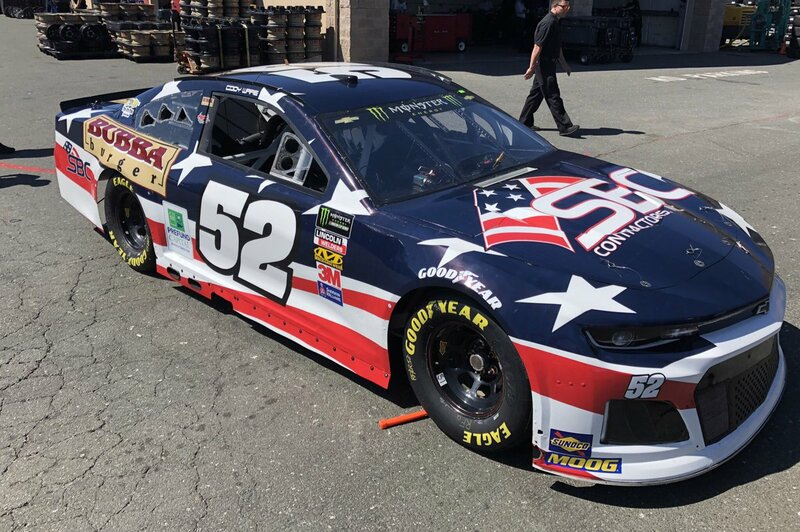 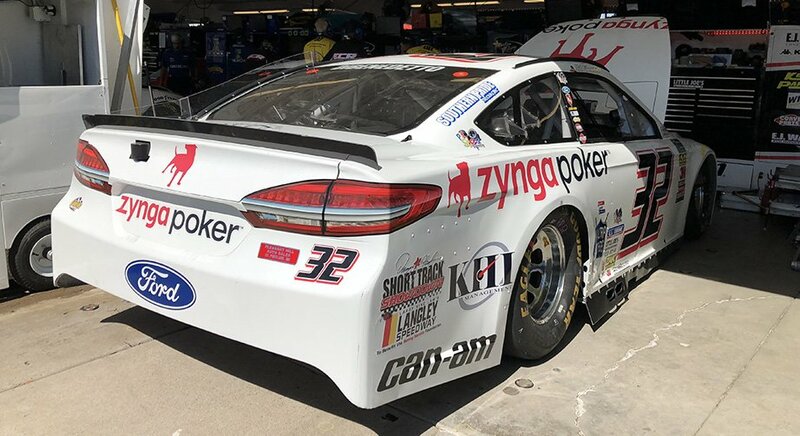 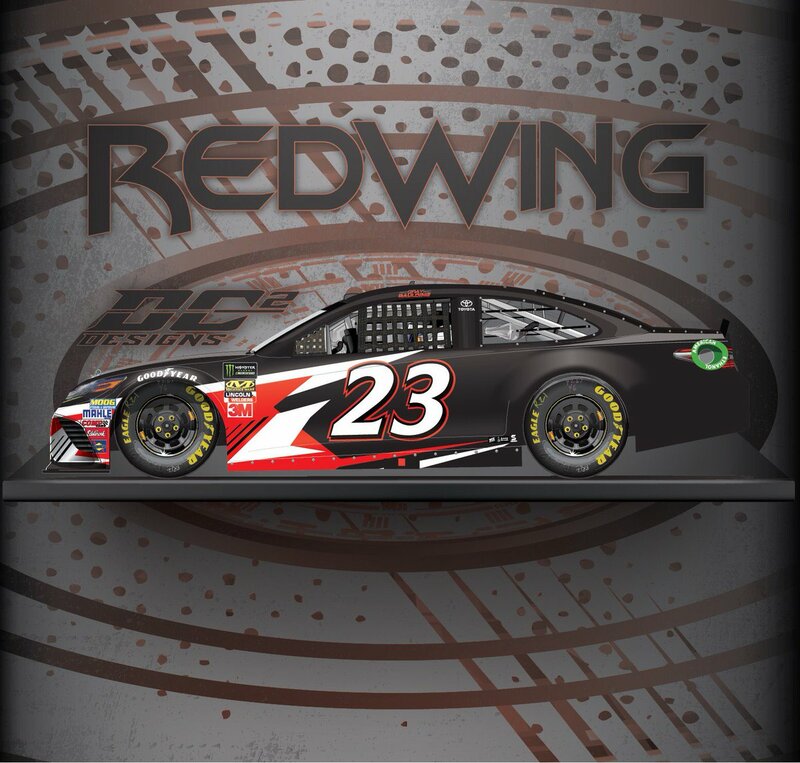 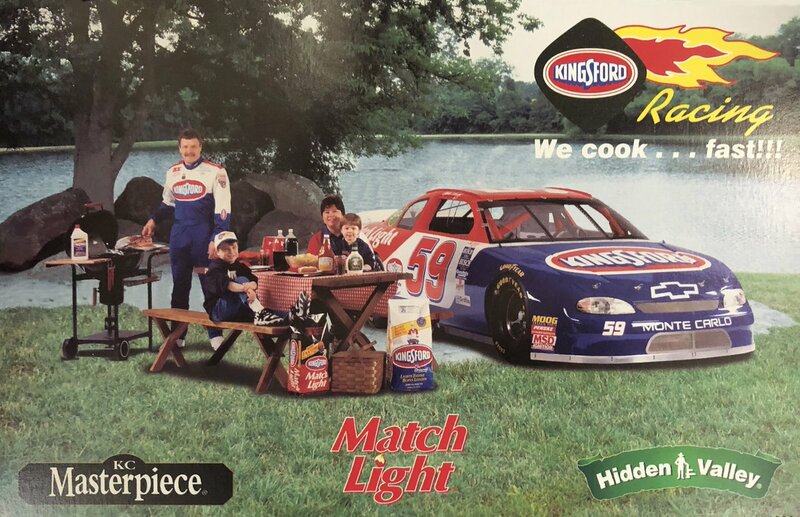 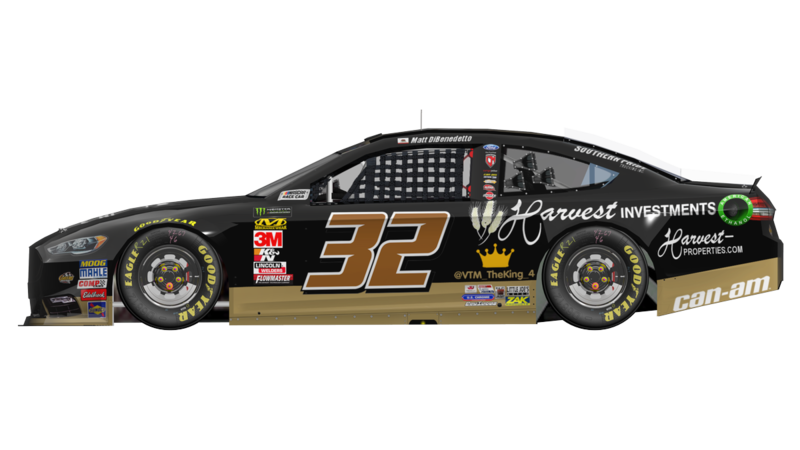 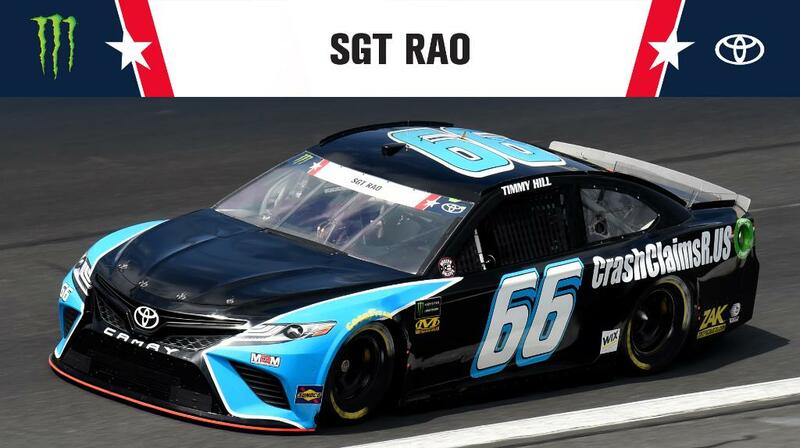 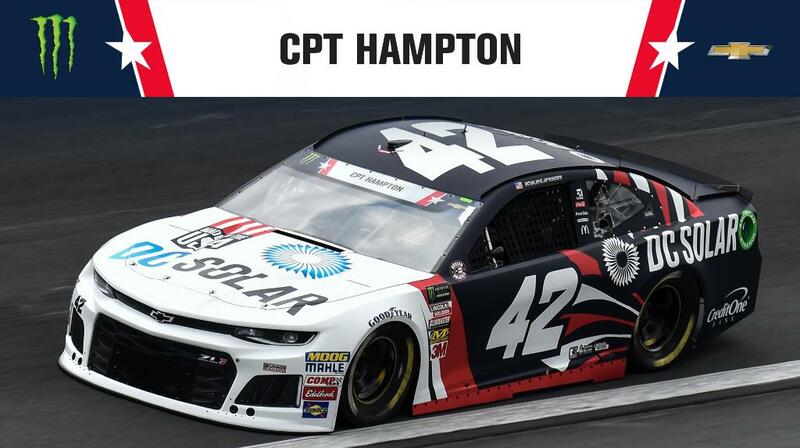 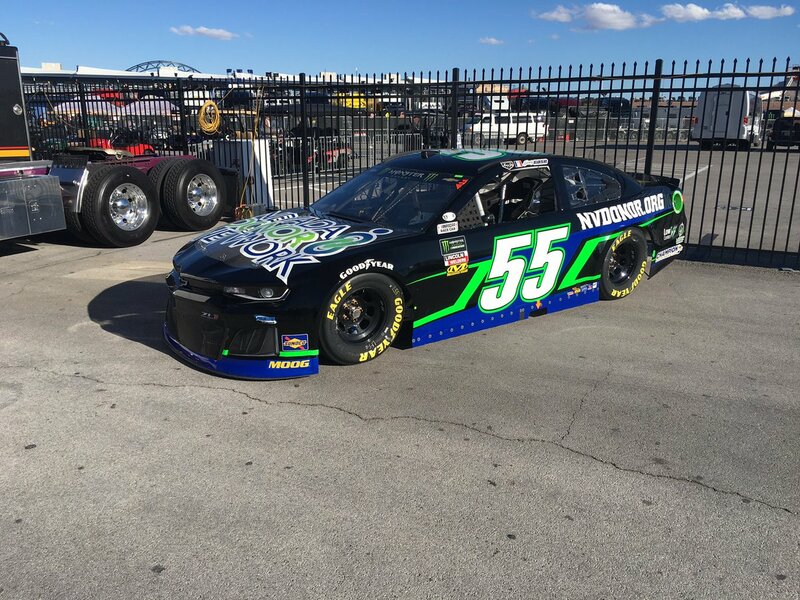 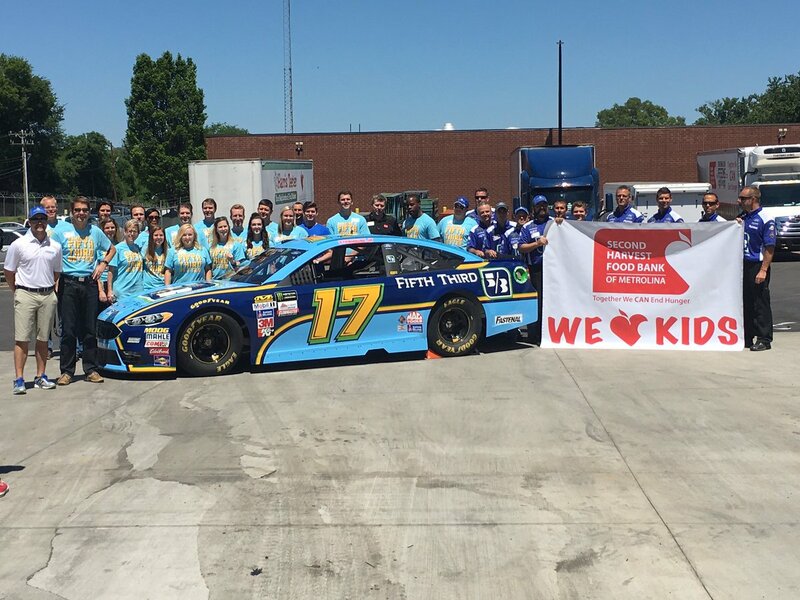 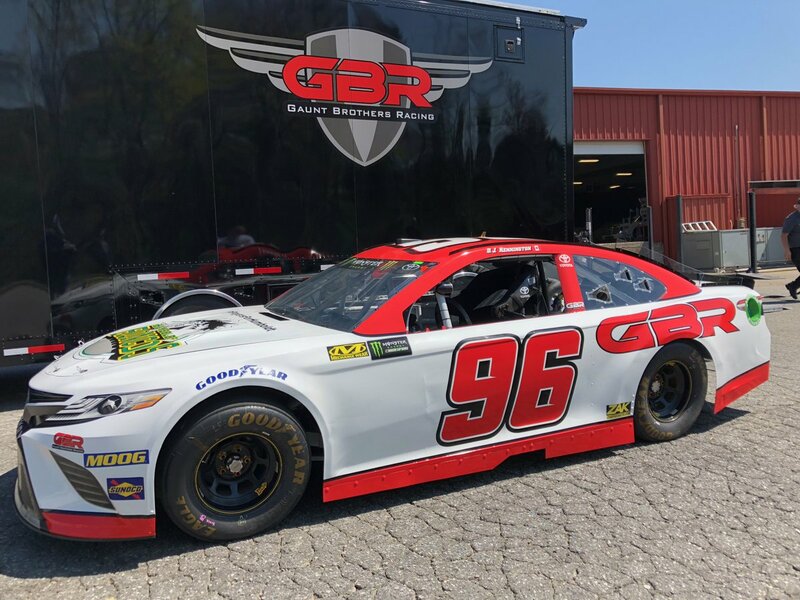 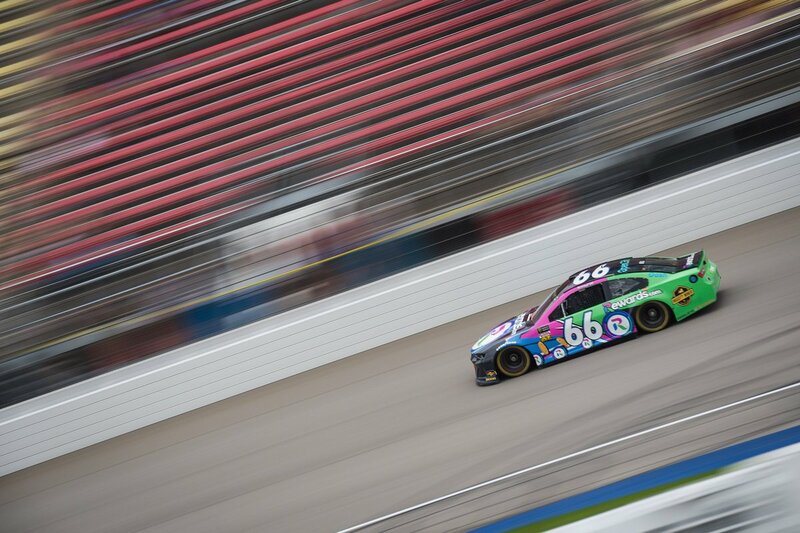 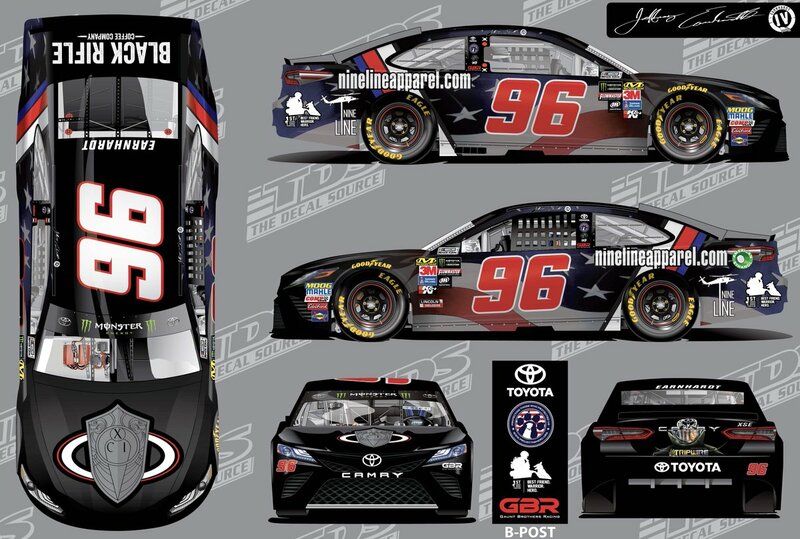 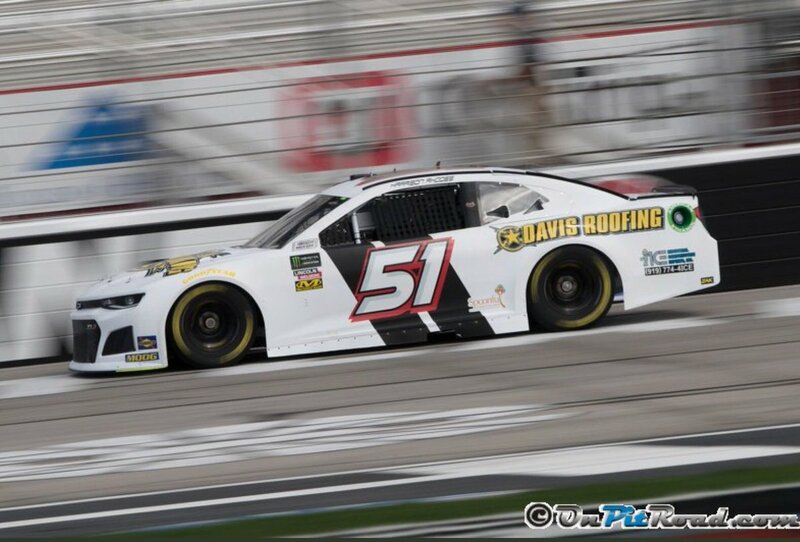 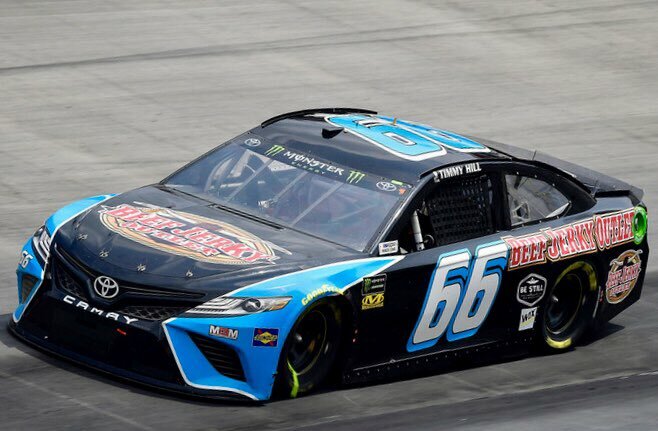 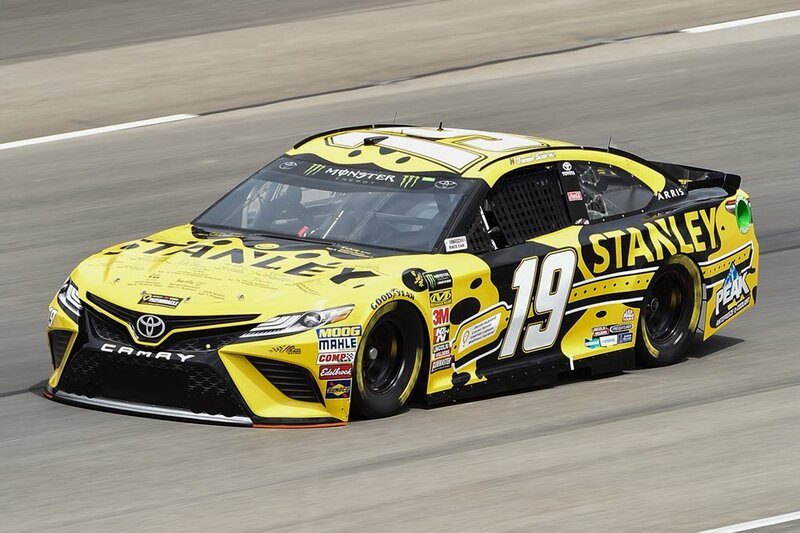 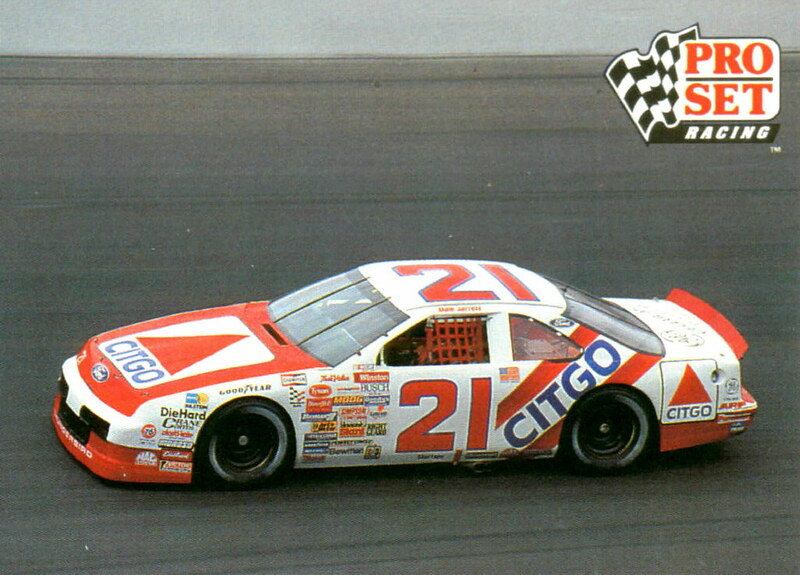 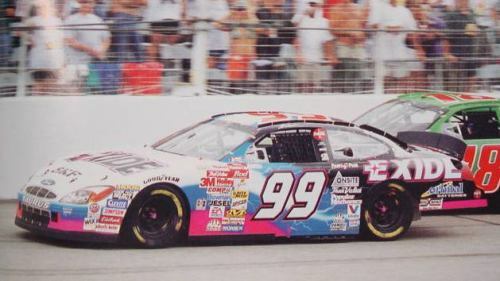 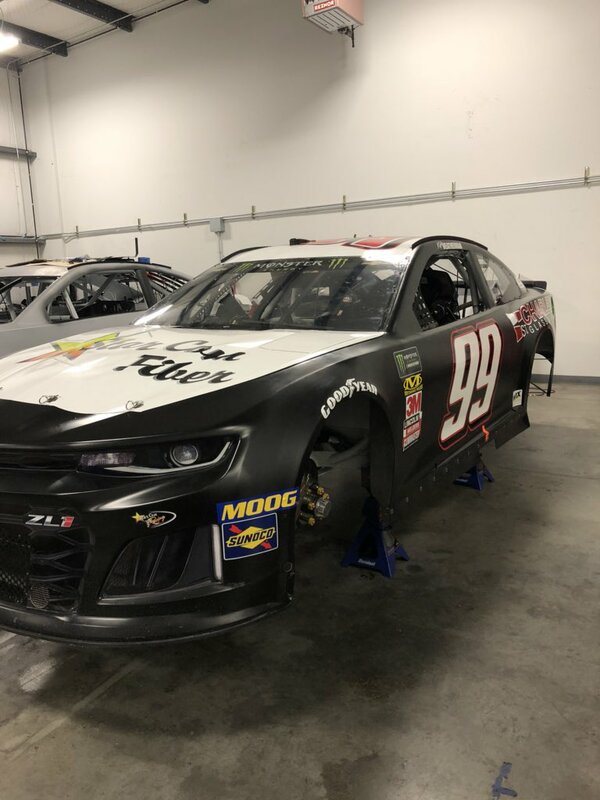 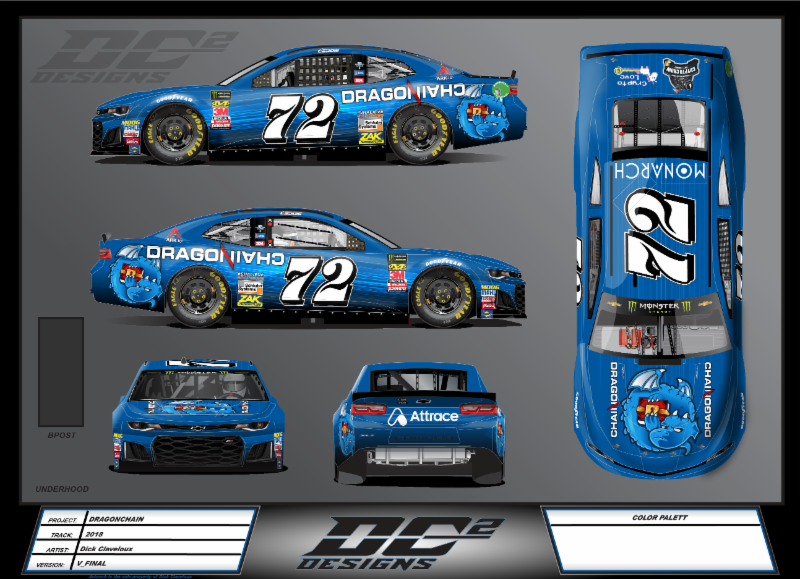 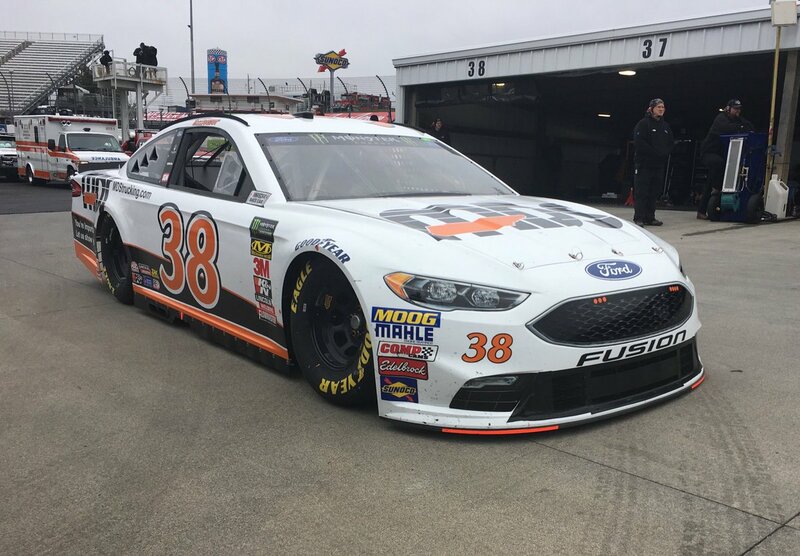 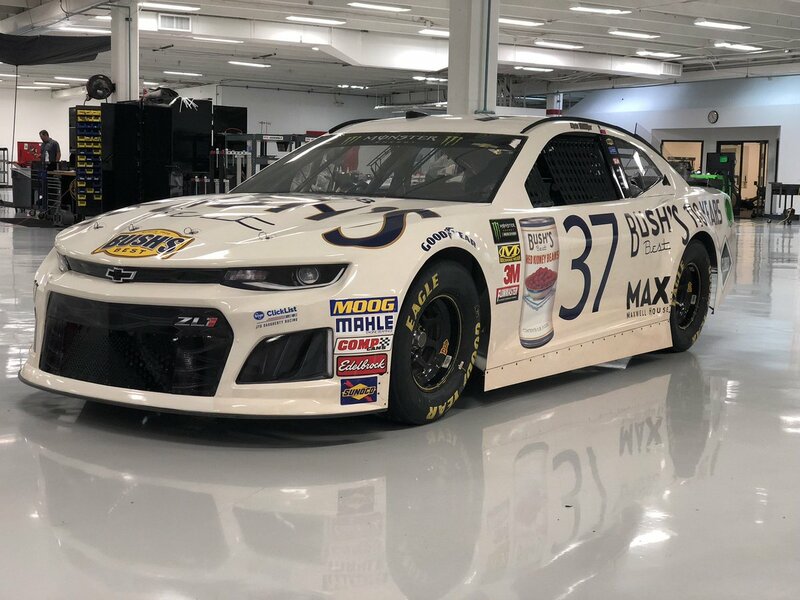 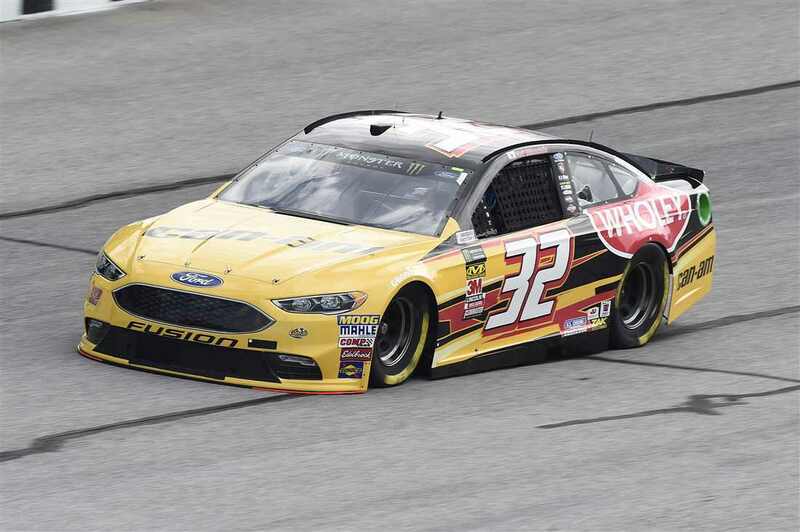 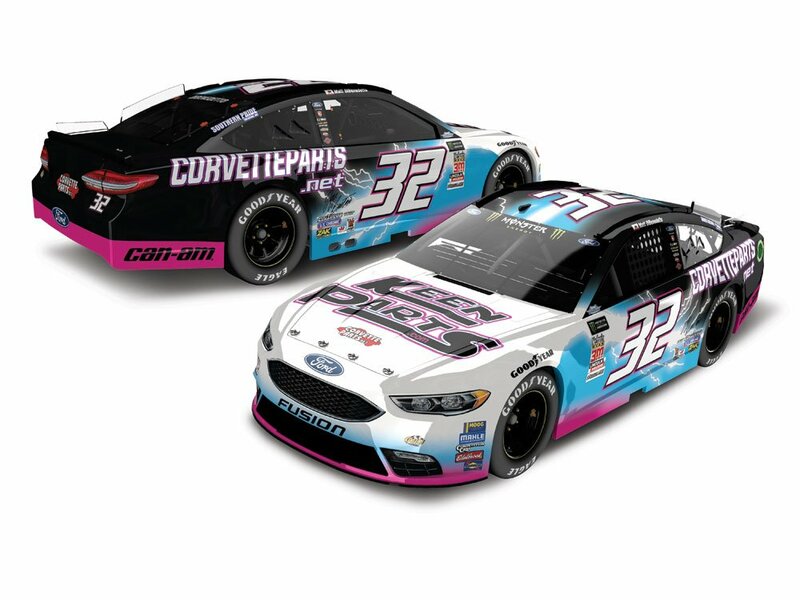 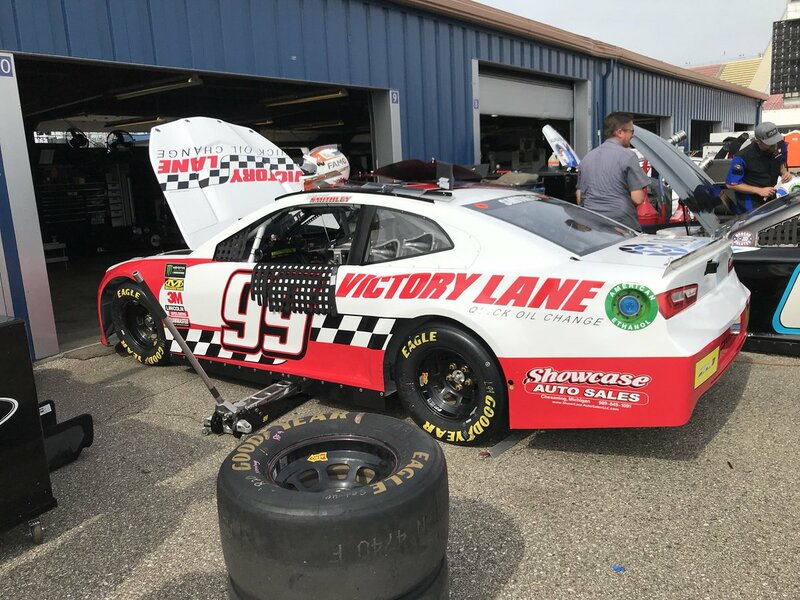 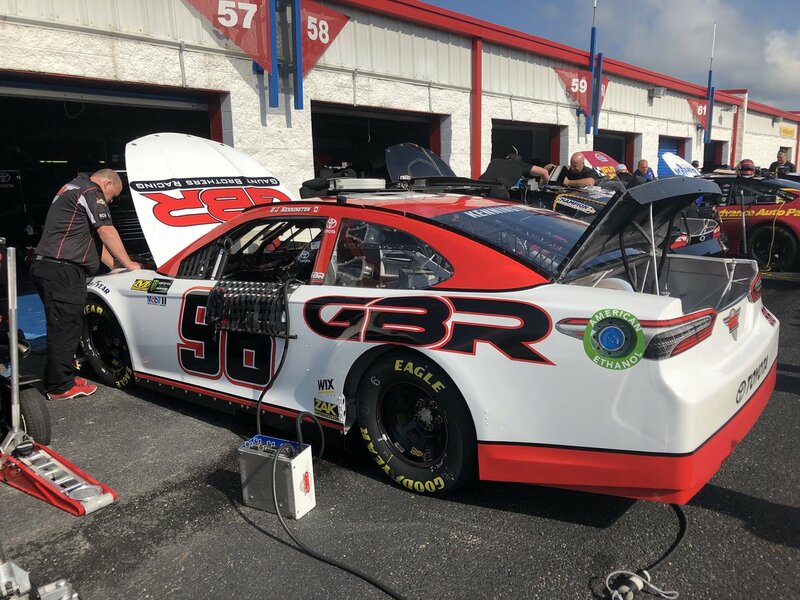 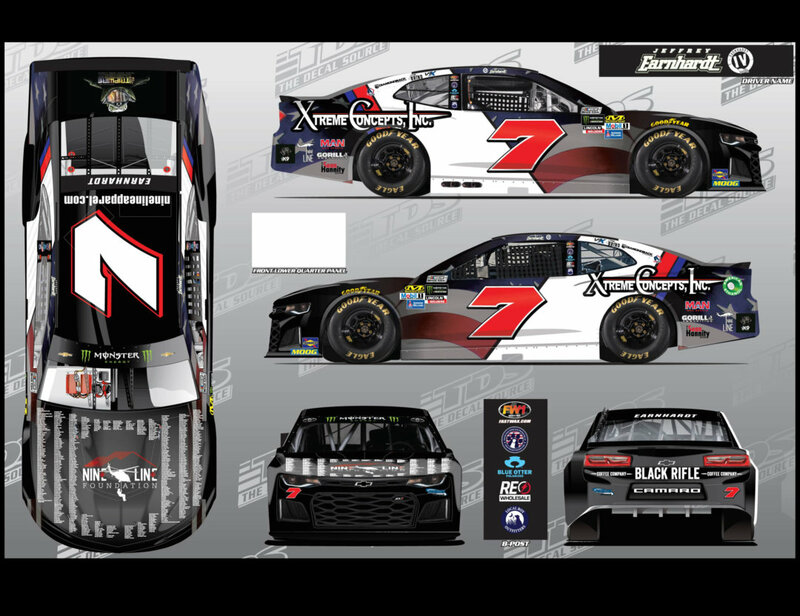 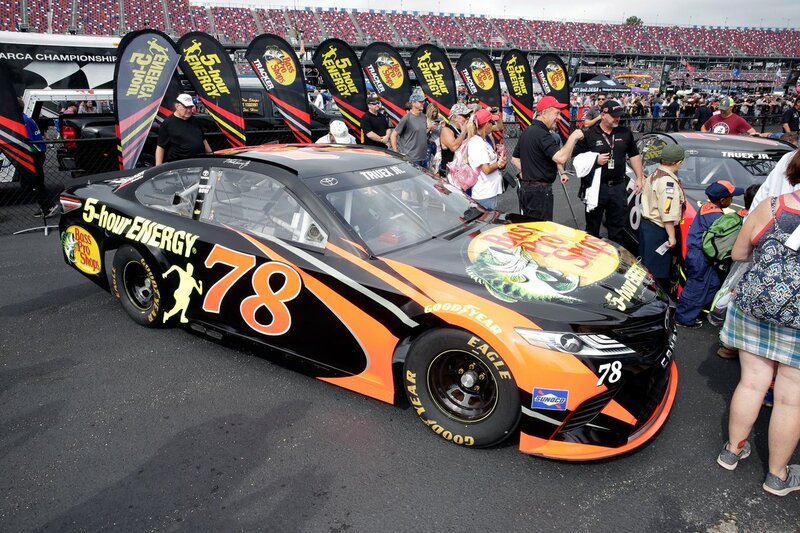 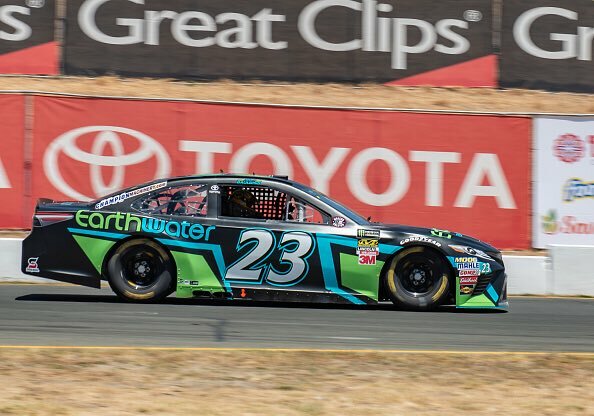 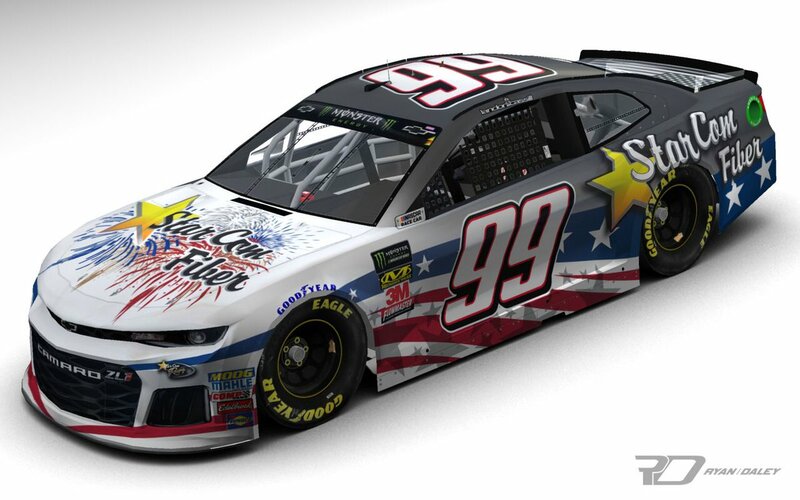 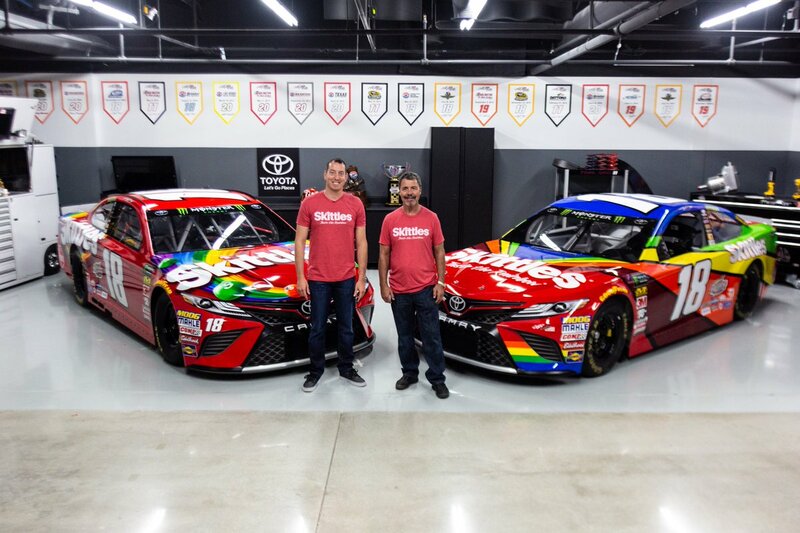 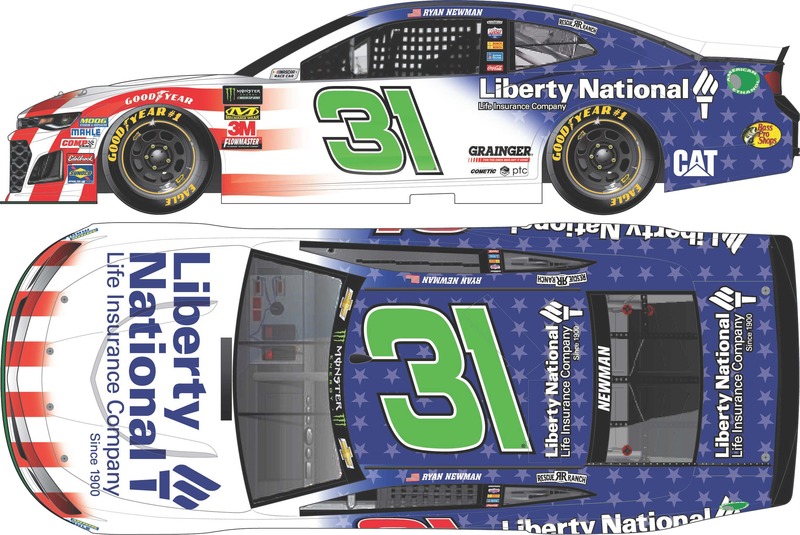 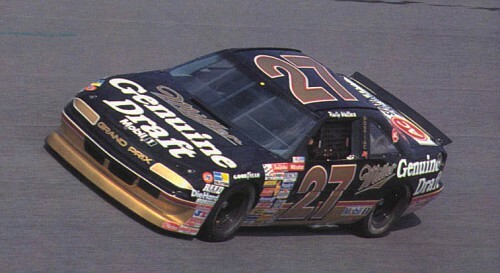 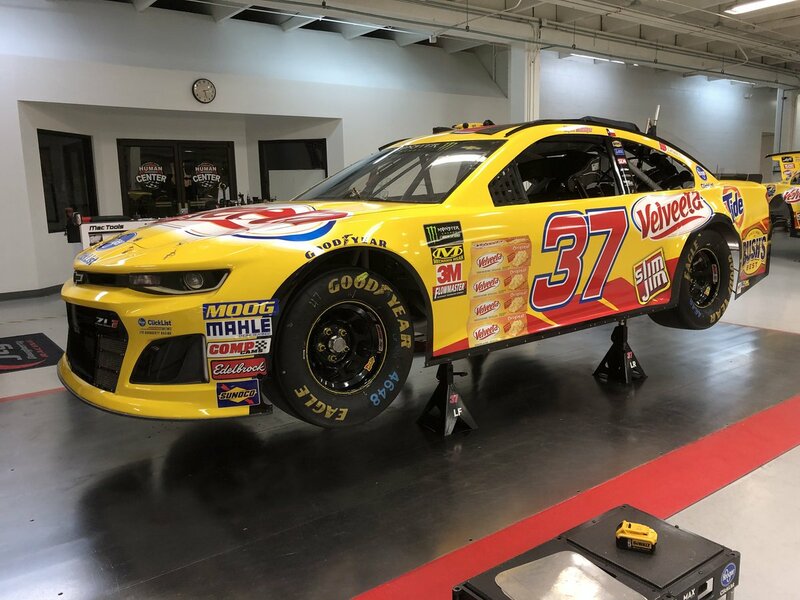 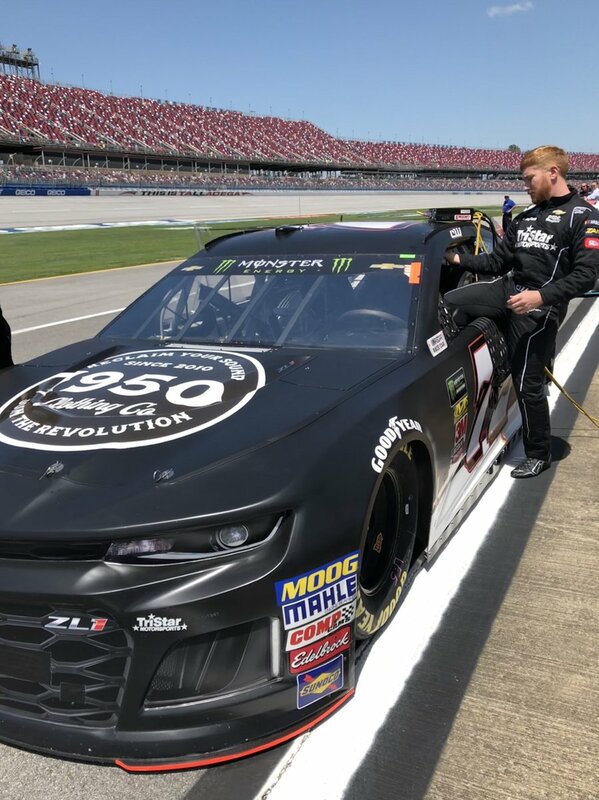 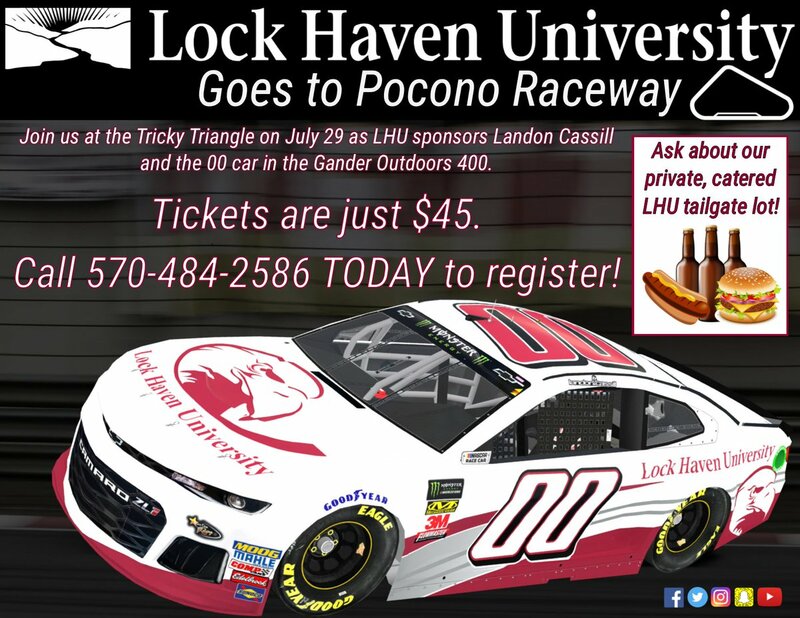 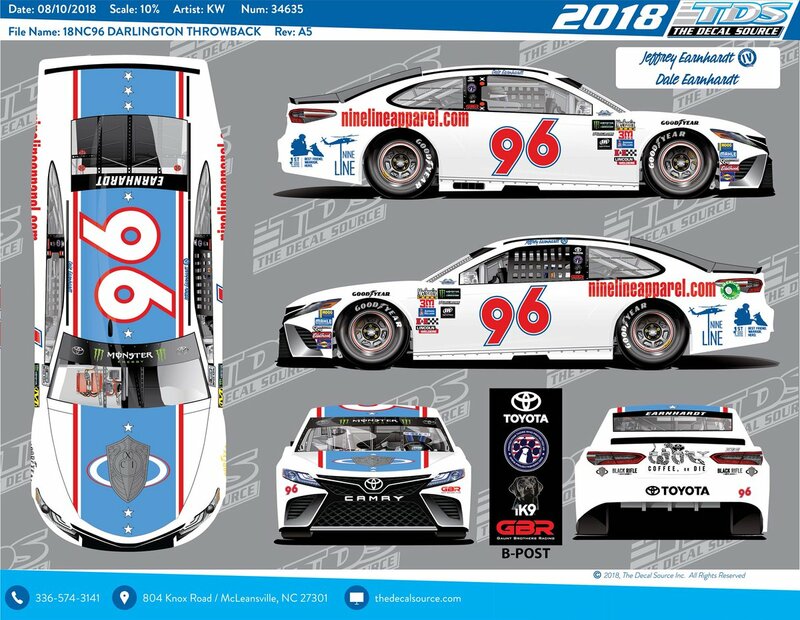 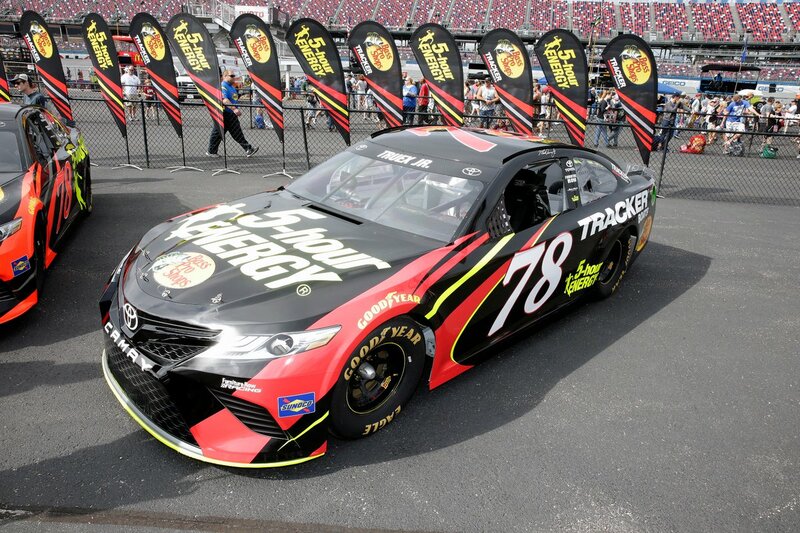 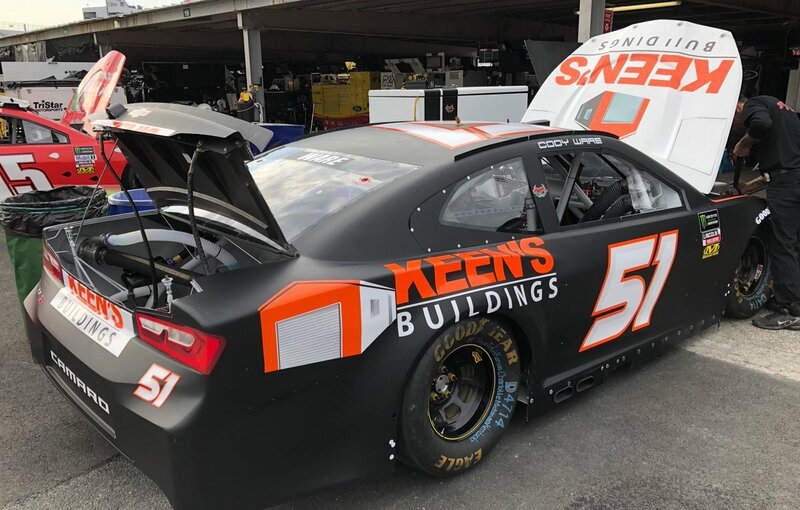 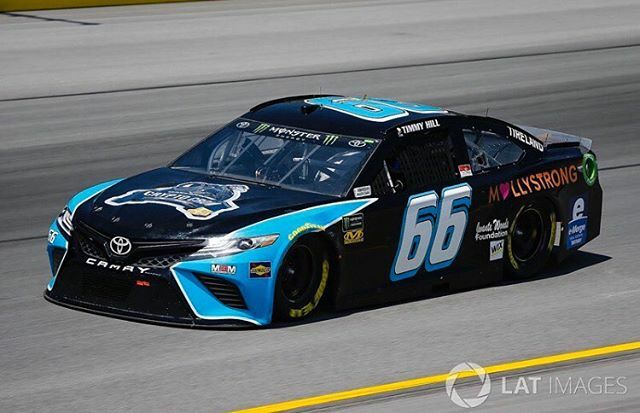 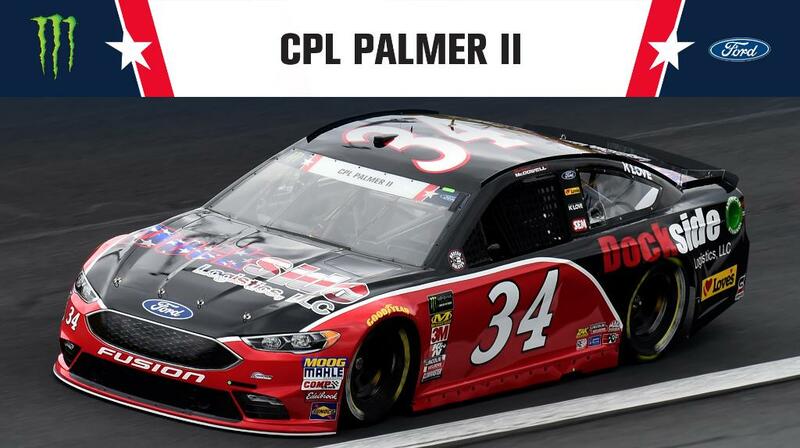 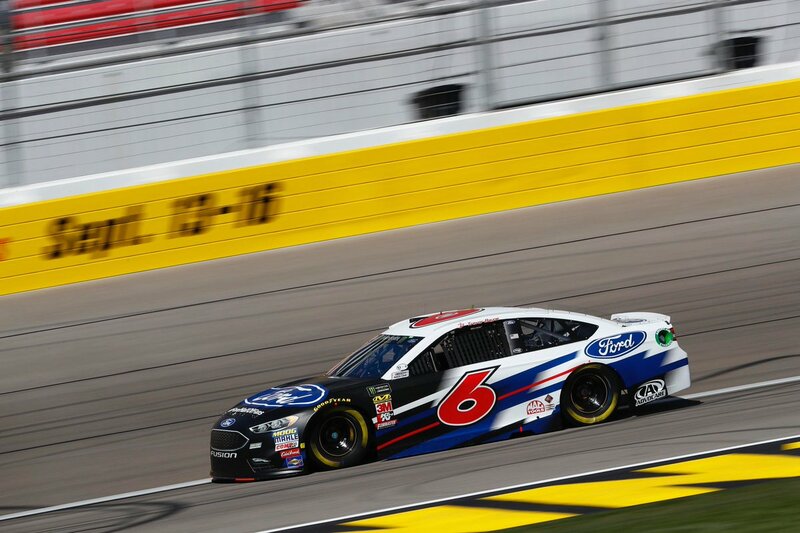 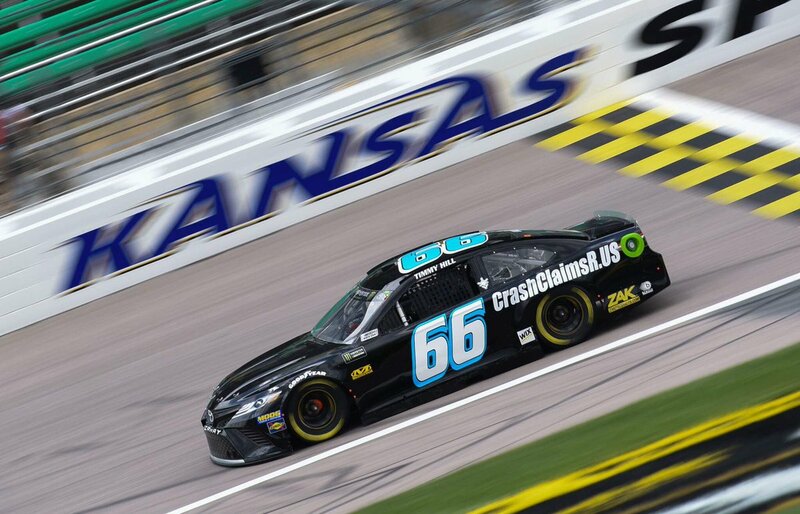 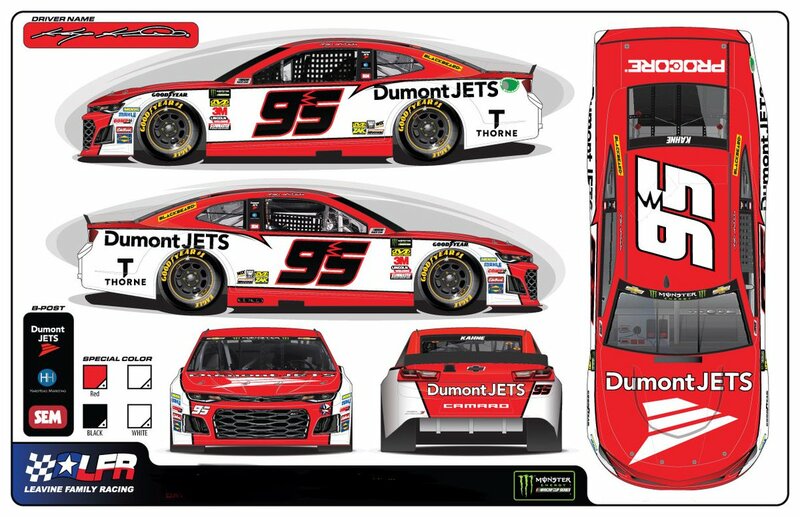 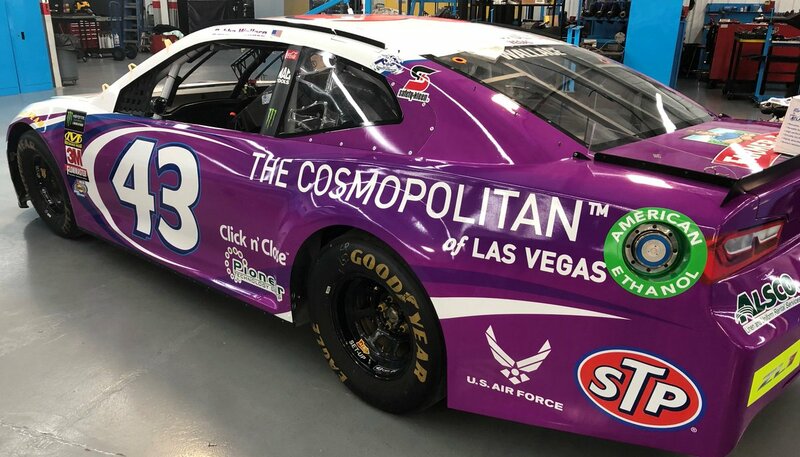 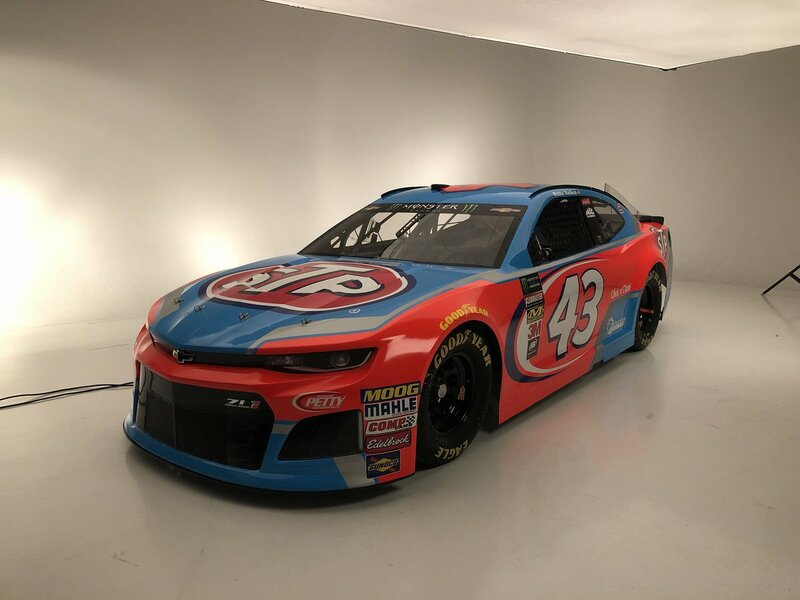 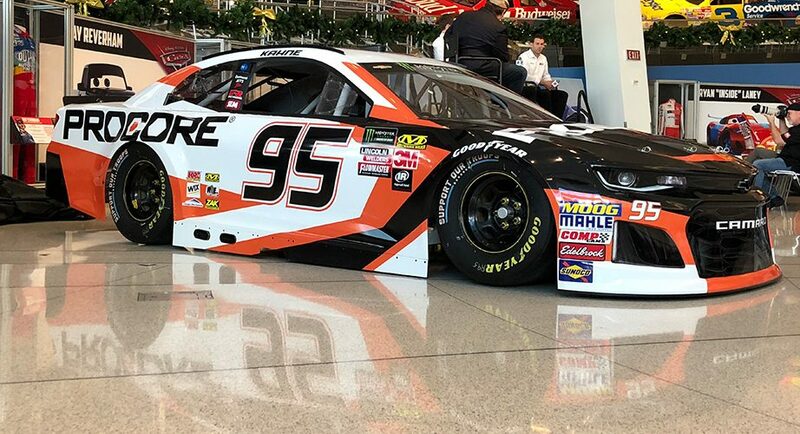 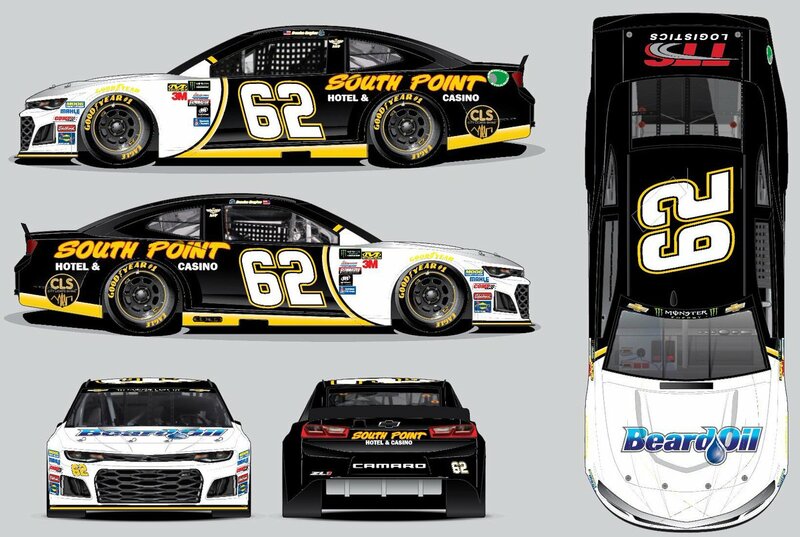 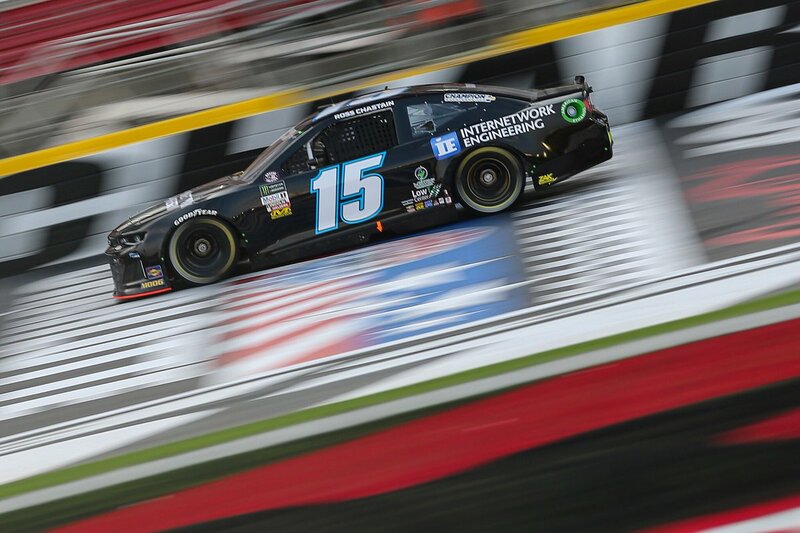 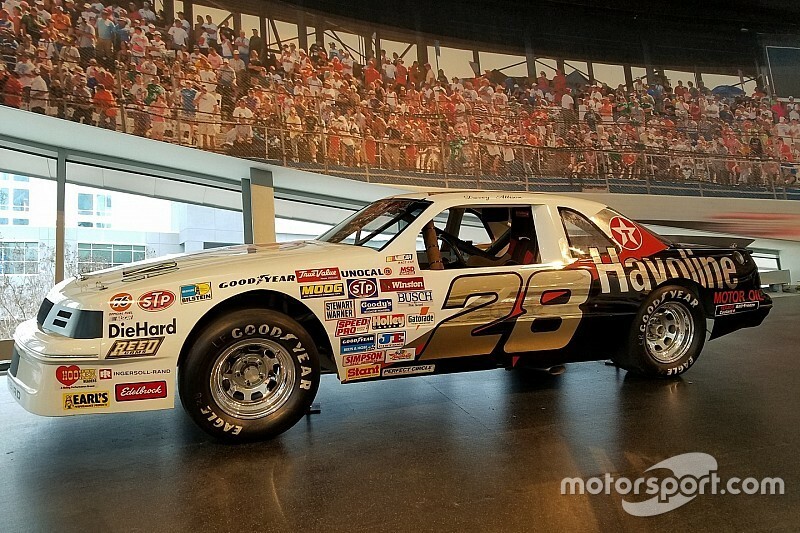 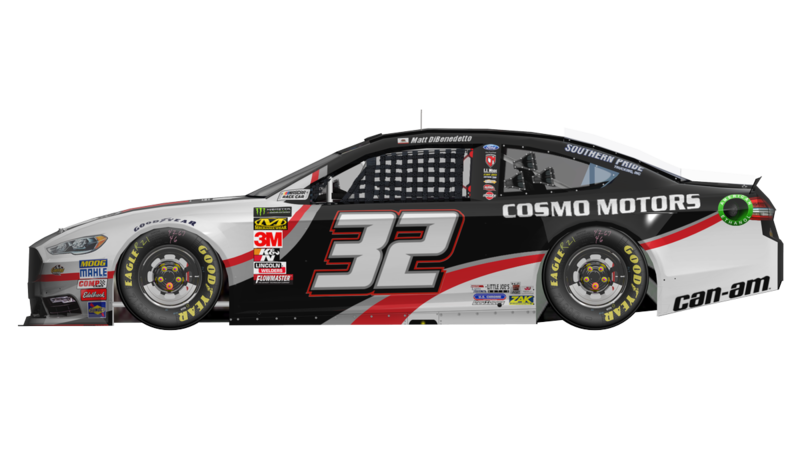 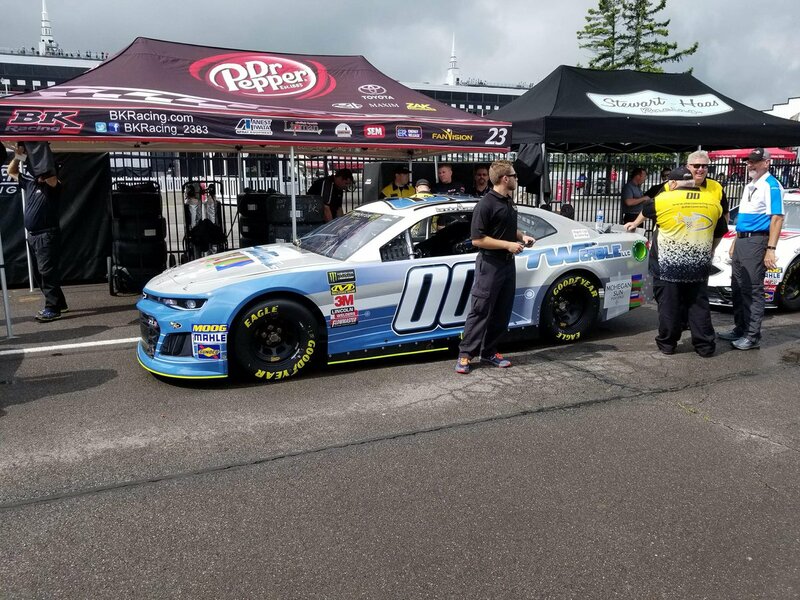 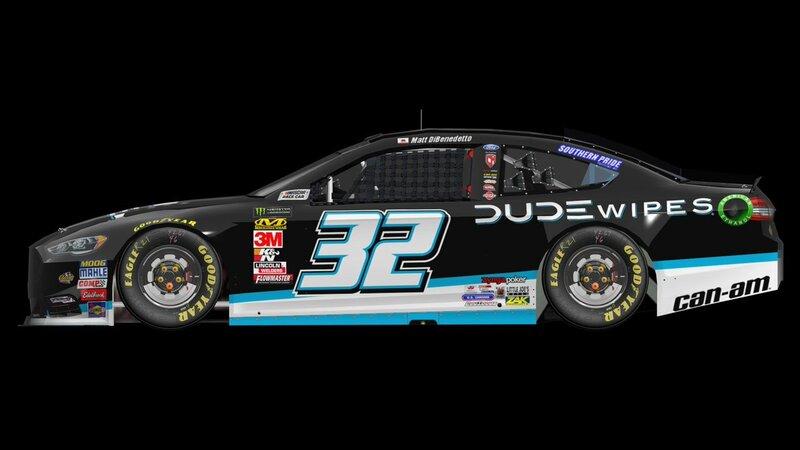 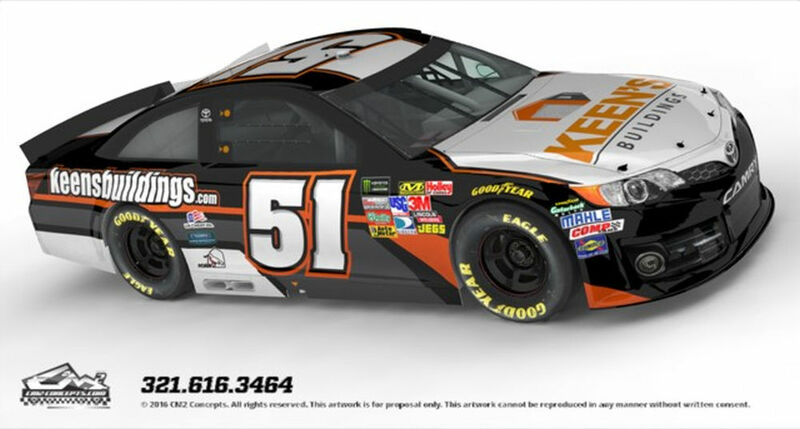 BK Racing was another one of those teams that has raced in the Cup series for many years, and hasn’t had the success that they hoped they would. 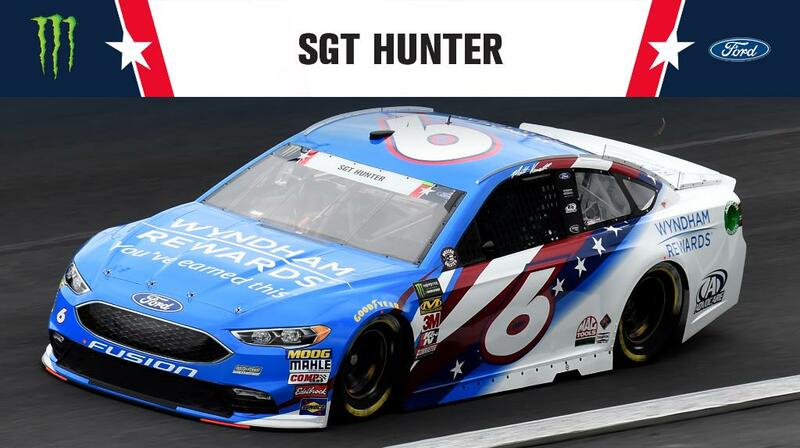 They are also one of those teams that goes out, not with a bang, but with a whimper. 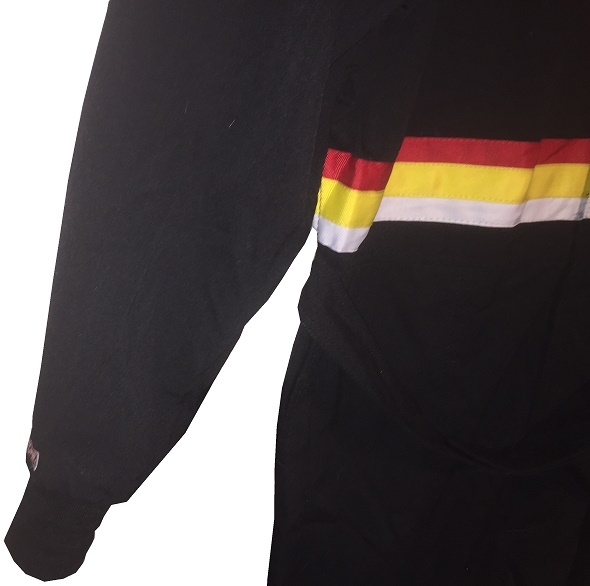 They are going through bankruptcy court as of this writing, and I’m willing to bet they get sold, or go under. 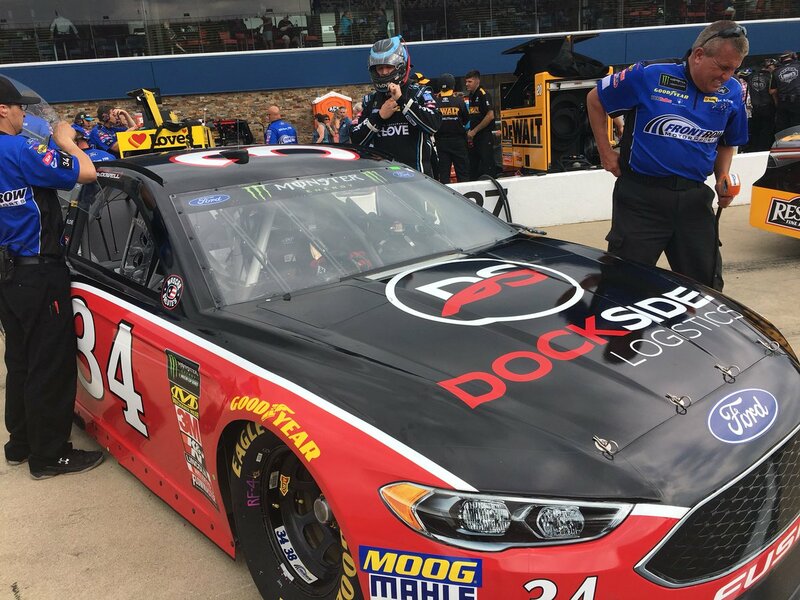 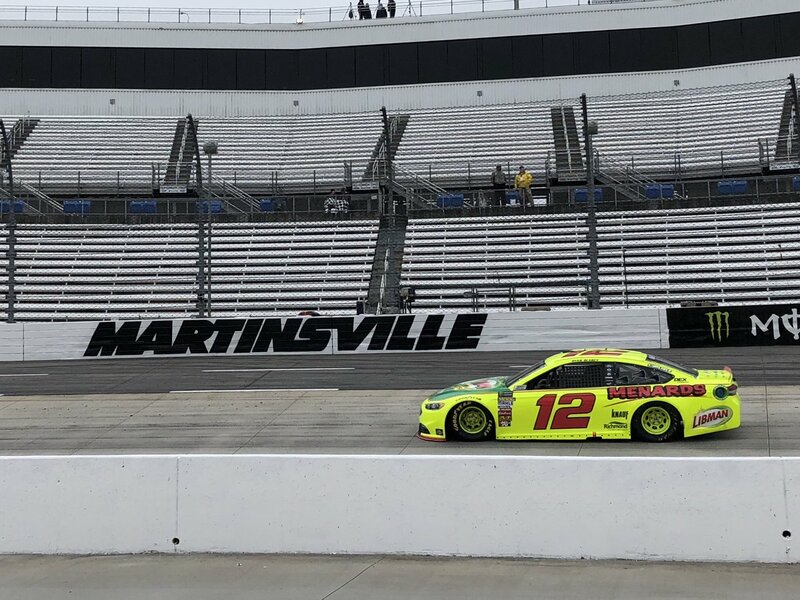 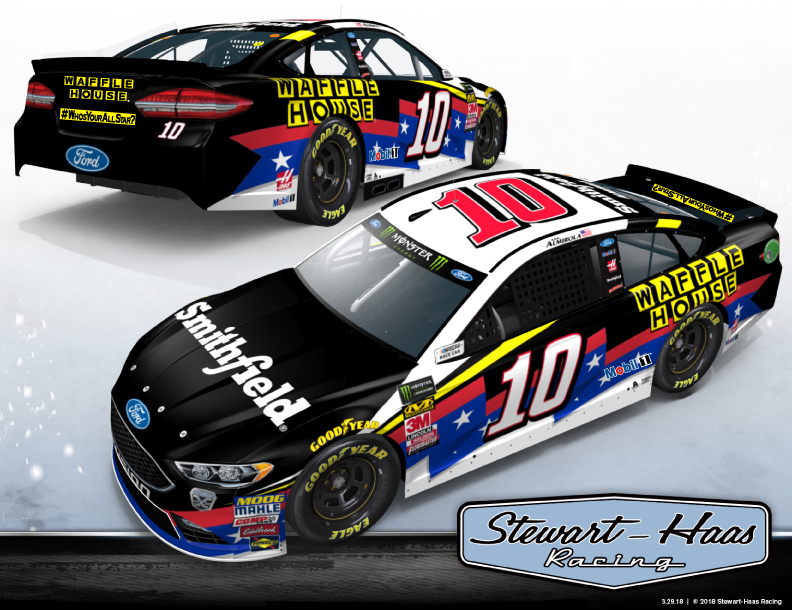 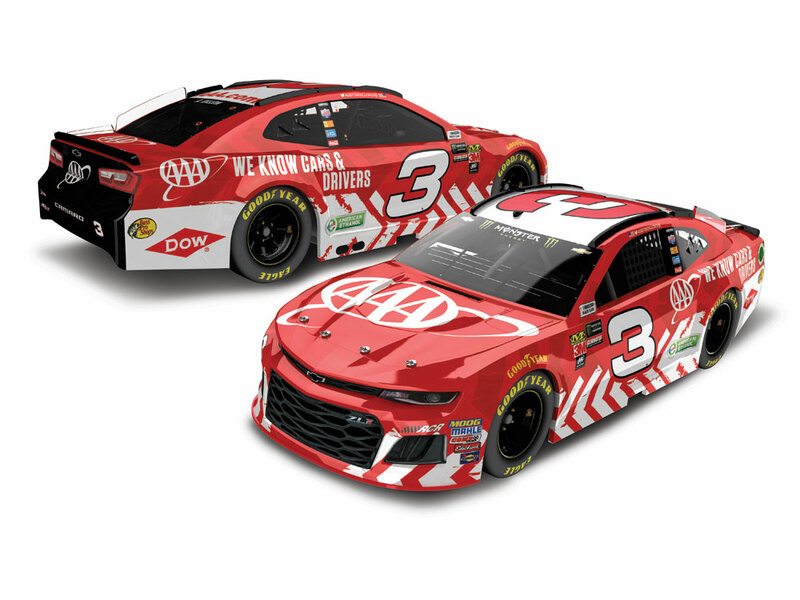 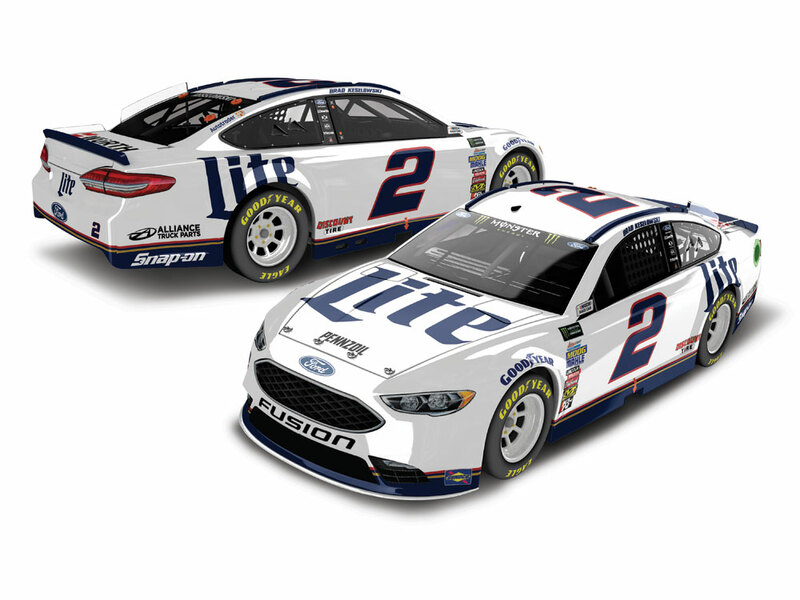 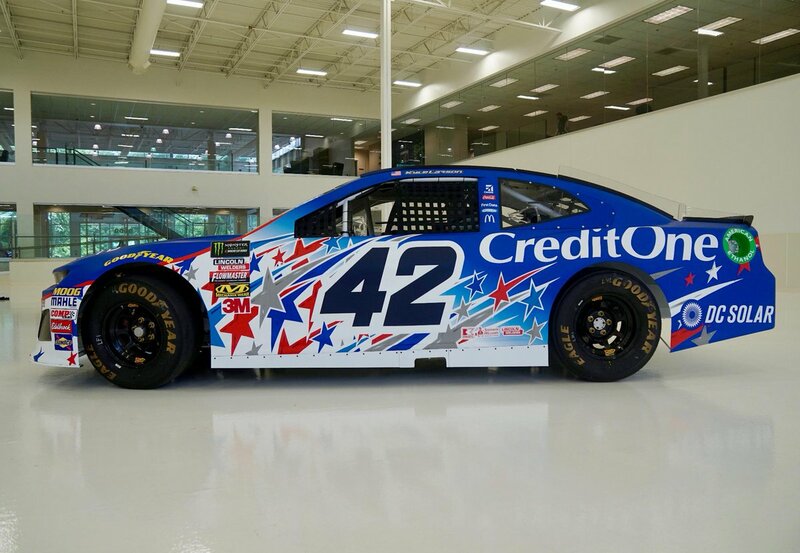 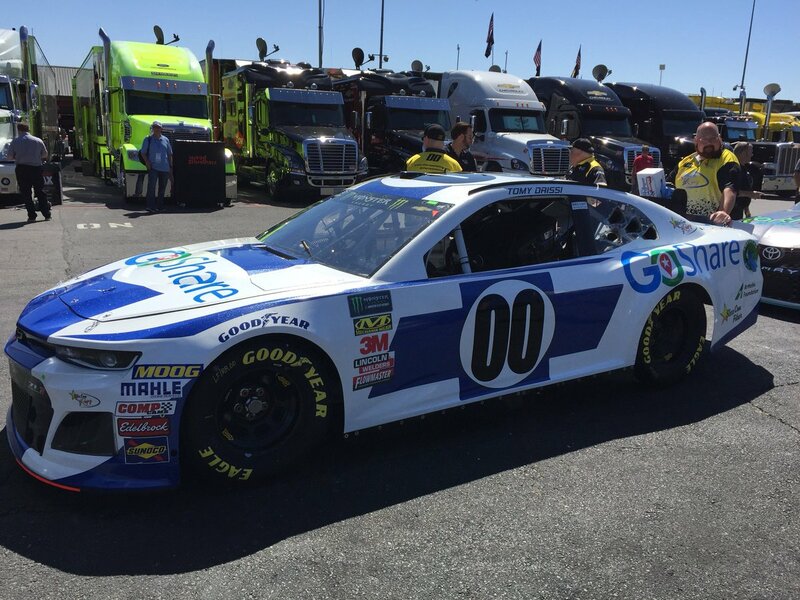 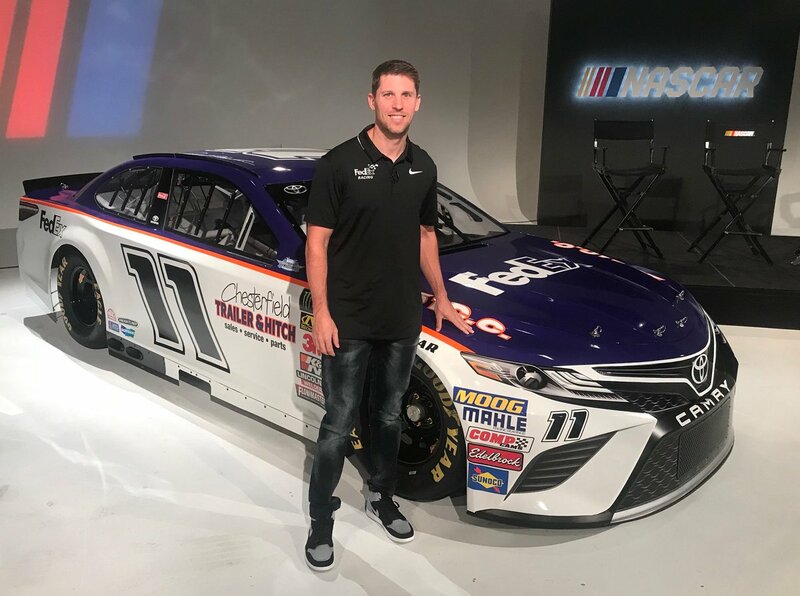 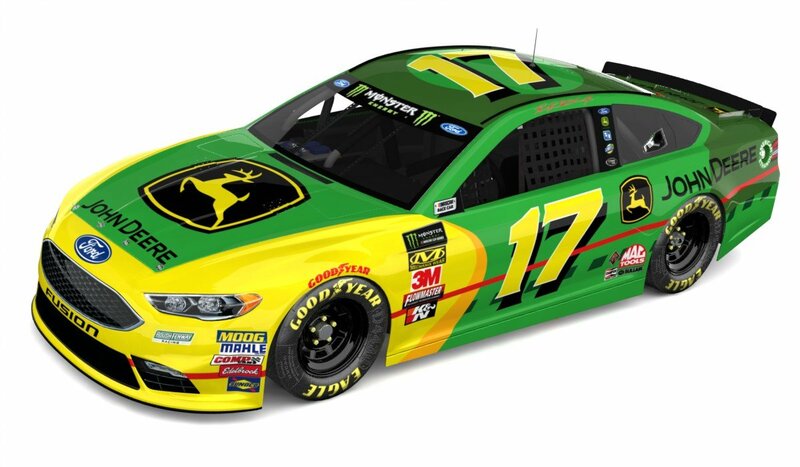 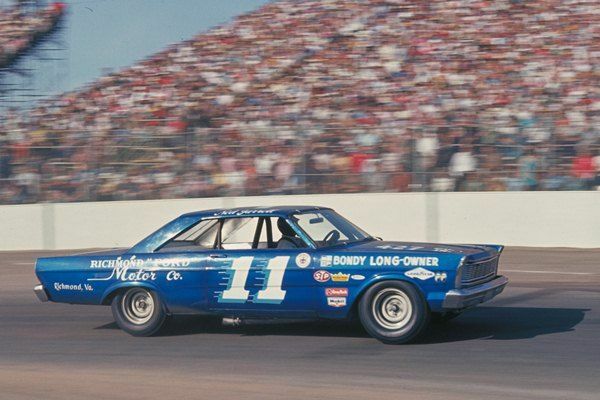 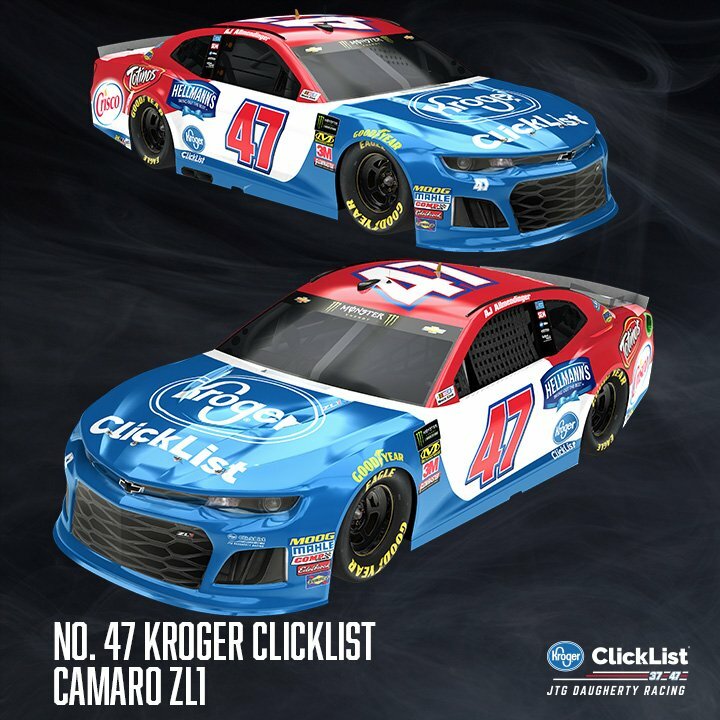 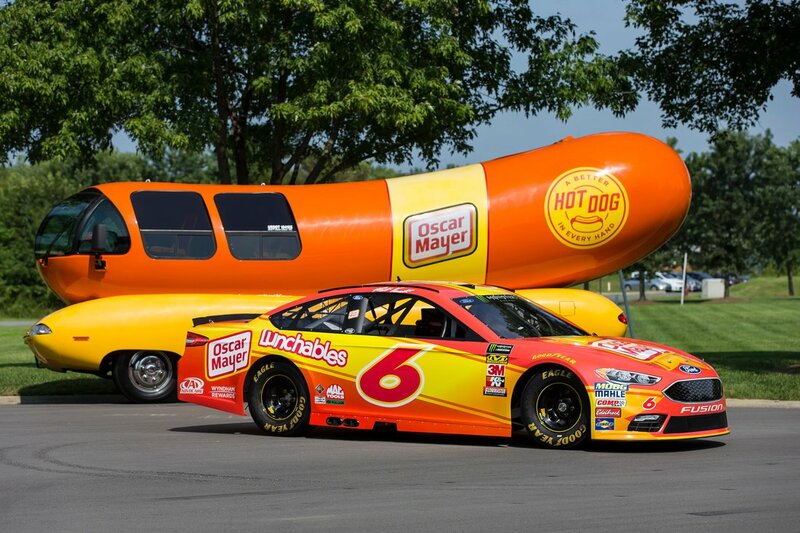 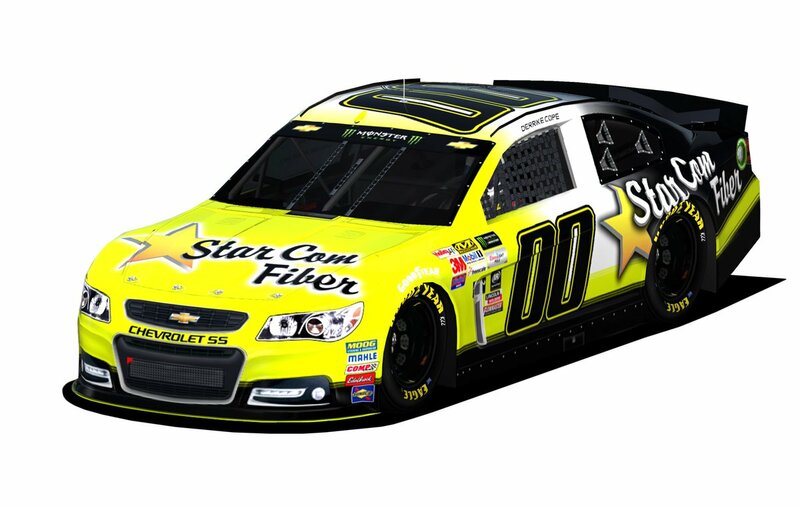 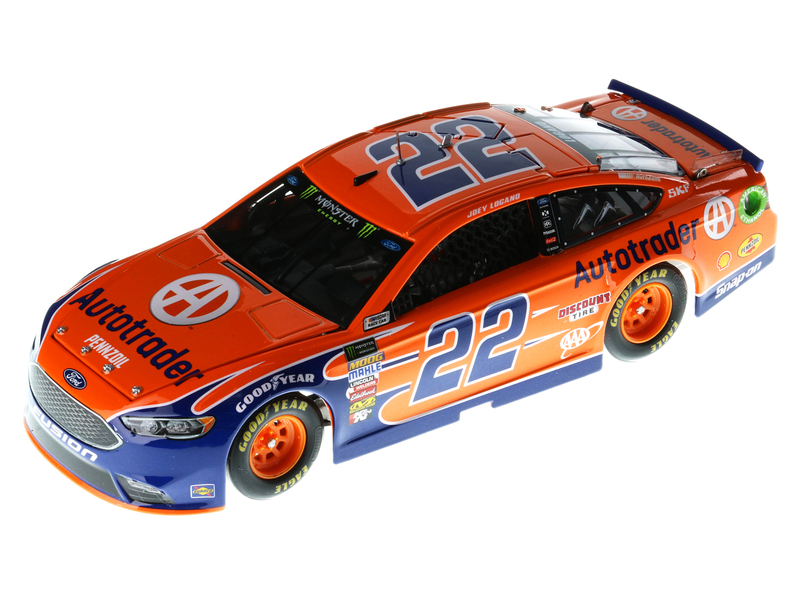 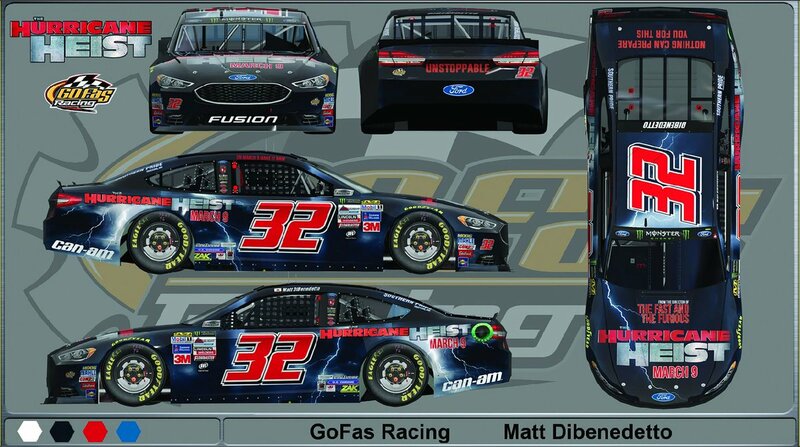 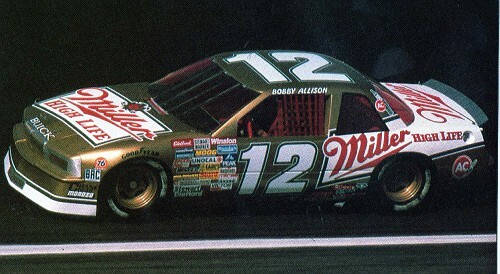 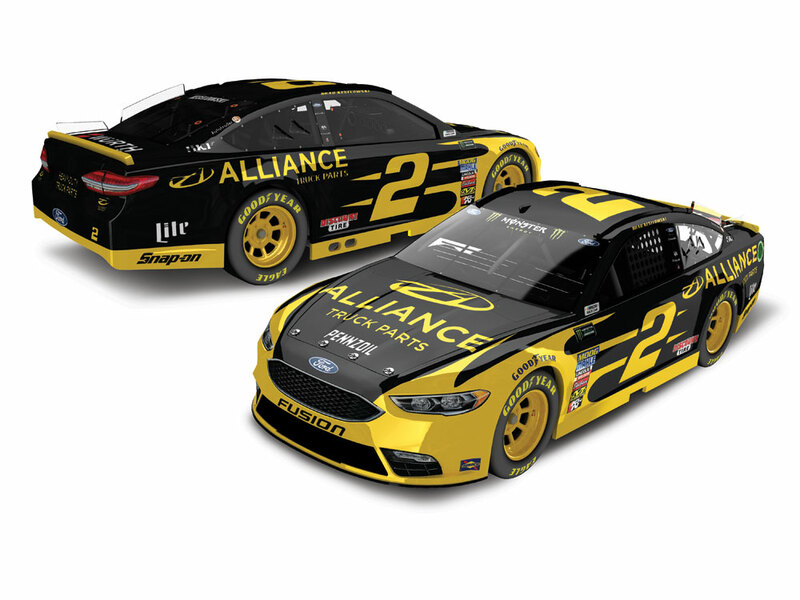 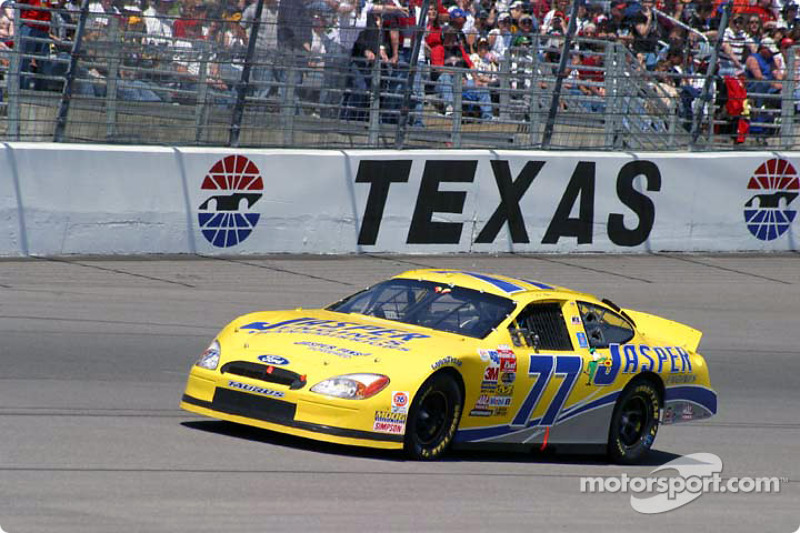 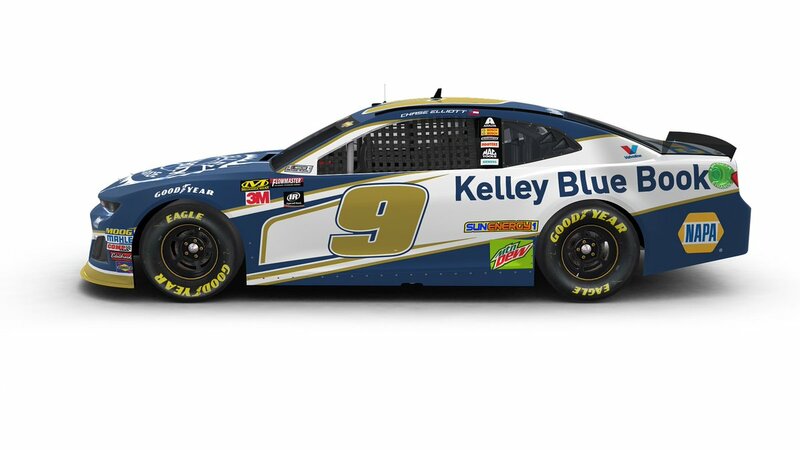 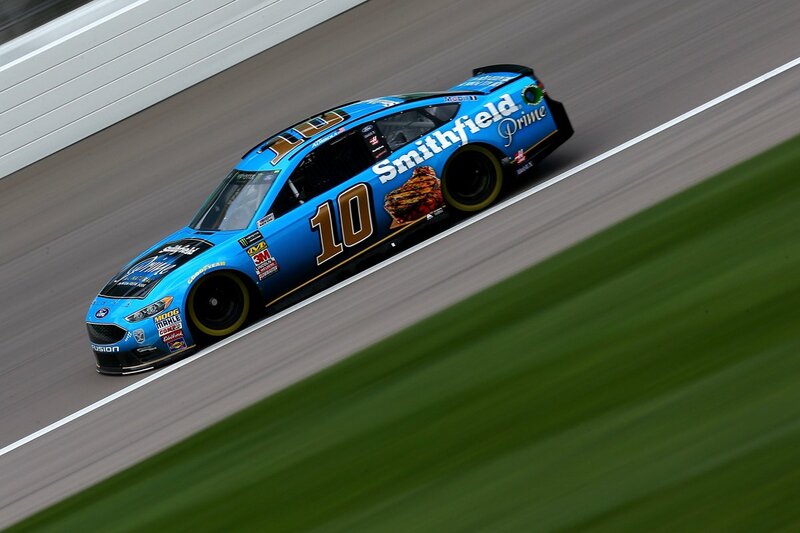 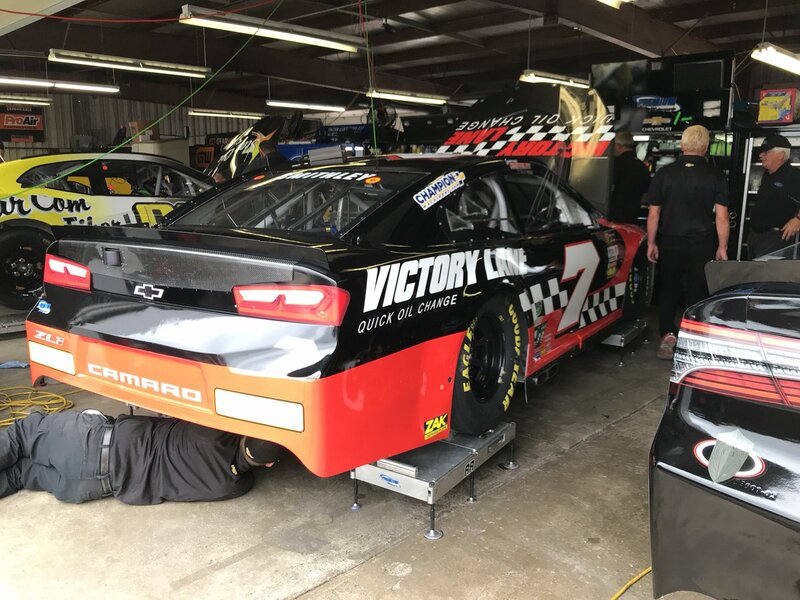 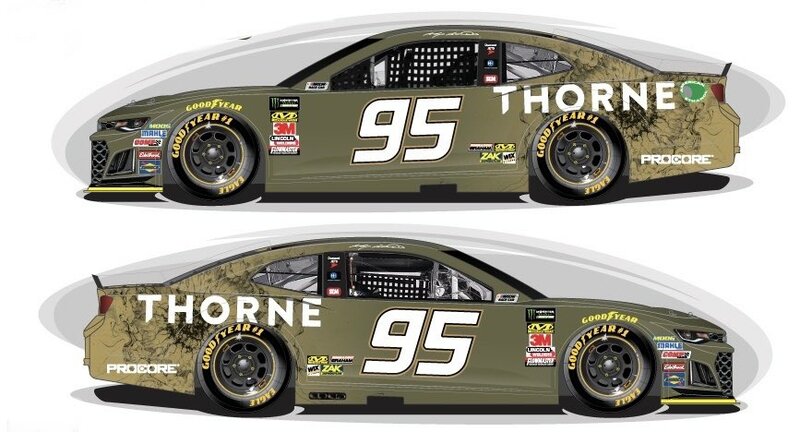 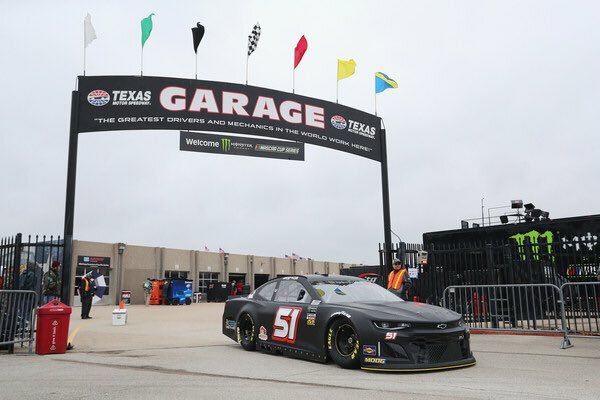 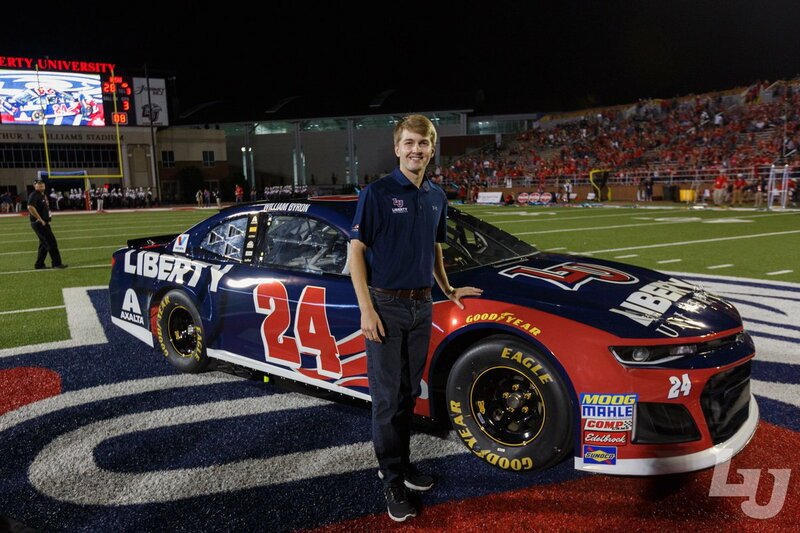 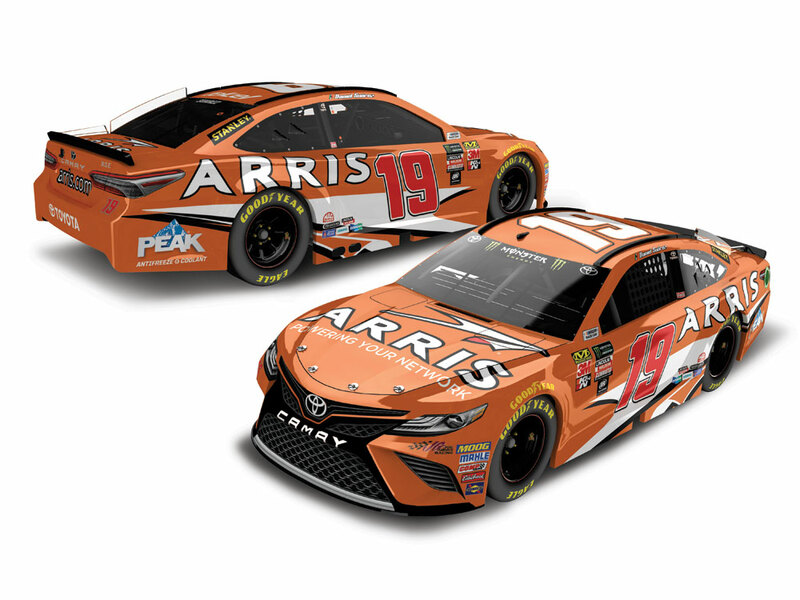 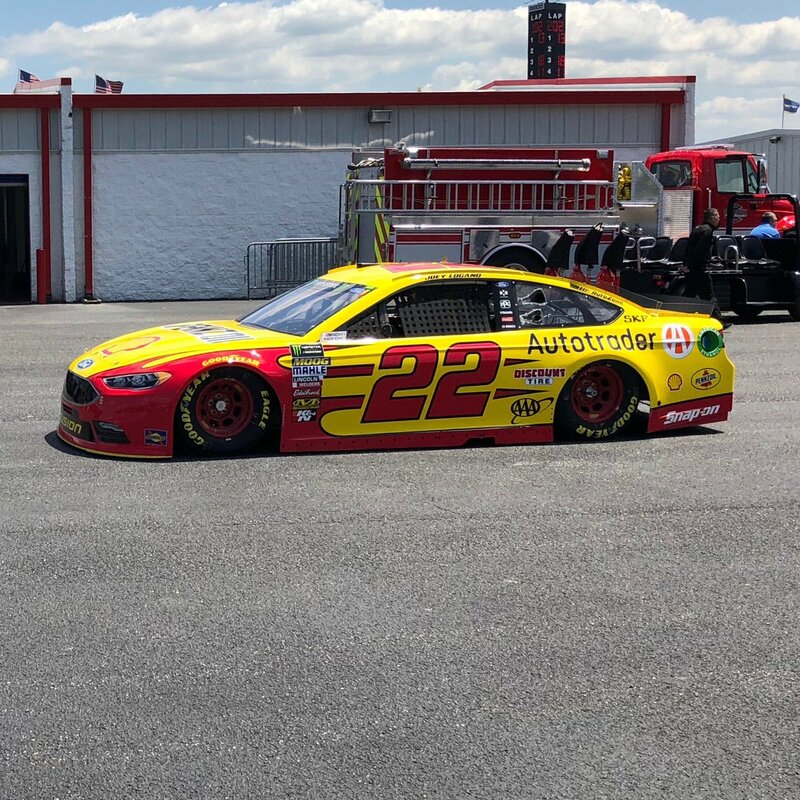 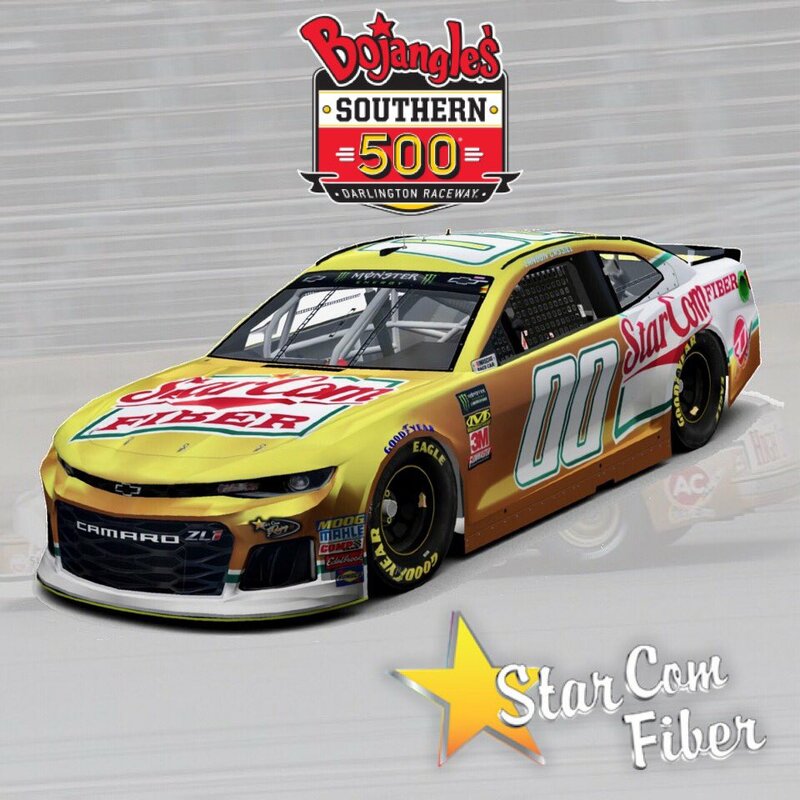 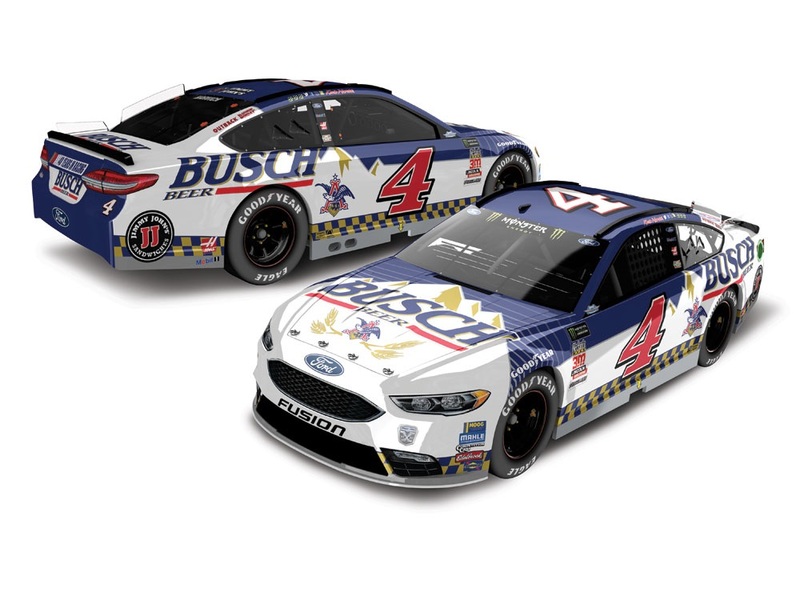 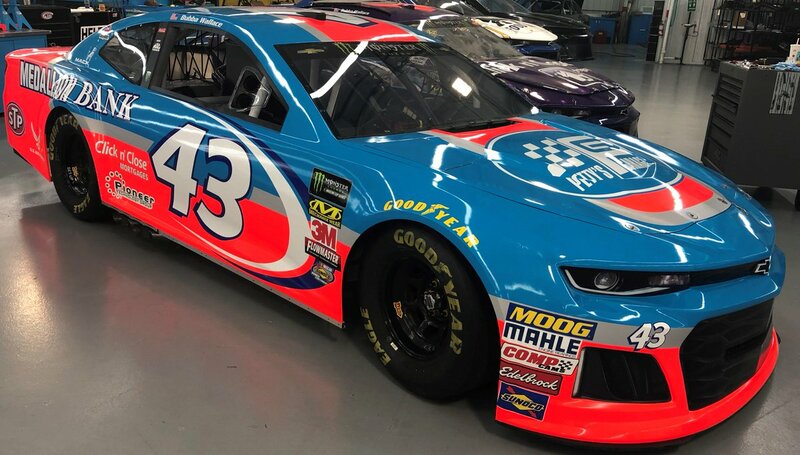 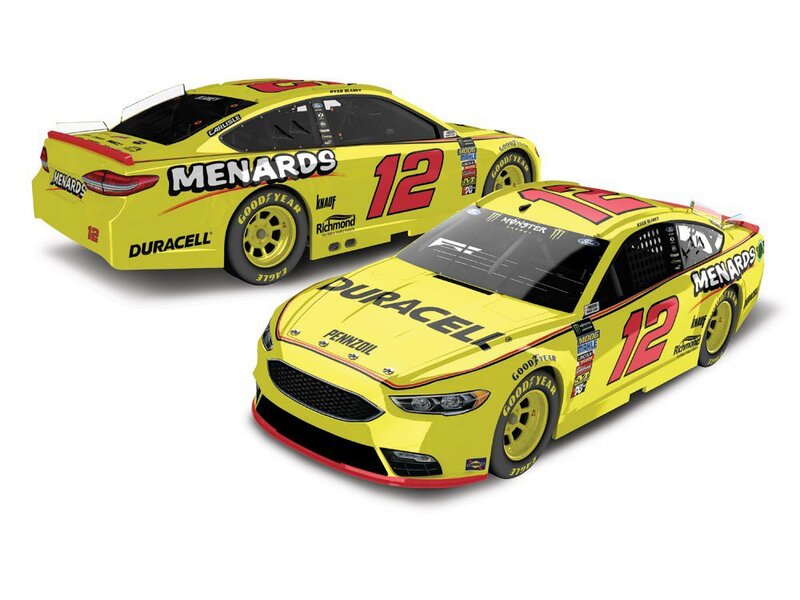 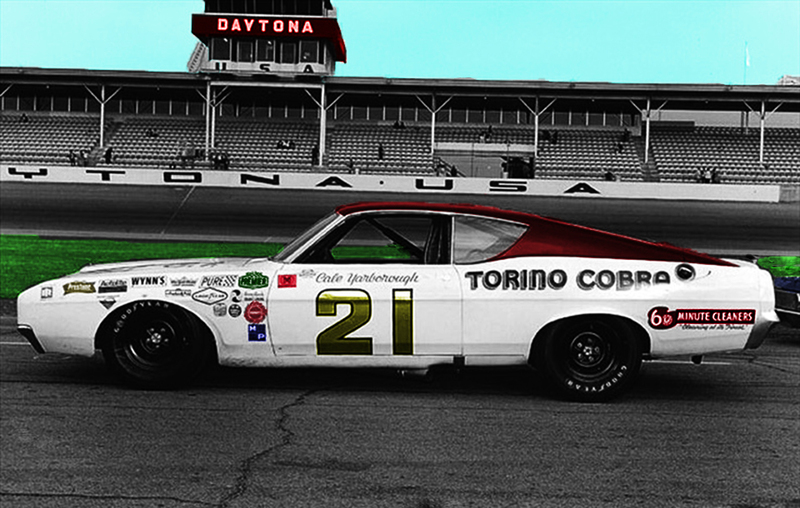 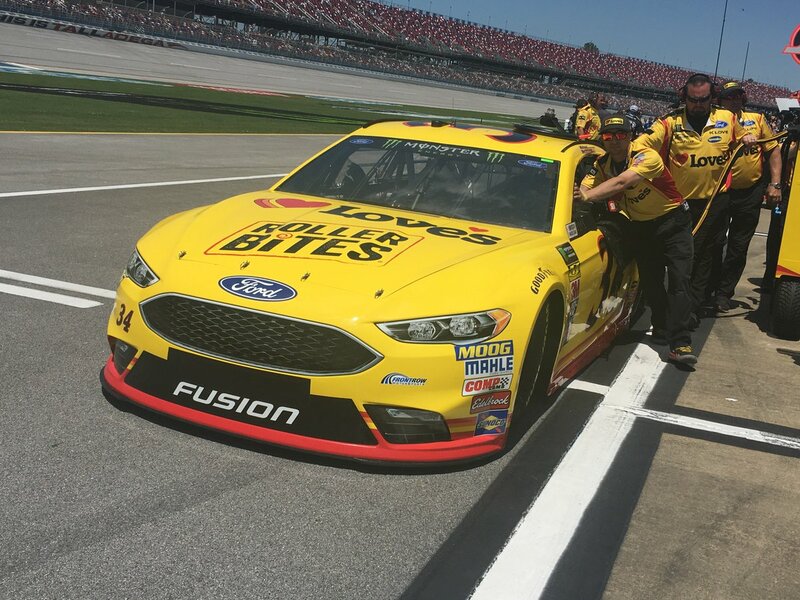 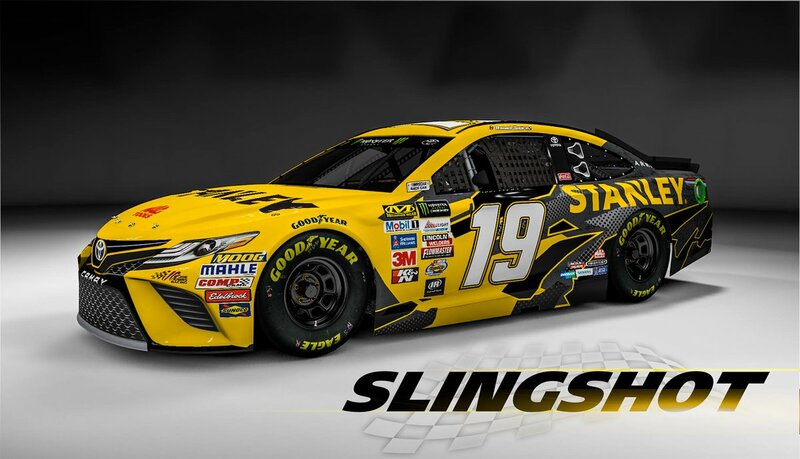 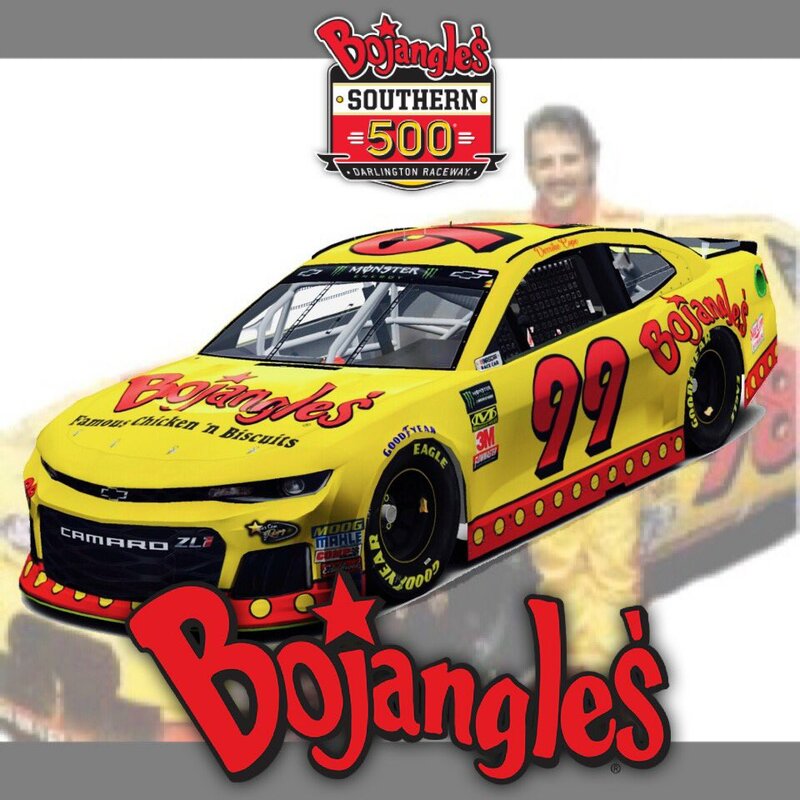 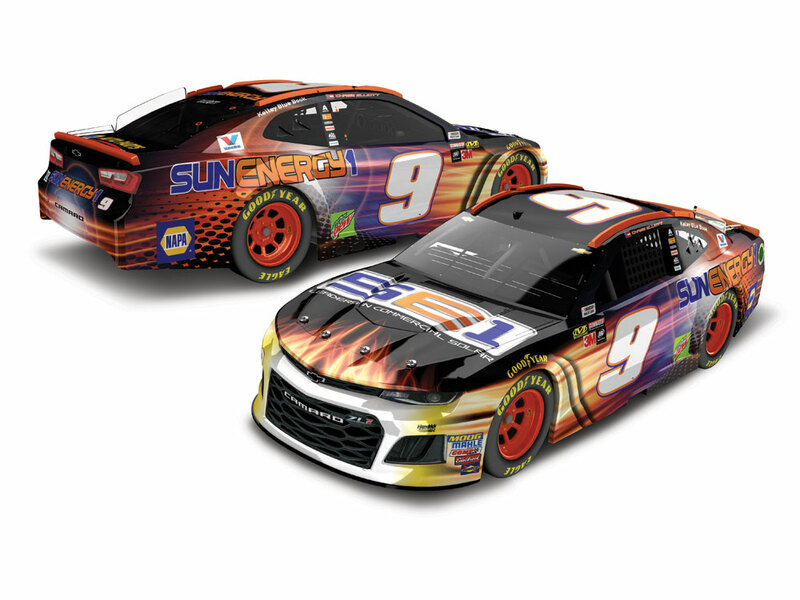 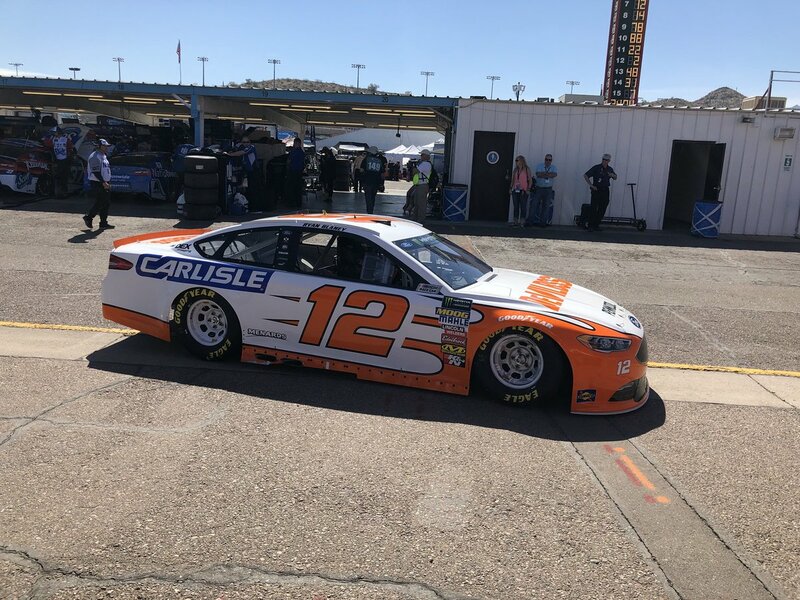 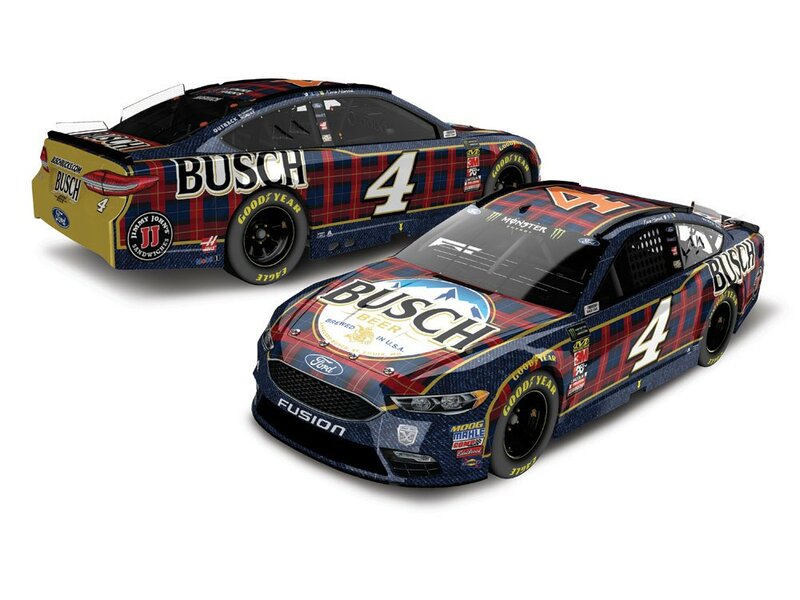 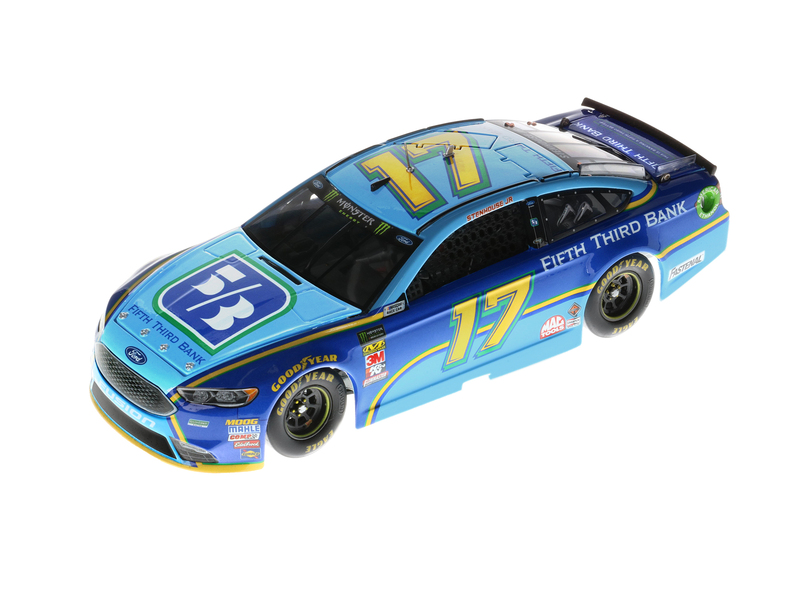 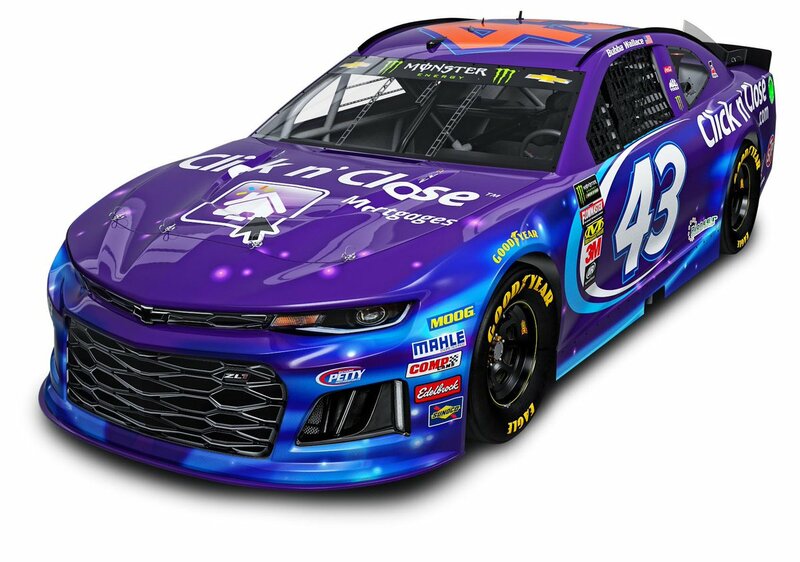 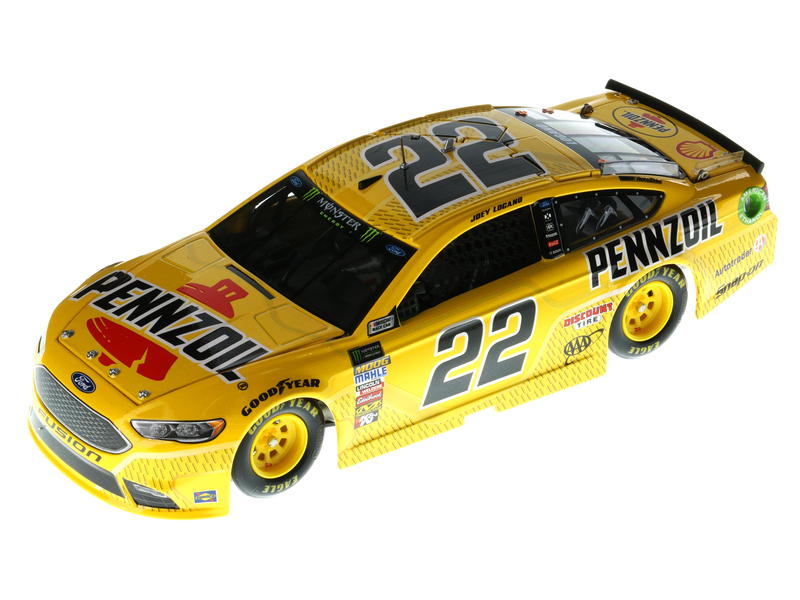 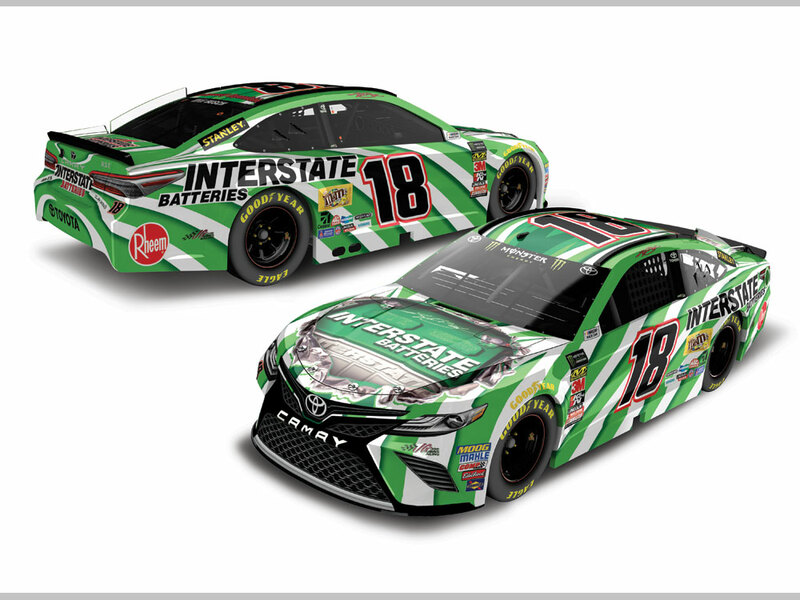 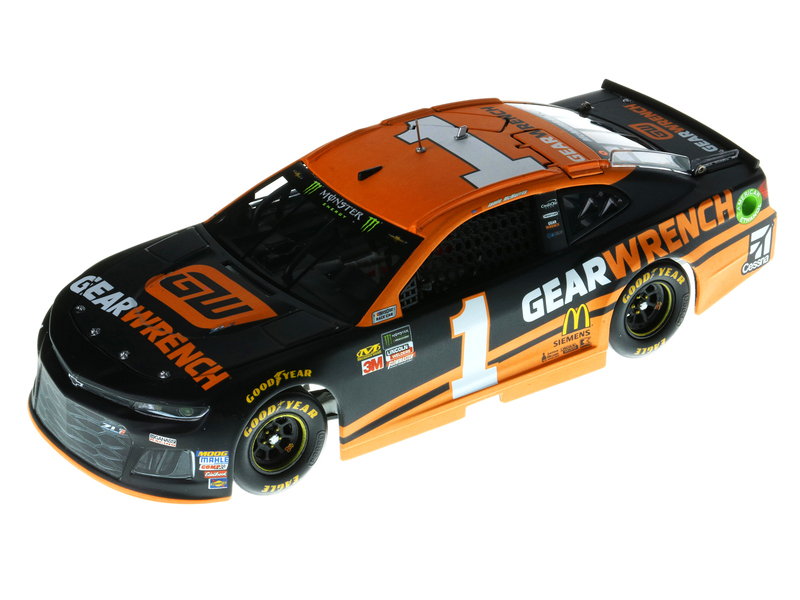 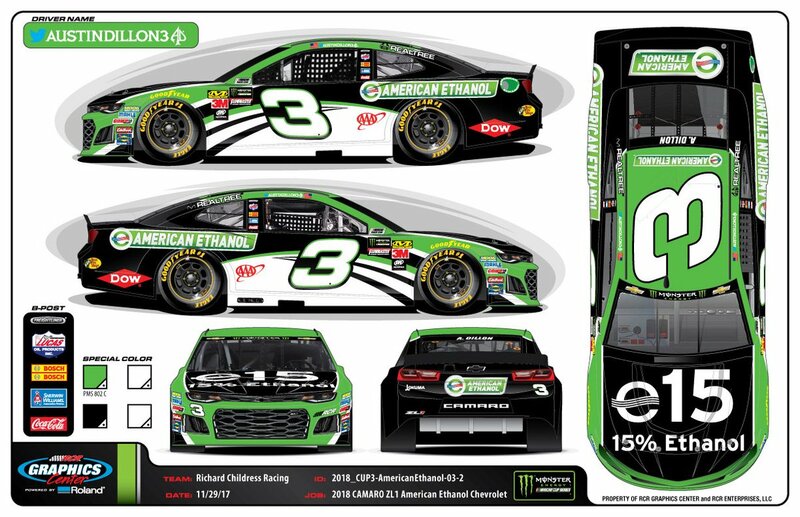 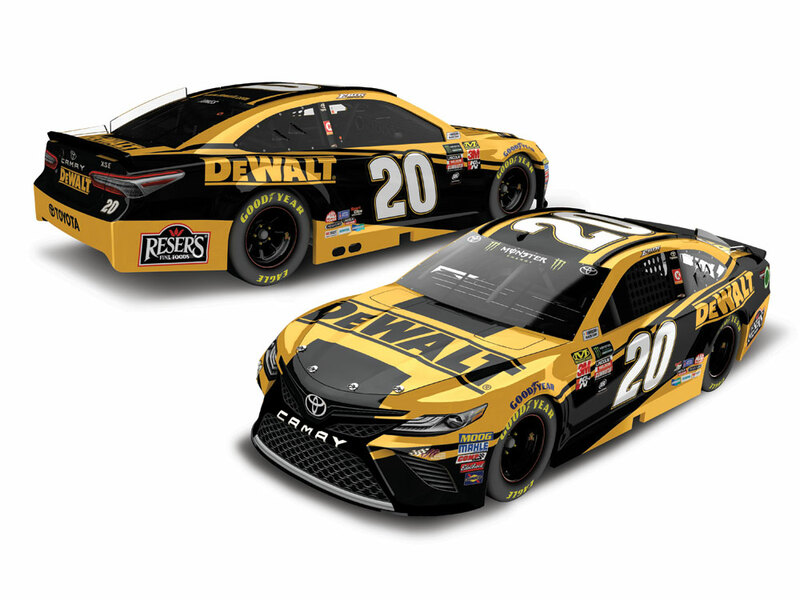 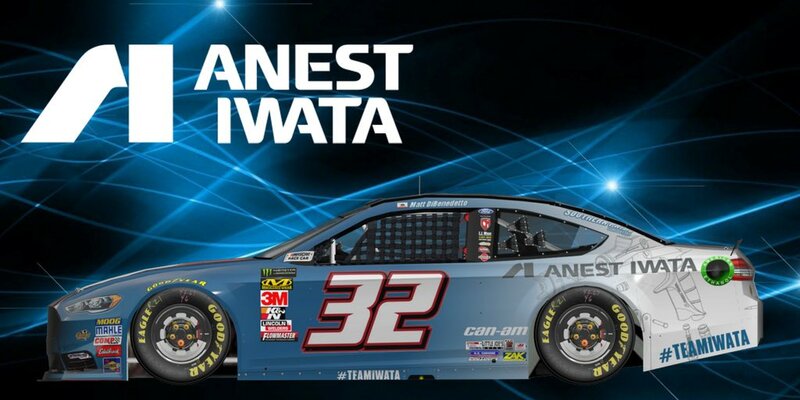 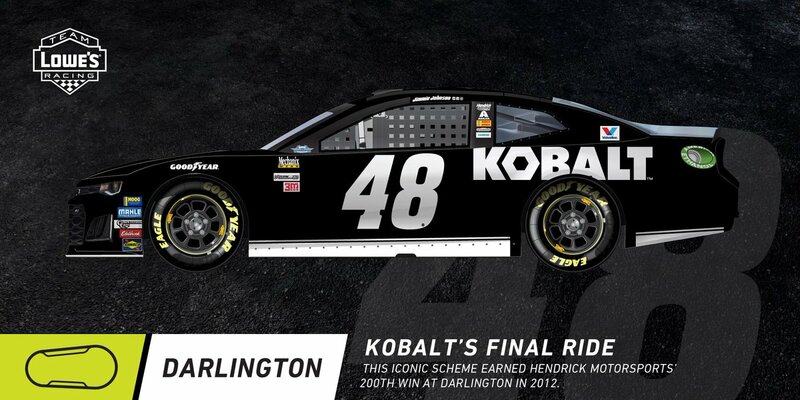 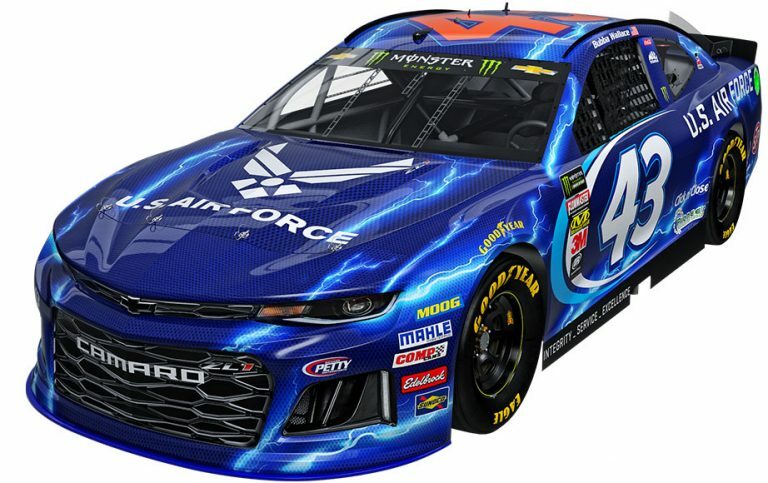 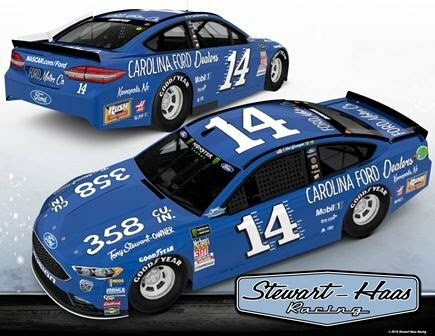 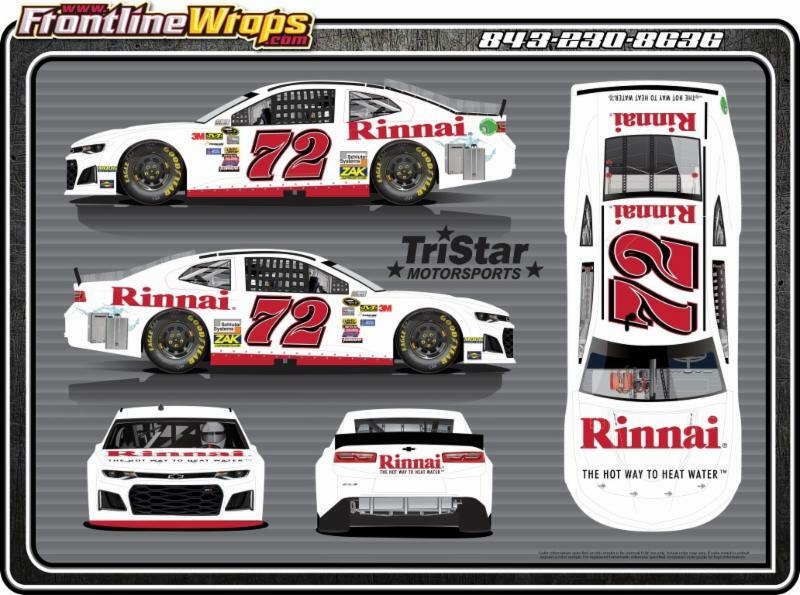 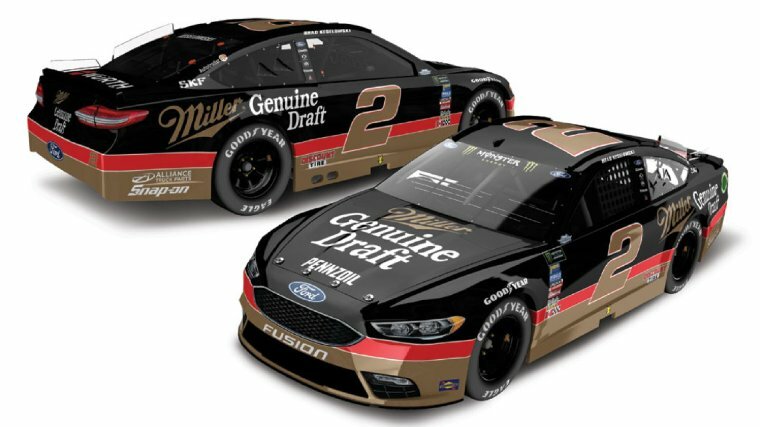 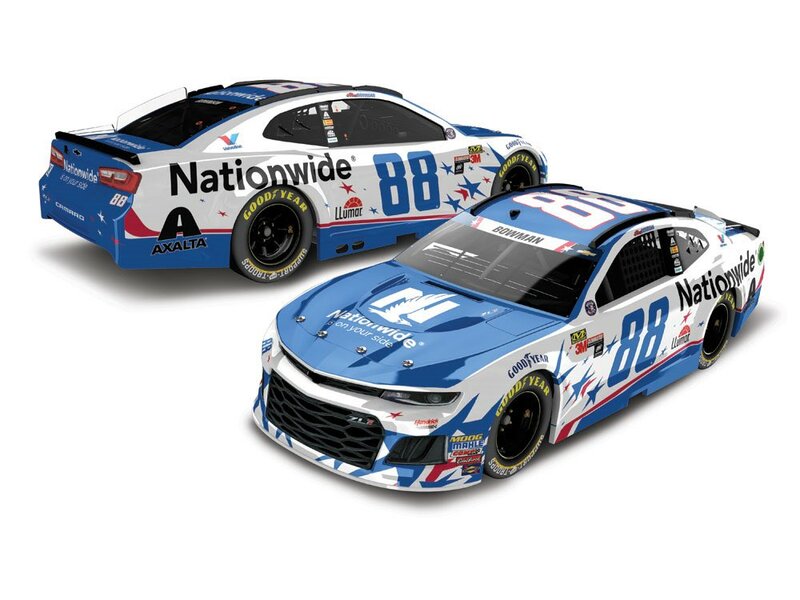 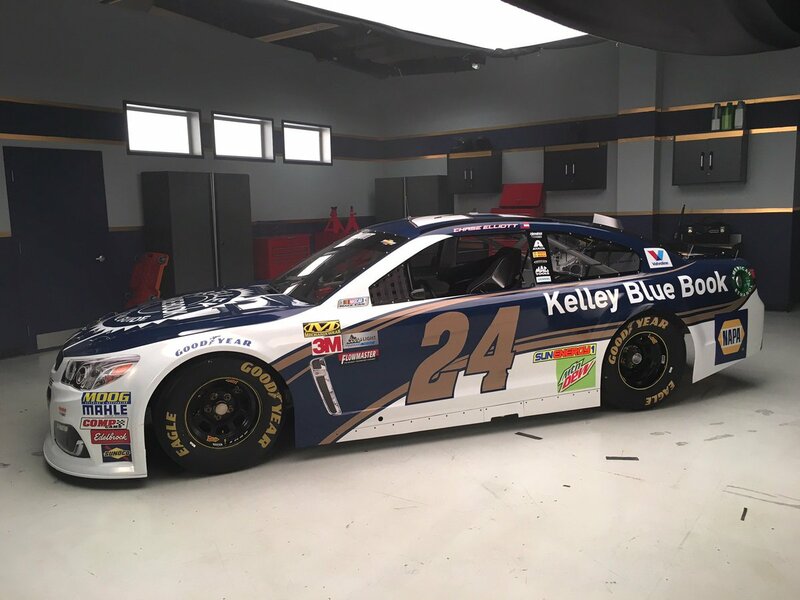 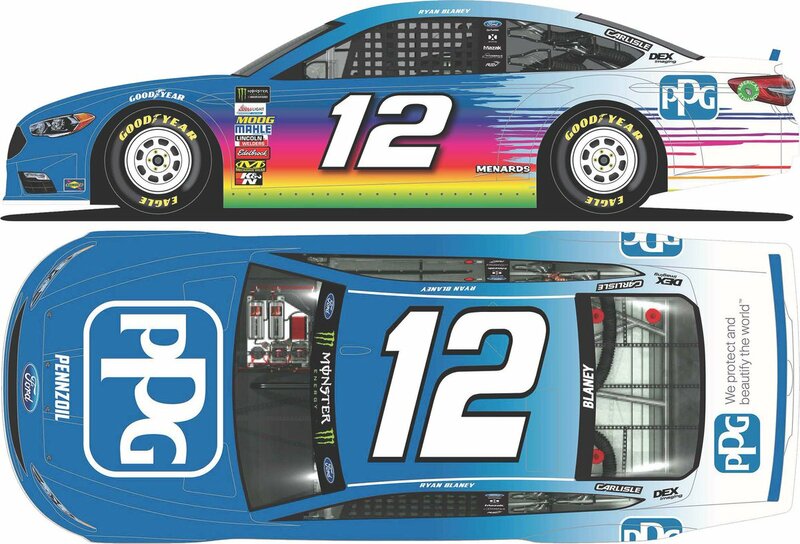 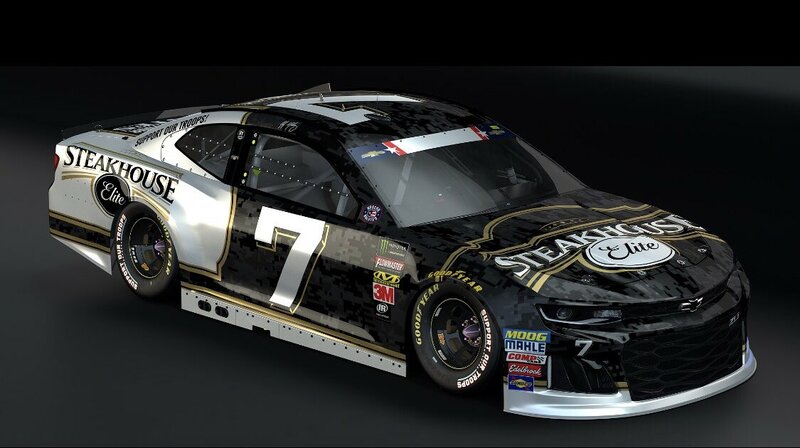 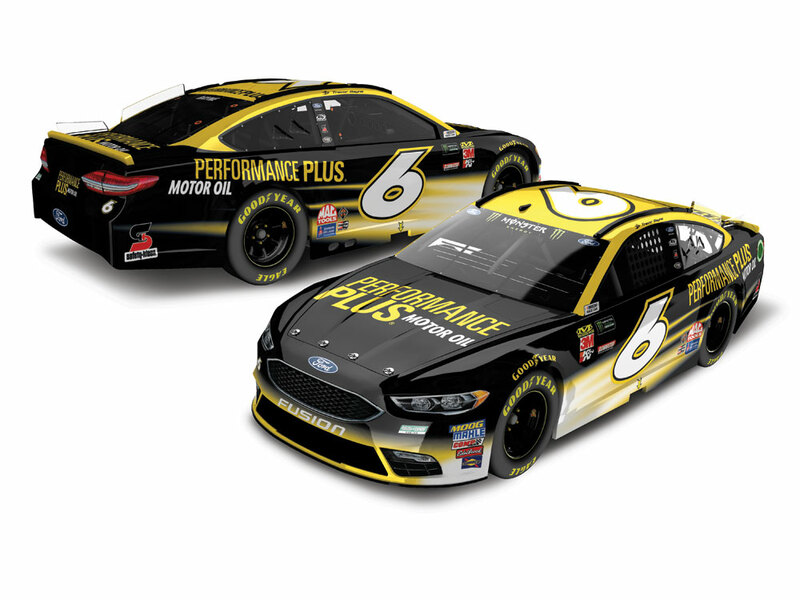 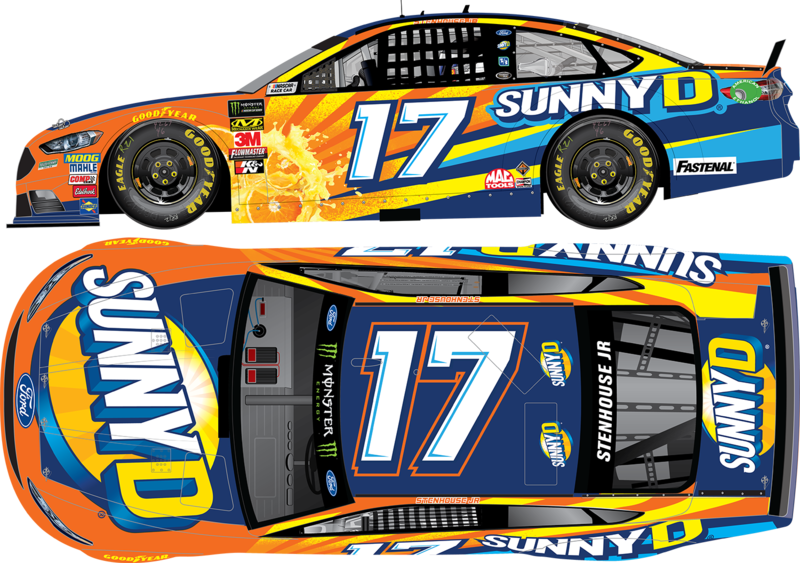 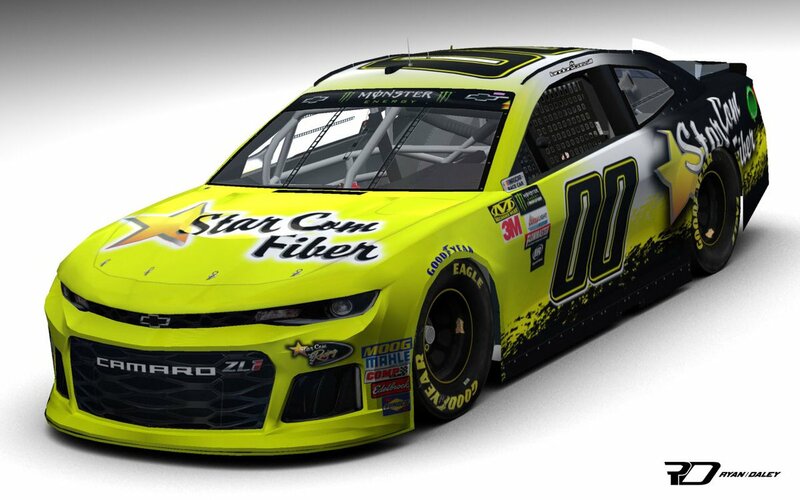 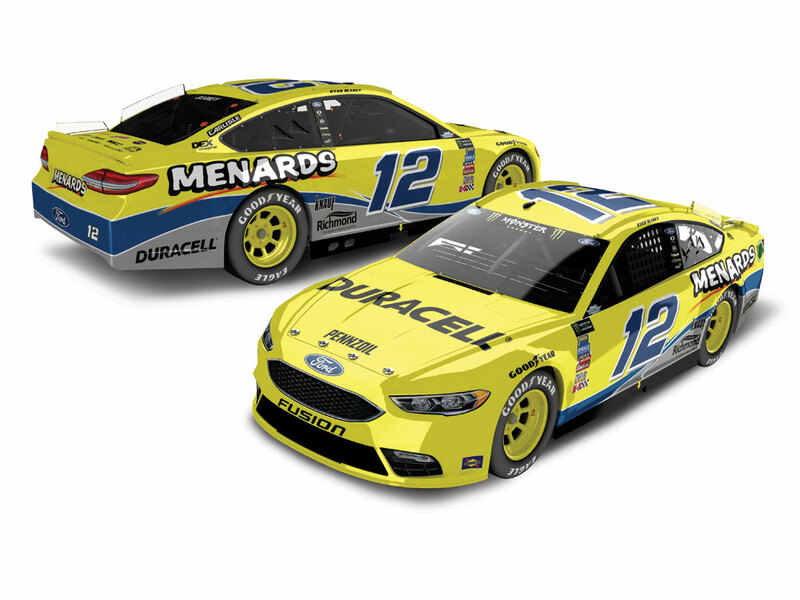 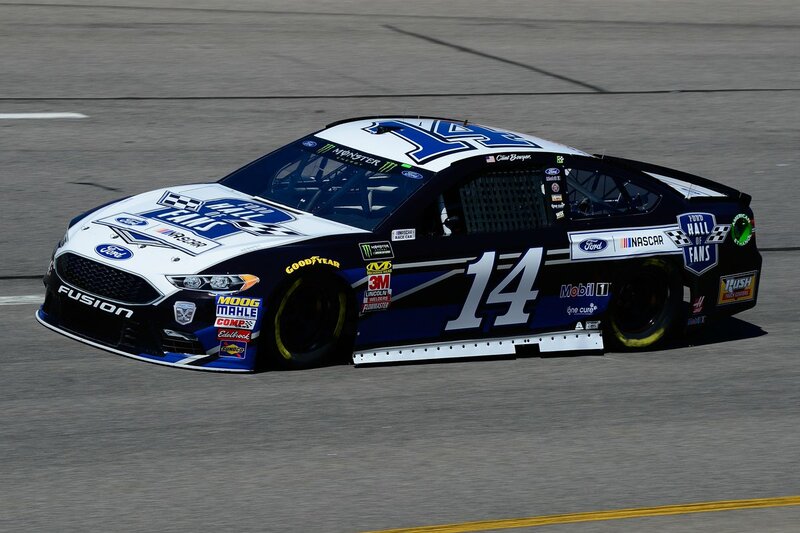 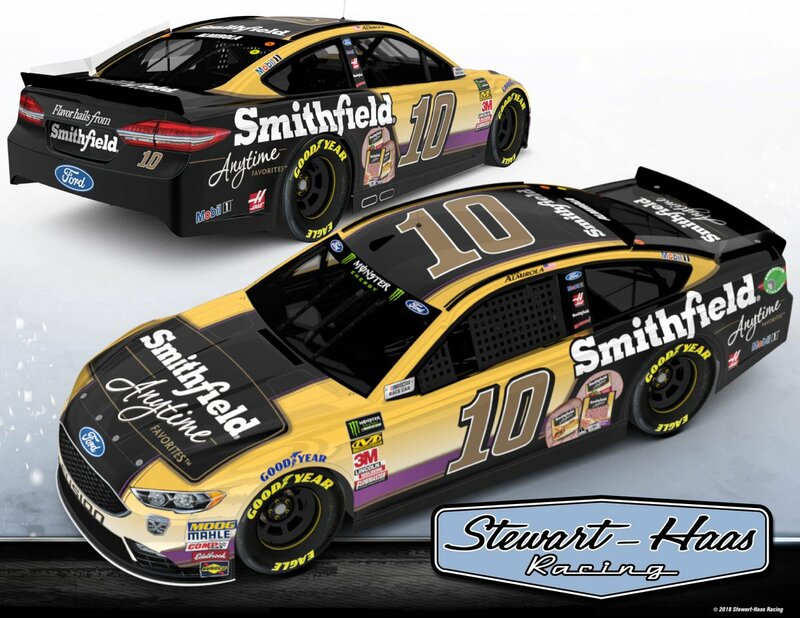 Next week, the rankings of all the Throwback scheme from 2018! 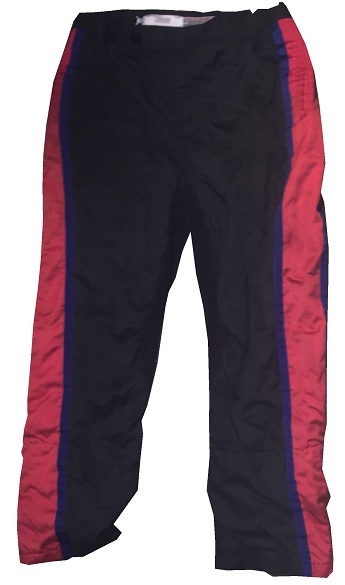 Martini makes another appearance, this time on this 1977 Porsche 936/77. 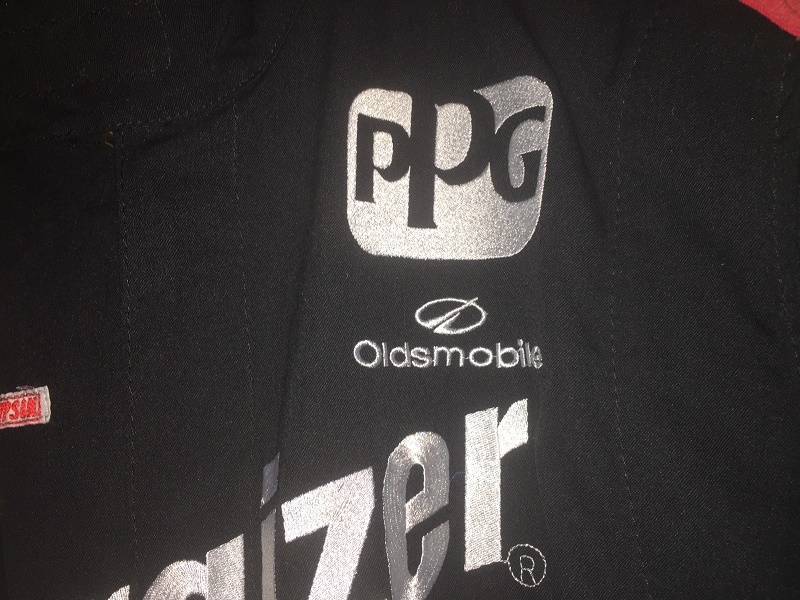 The Porsche 936/77 is a great looking car, but the air intake is a bit too big. 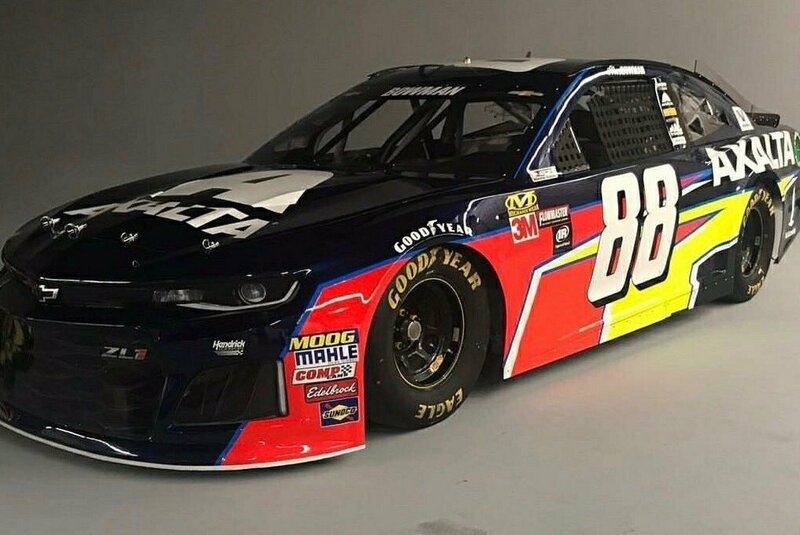 Martini’s look on this car can be summed up in one word:Perfect. 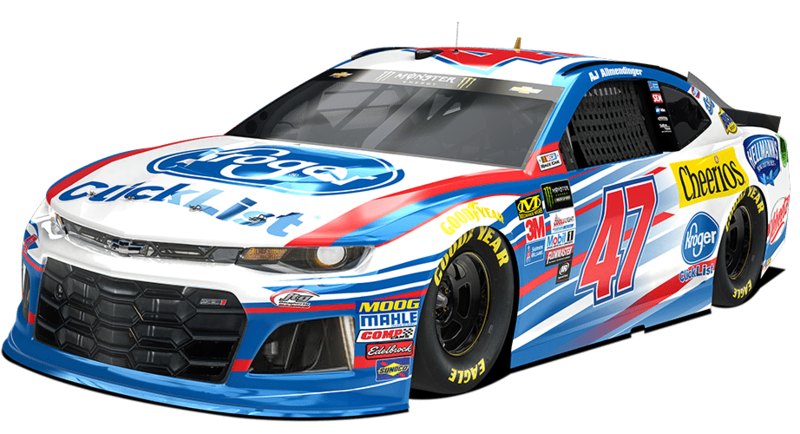 The bright white works well, and the blue and red stripes work well too. 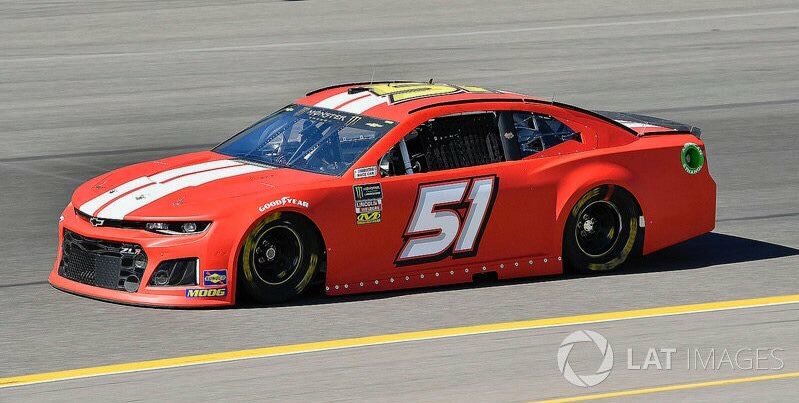 Giving this car anything less than an A is unfair! 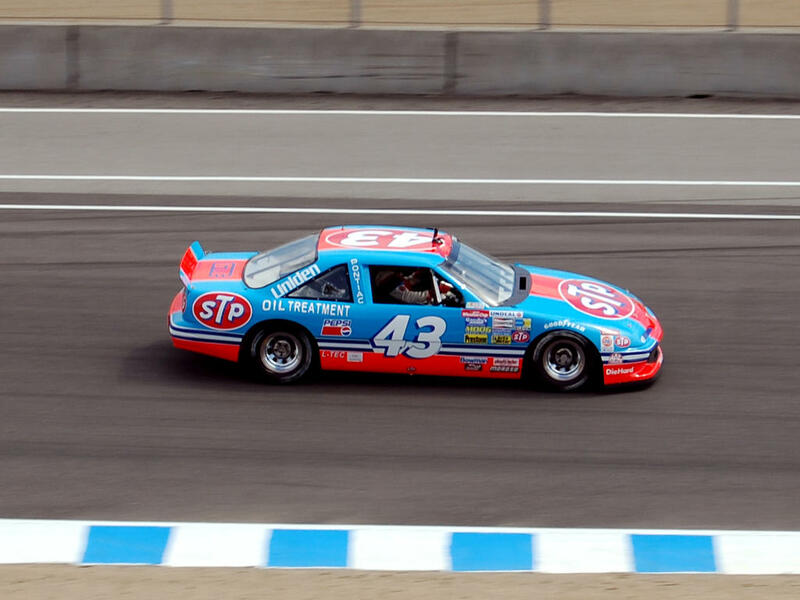 The Renault Alpine A442 is a car with really good dimensions, but the giant air intake on top takes away from the overall look. The shade of yellow used here is good, and the black adds to it. 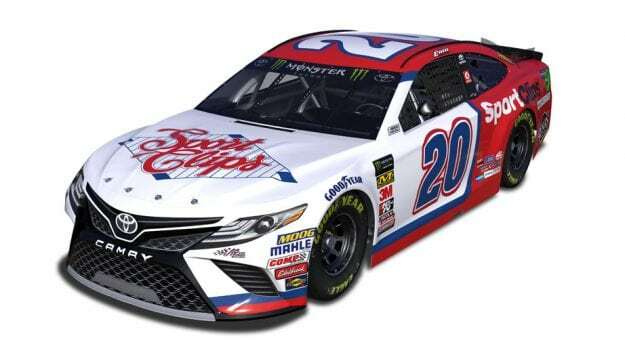 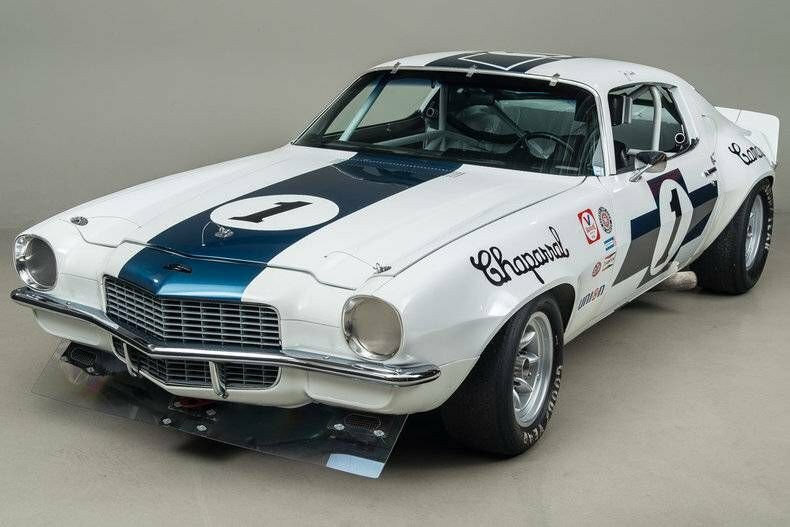 The white stripes across the sides are pointless, and take away from the overall look. 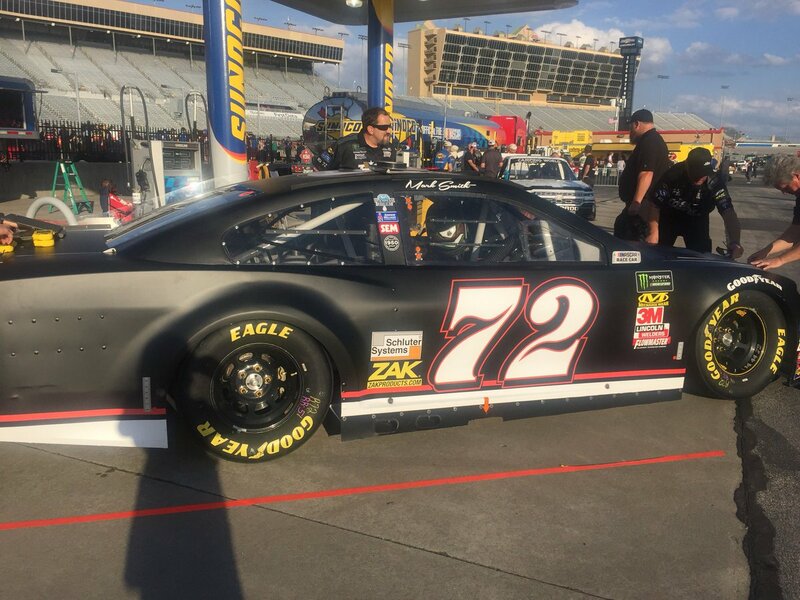 Given everything, I’ll give this car an A-.